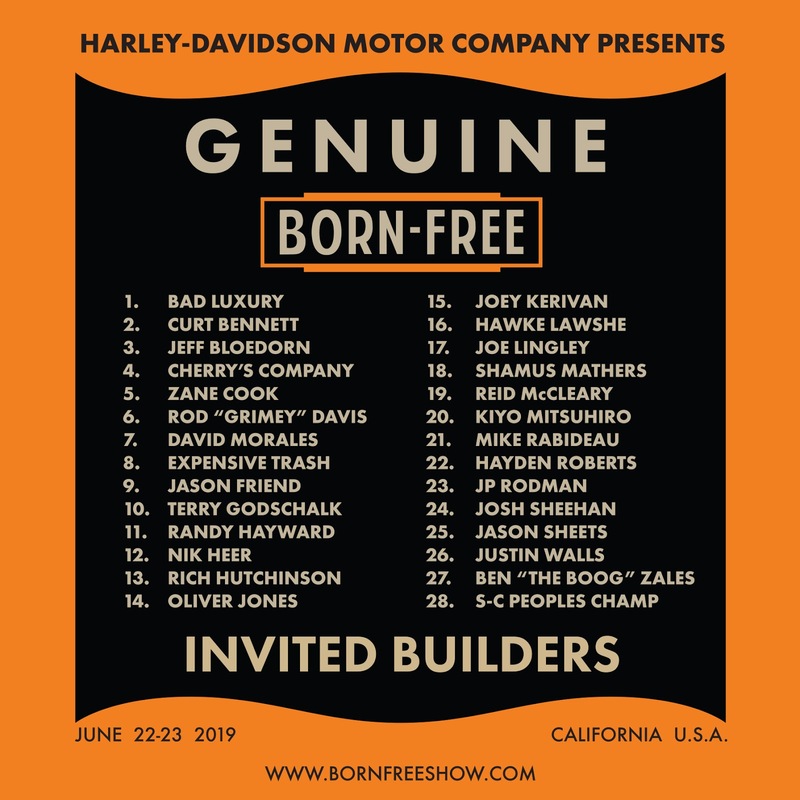 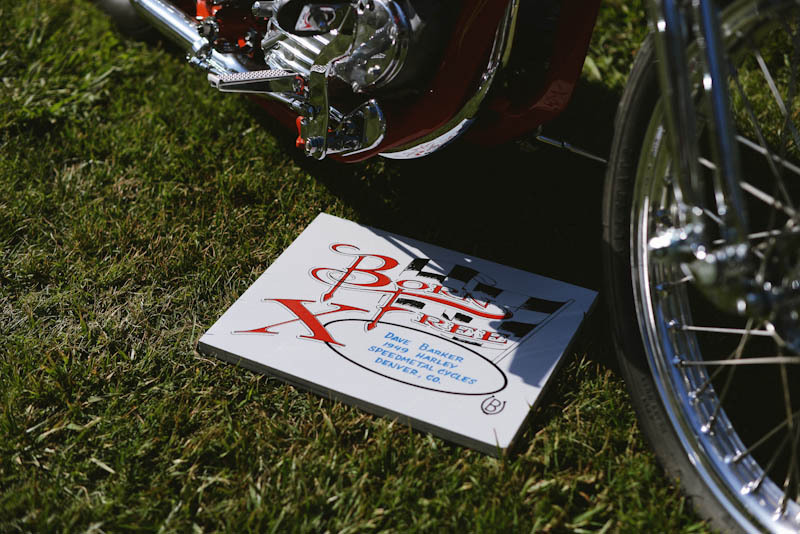 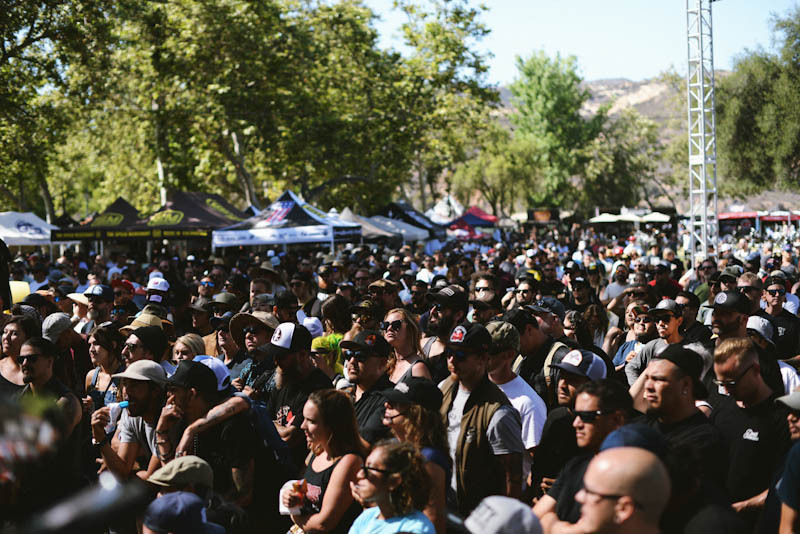 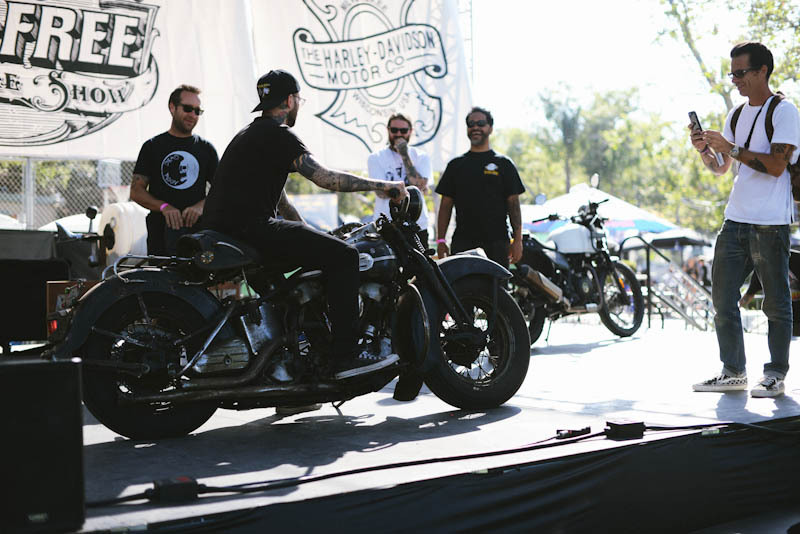 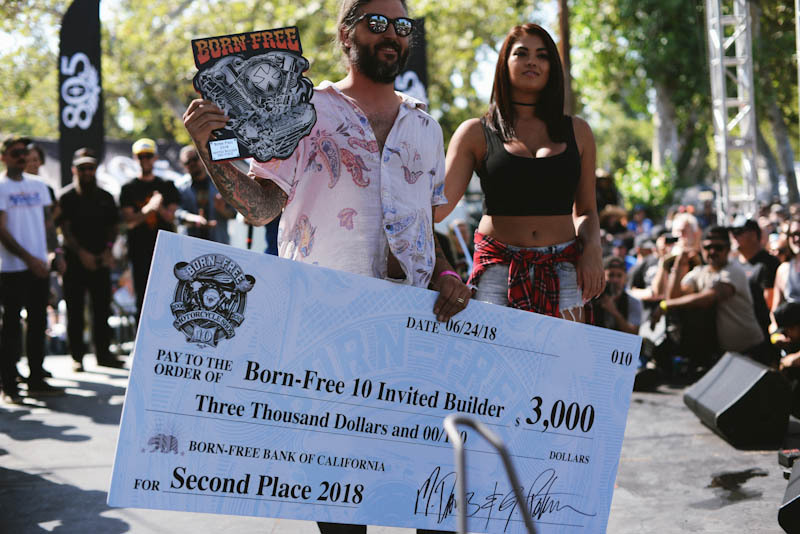 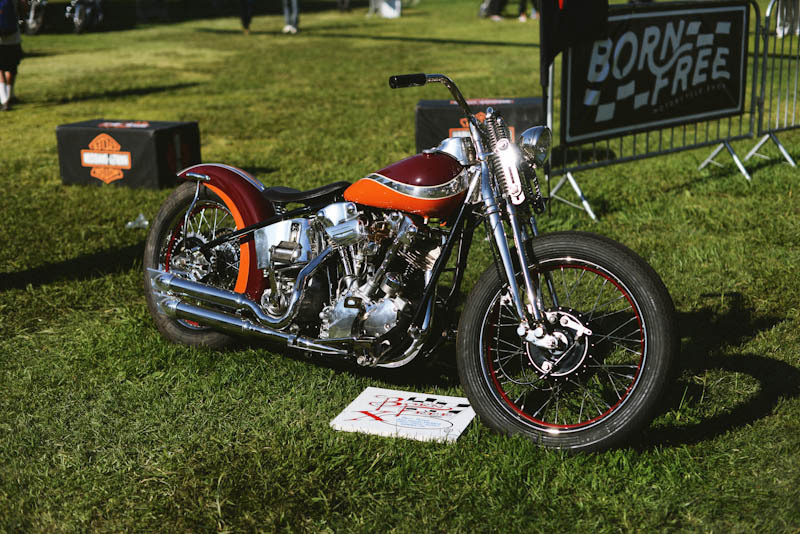 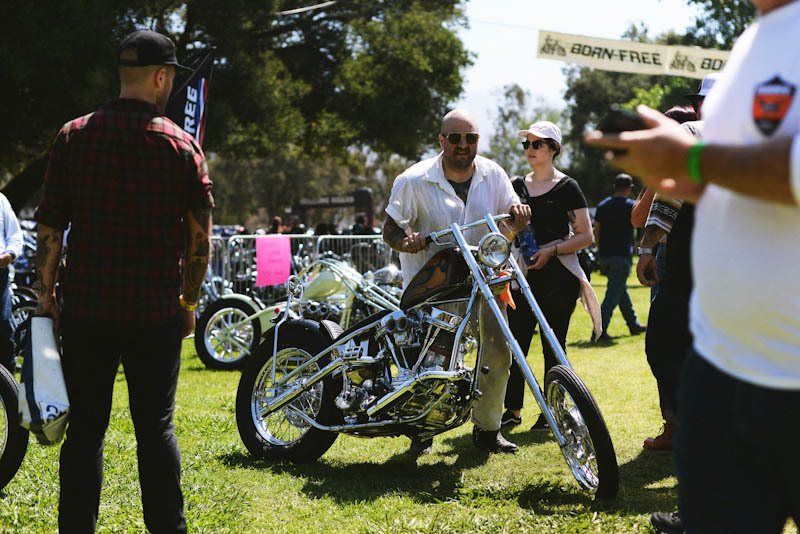 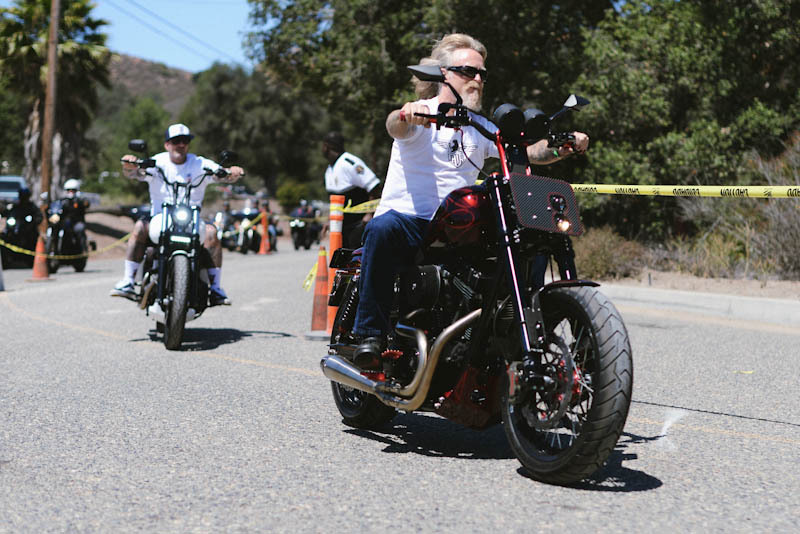 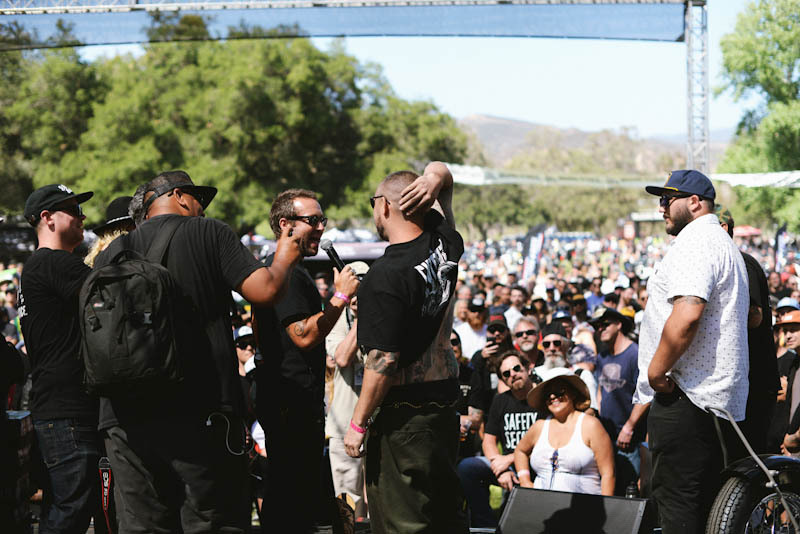 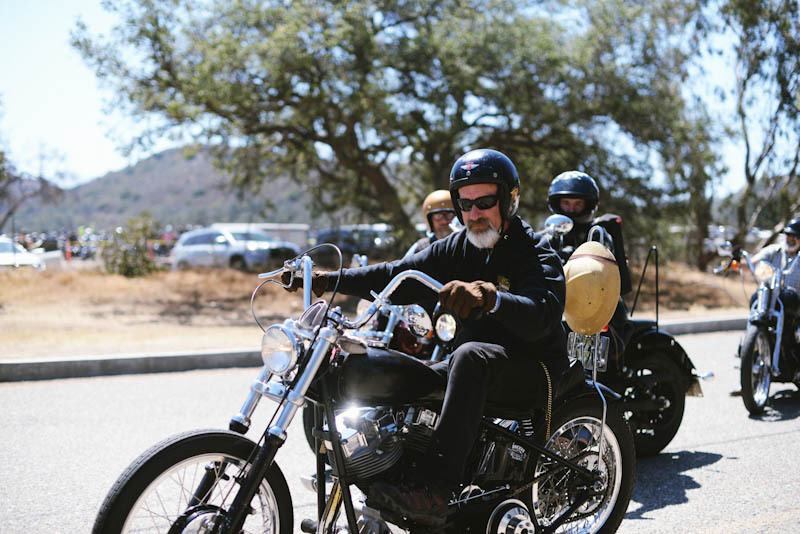 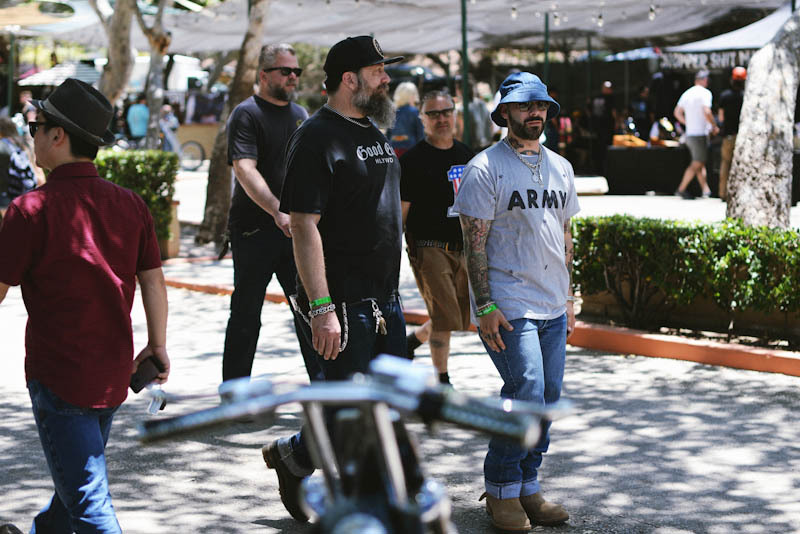 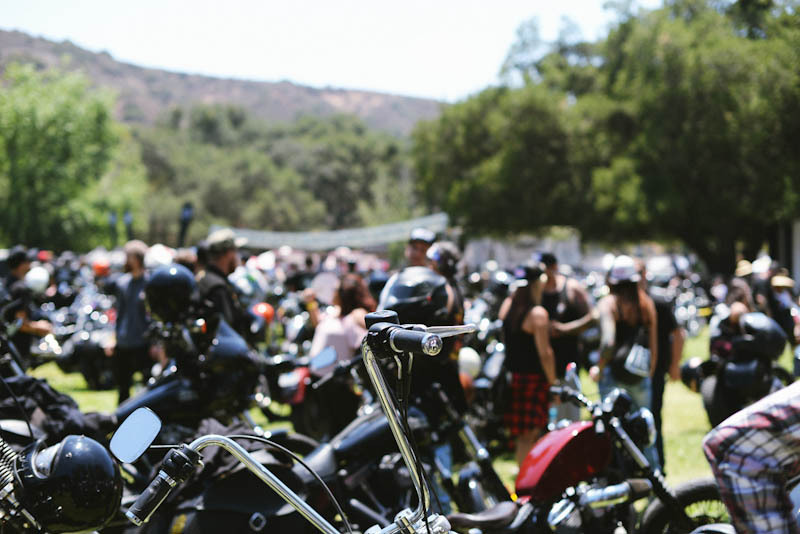 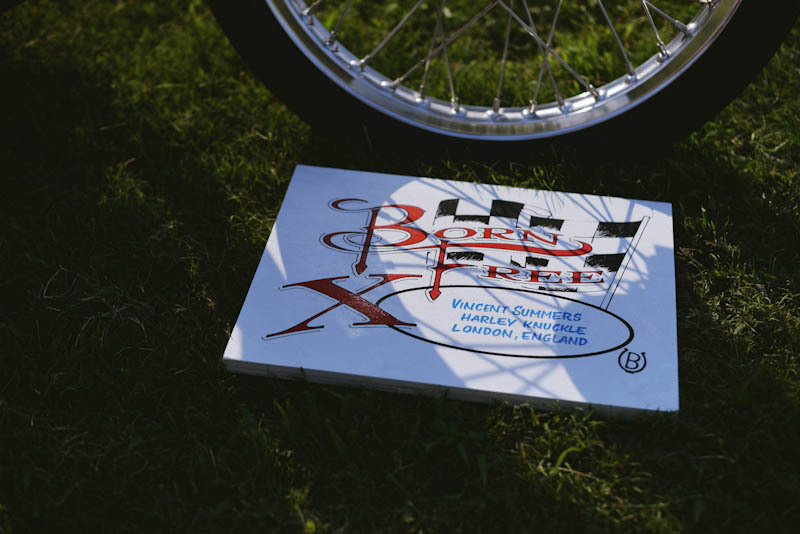 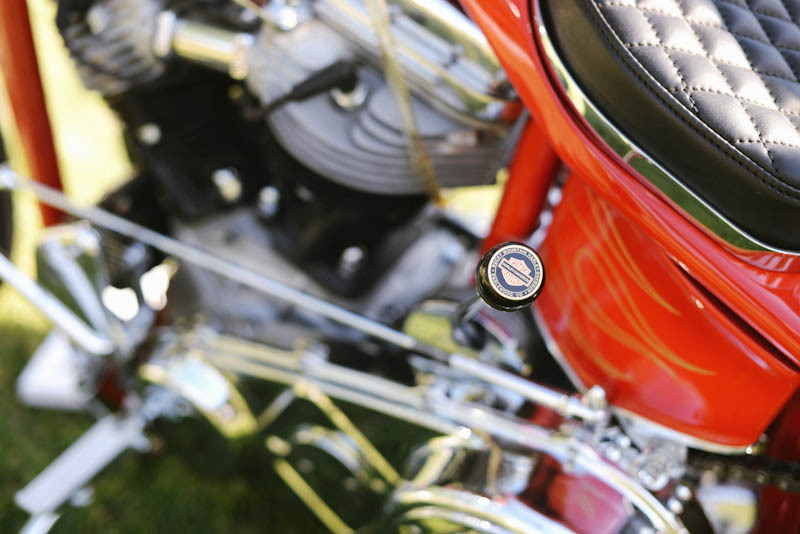 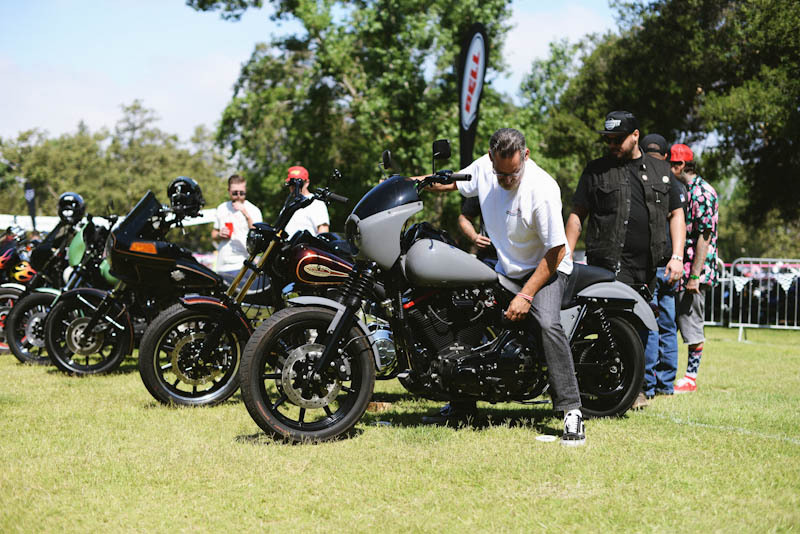 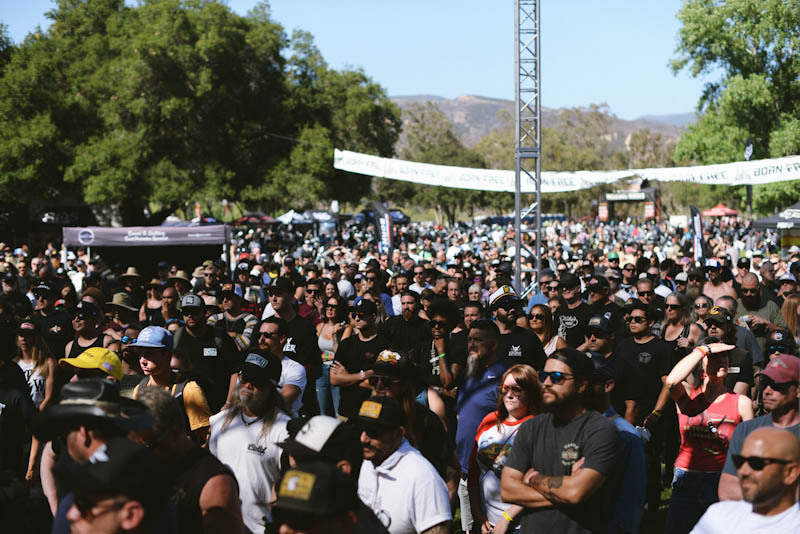 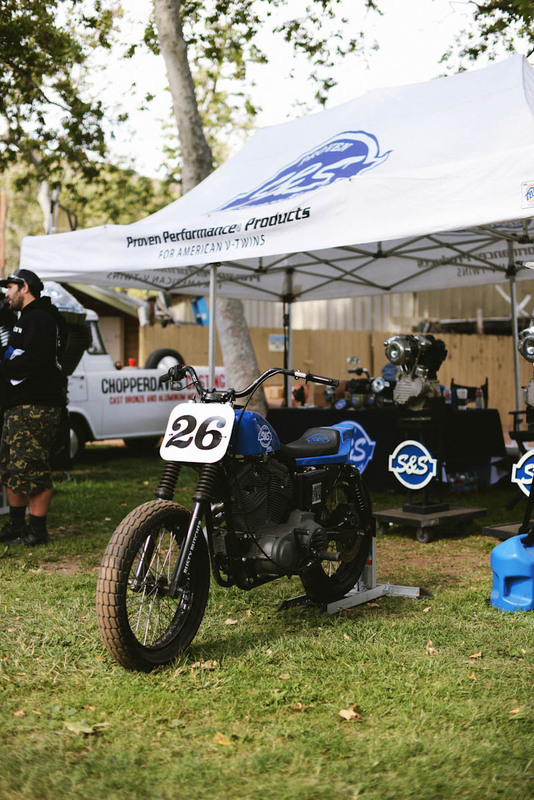 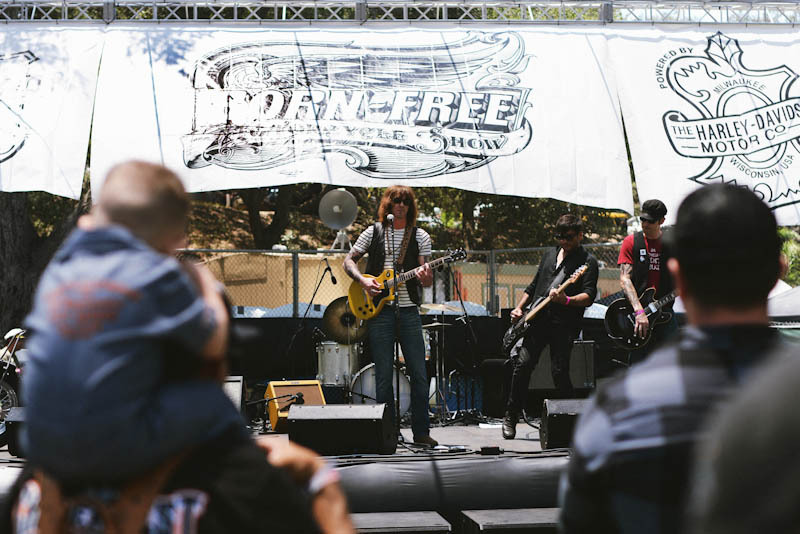 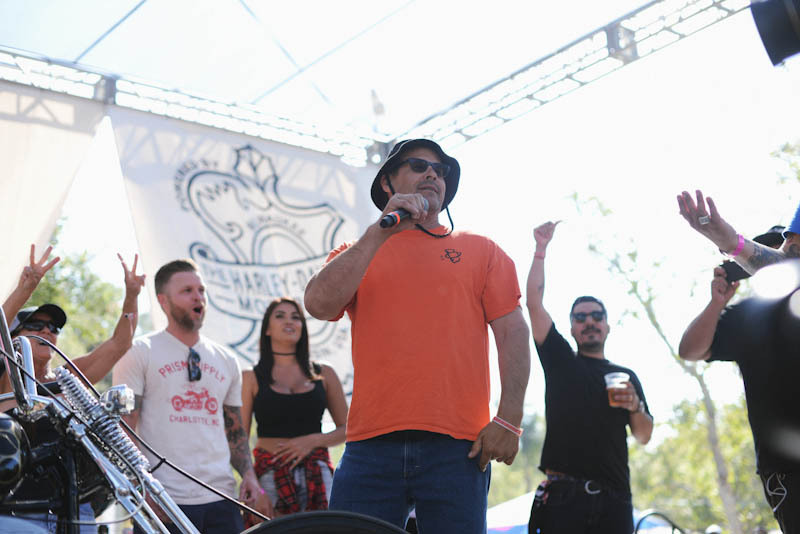 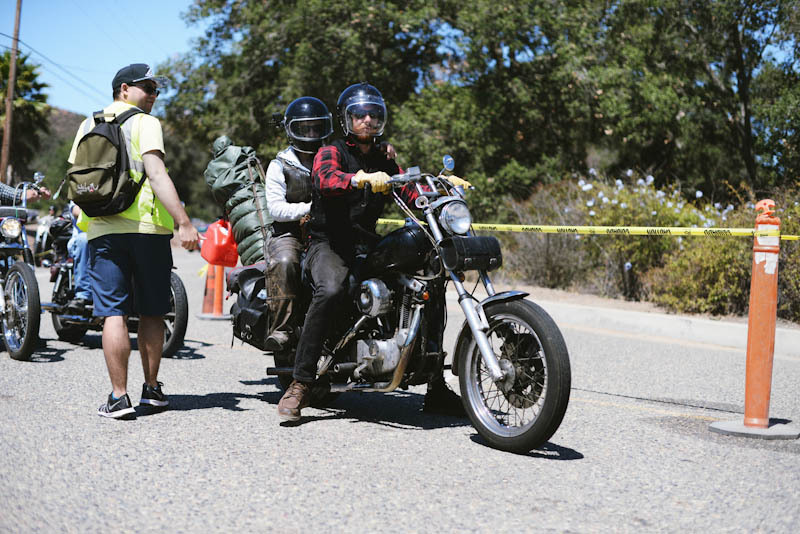 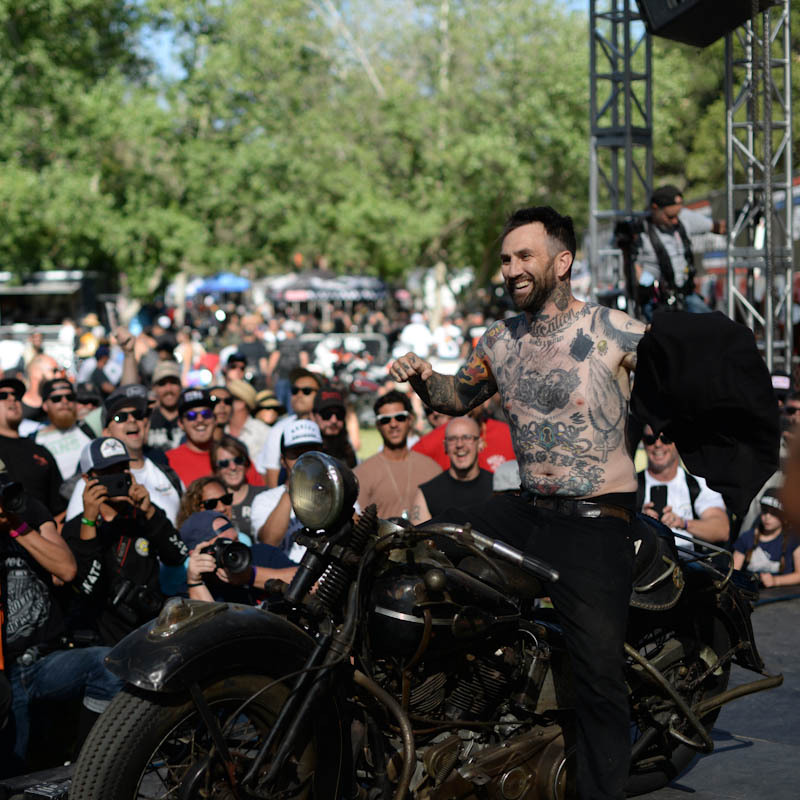 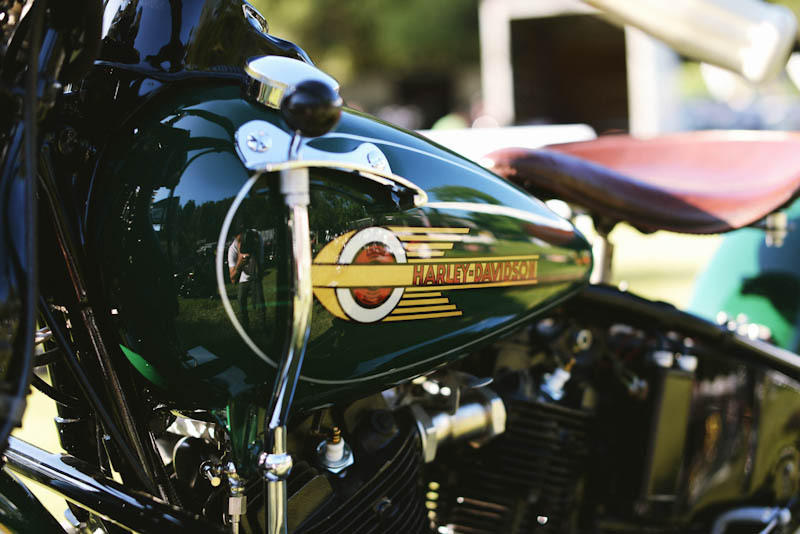 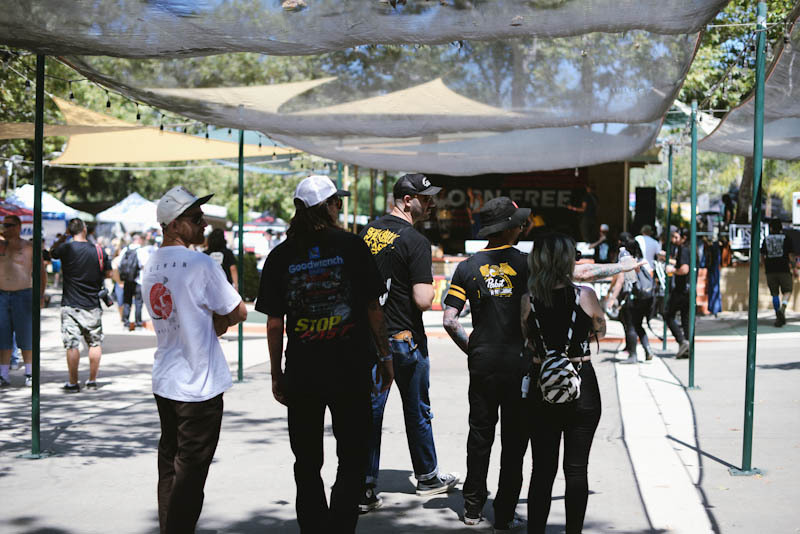 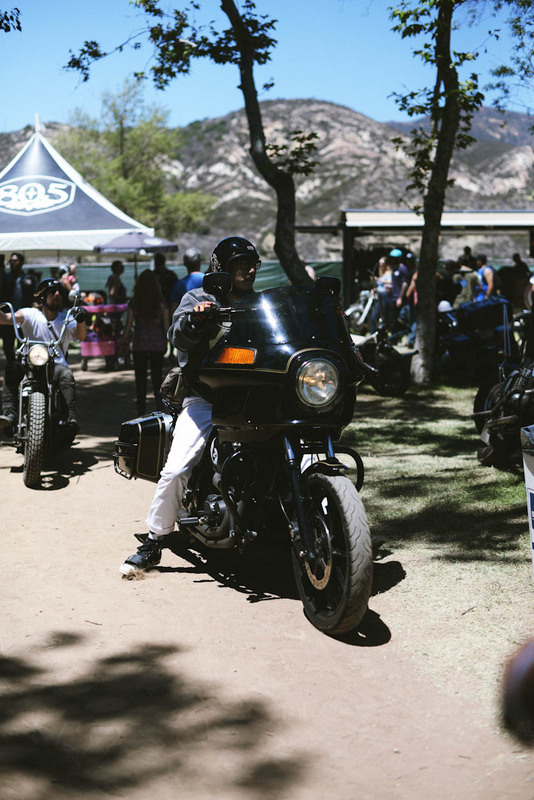 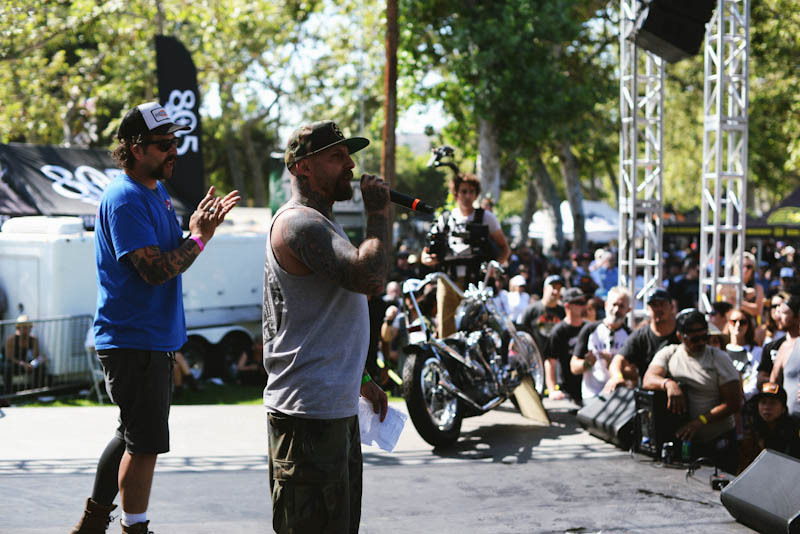 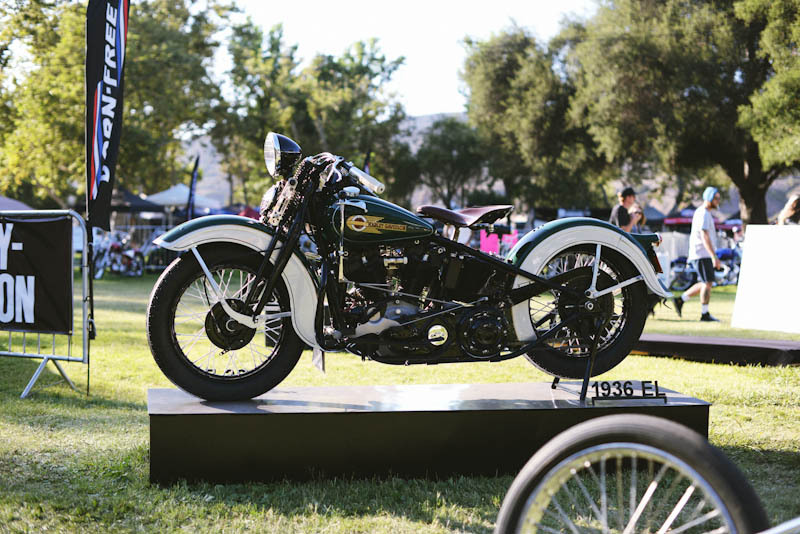 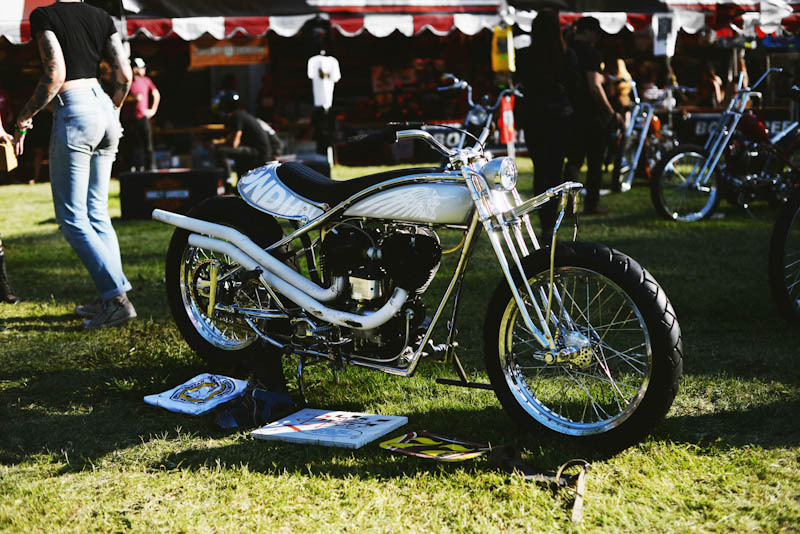 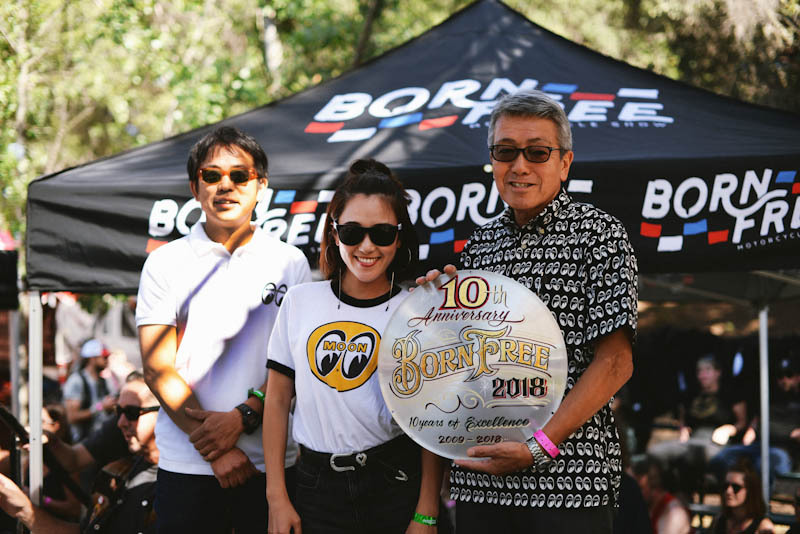 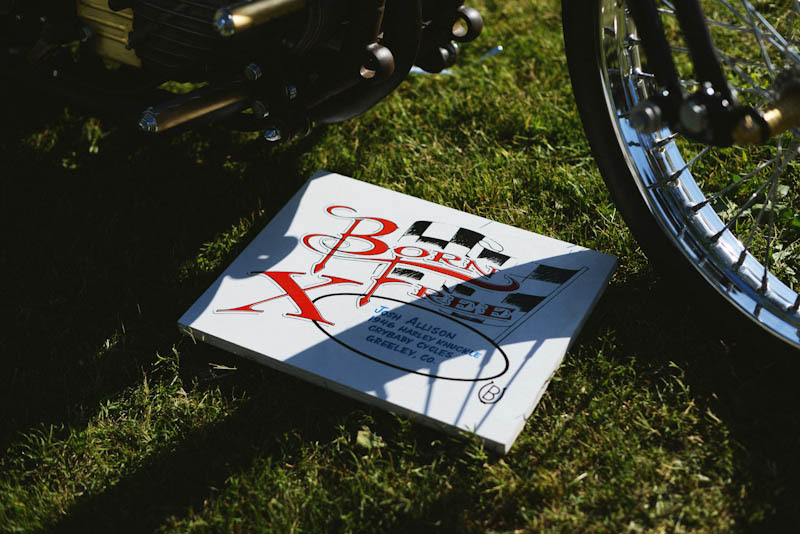 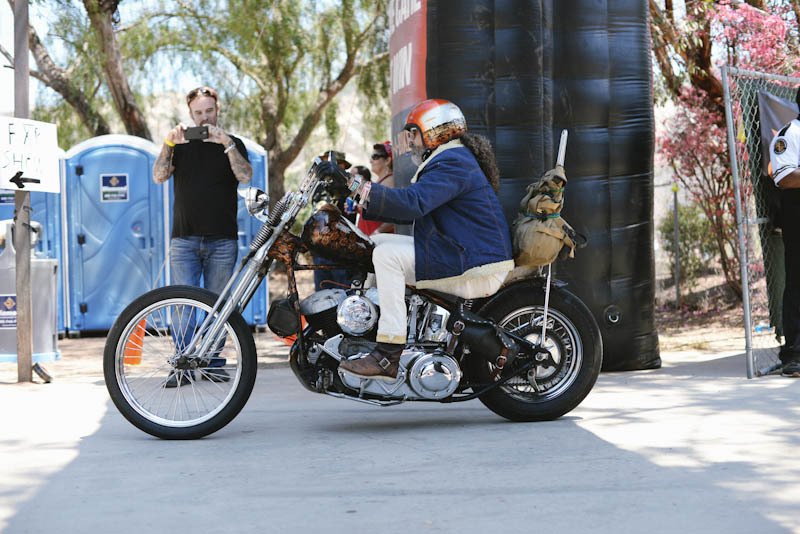 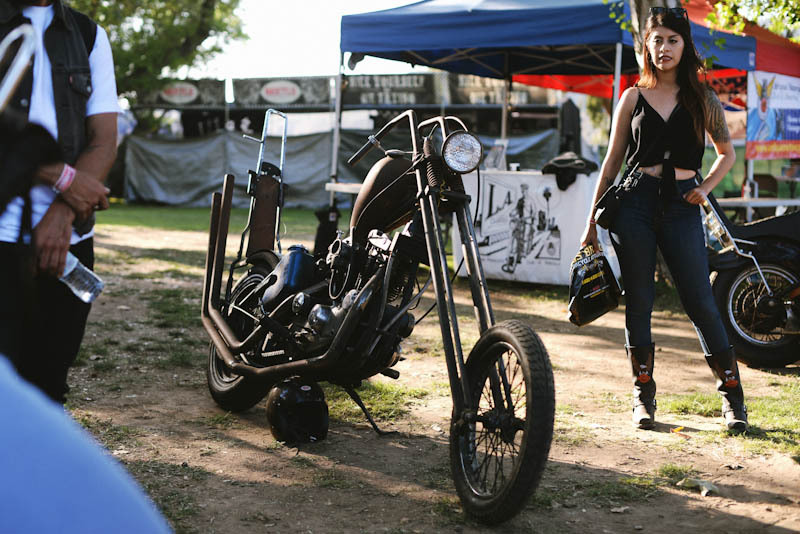 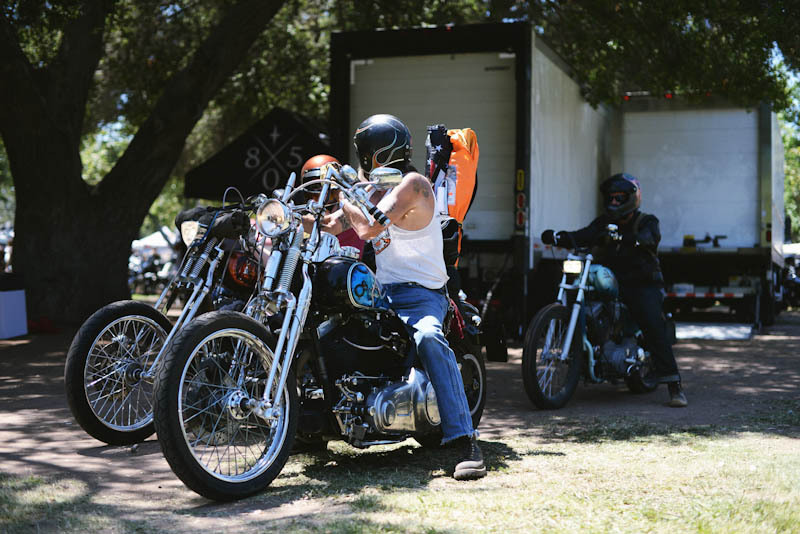 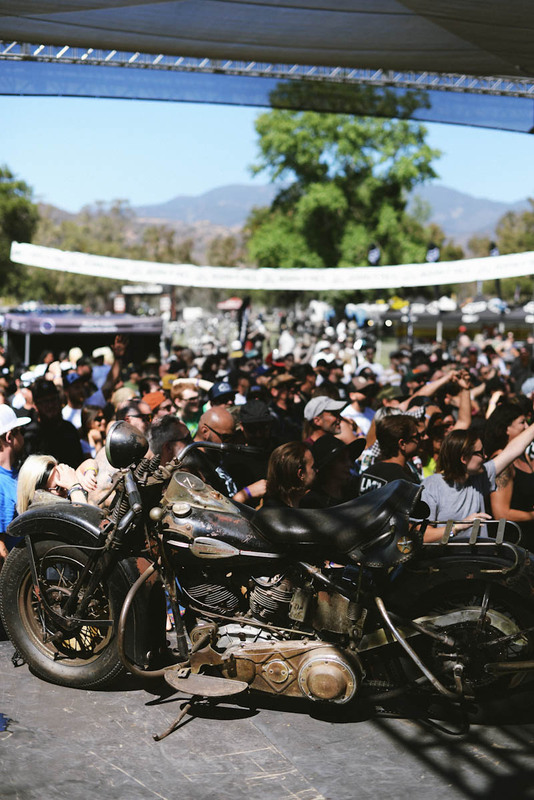 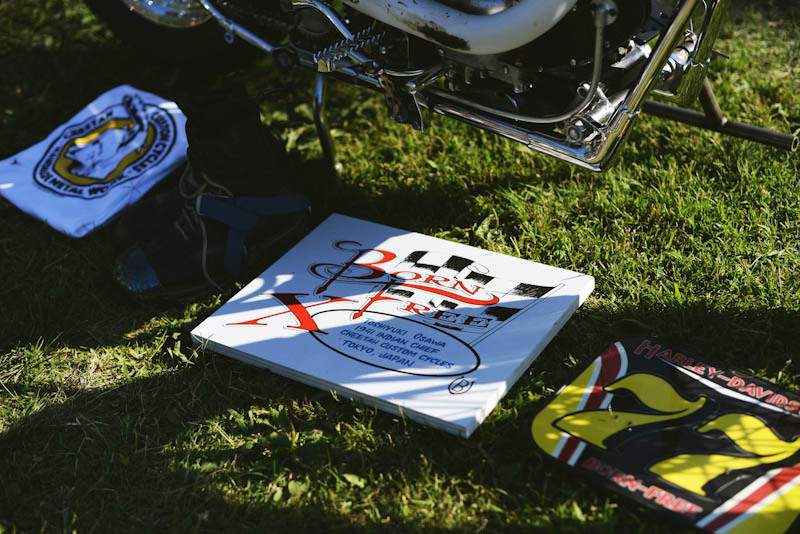 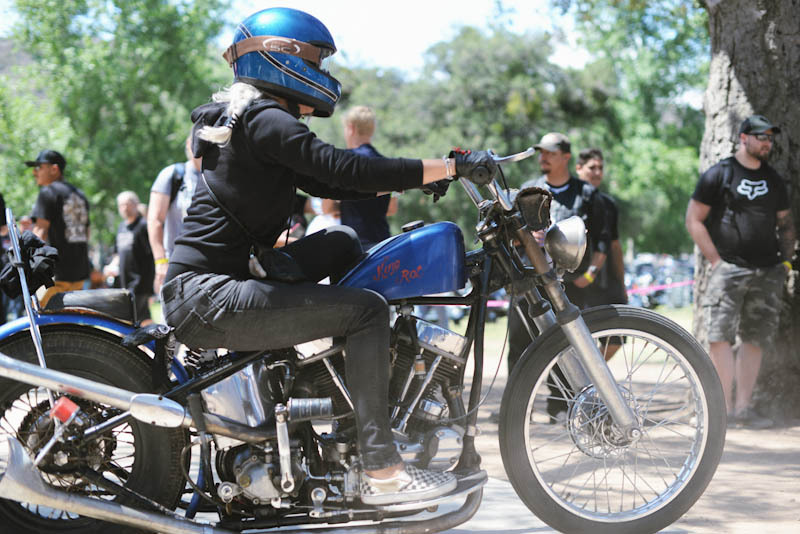 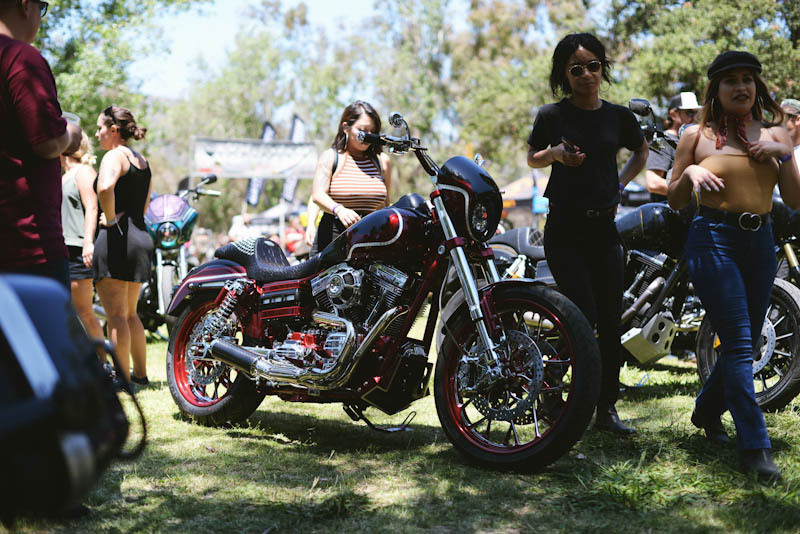 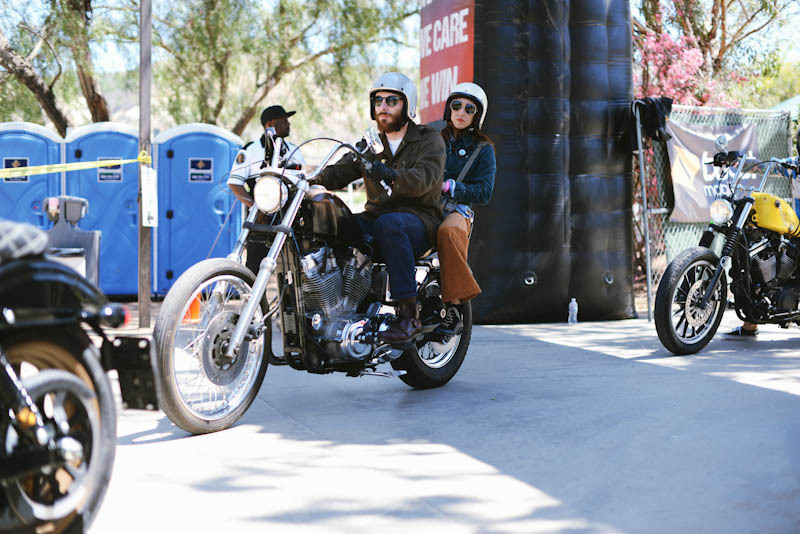 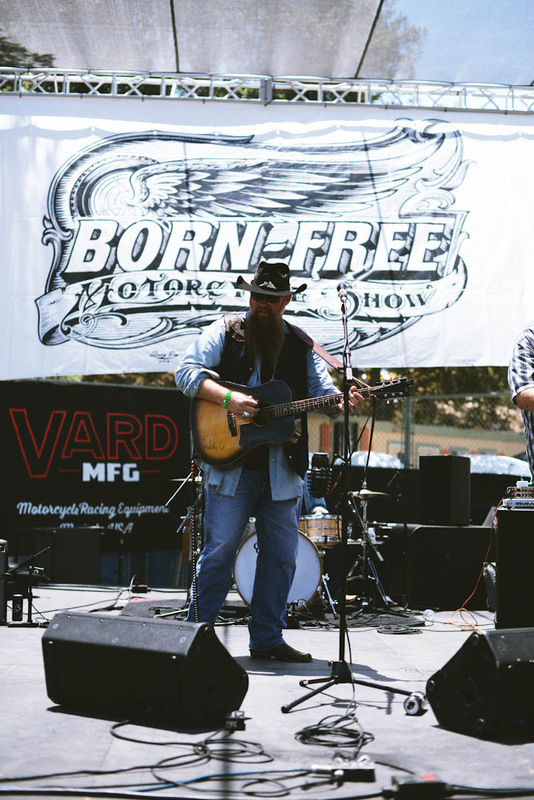 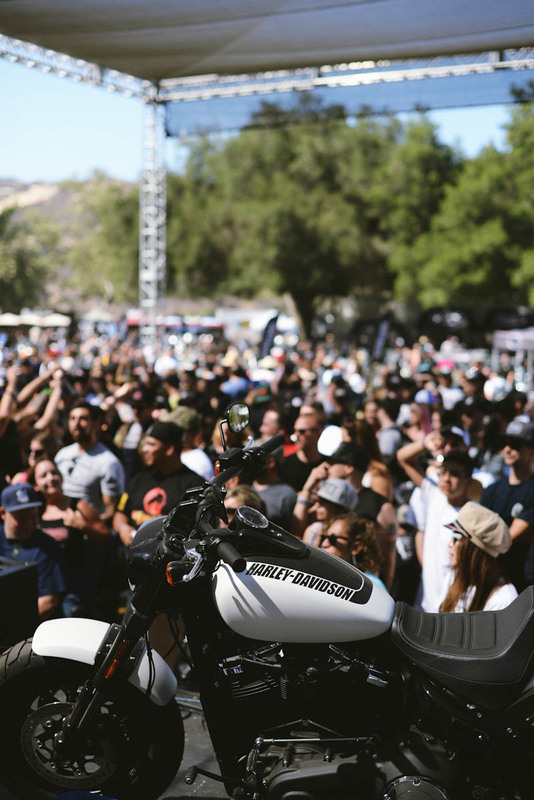 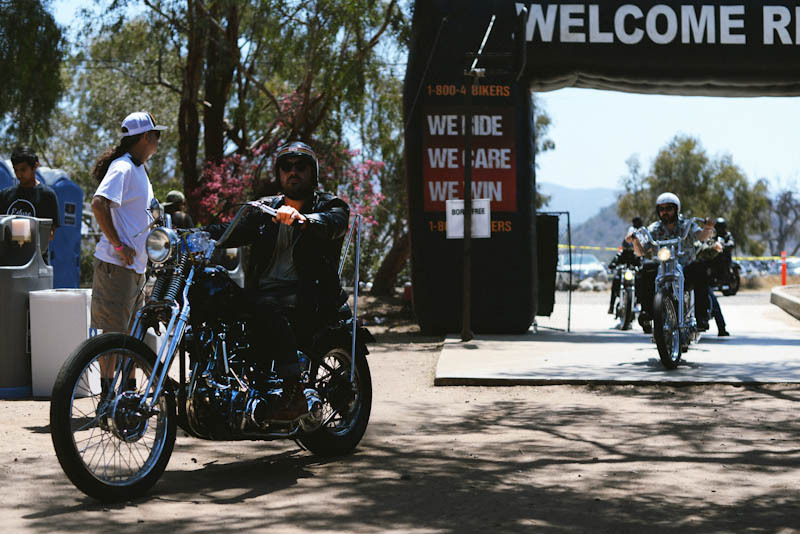 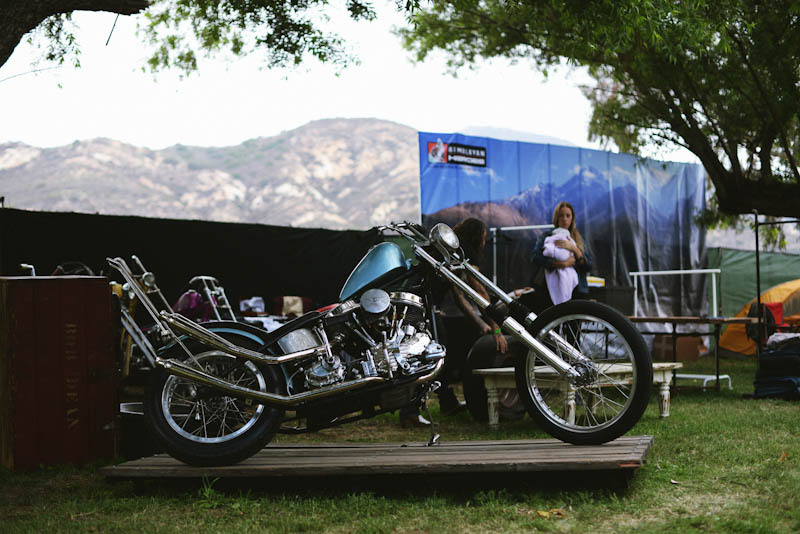 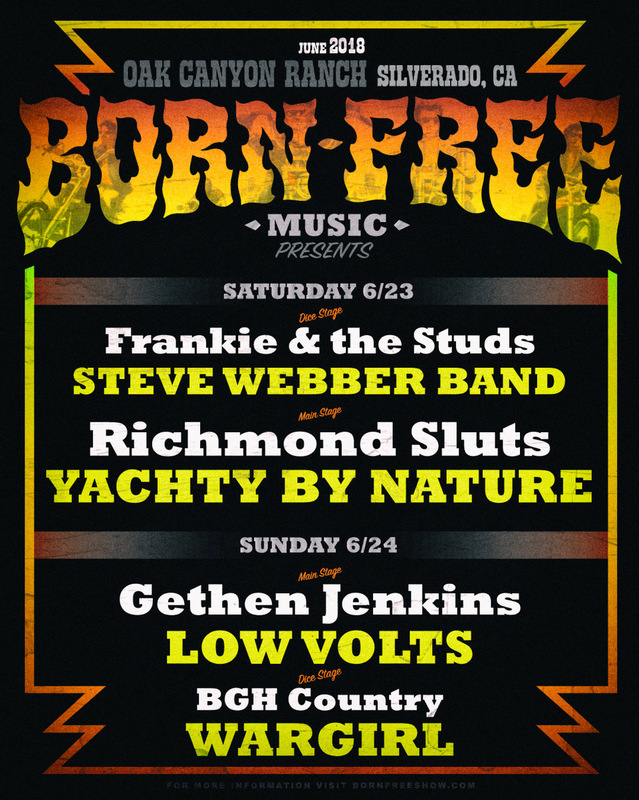 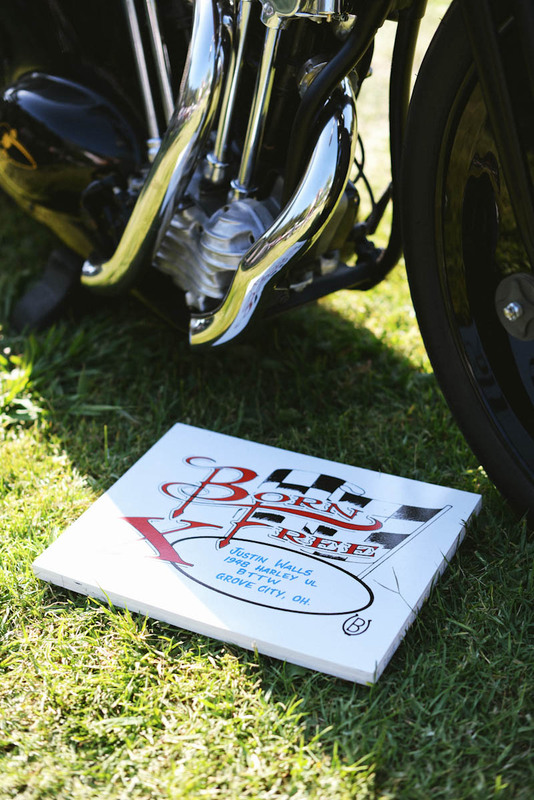 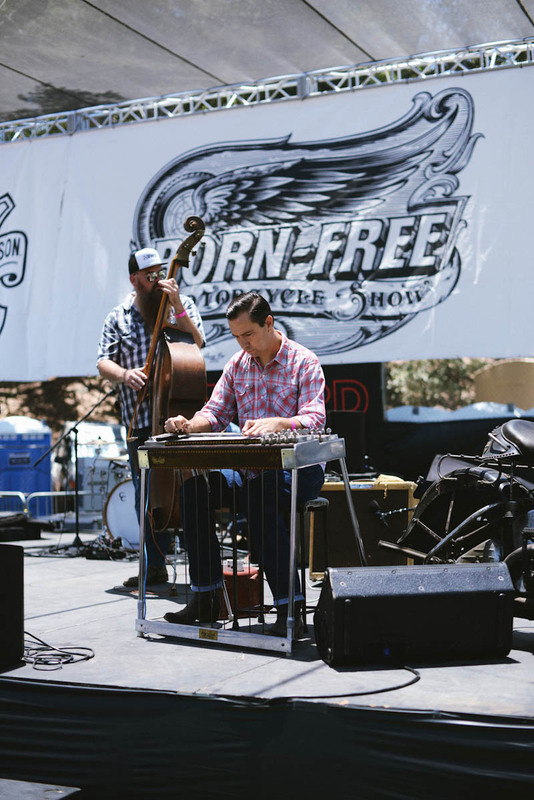 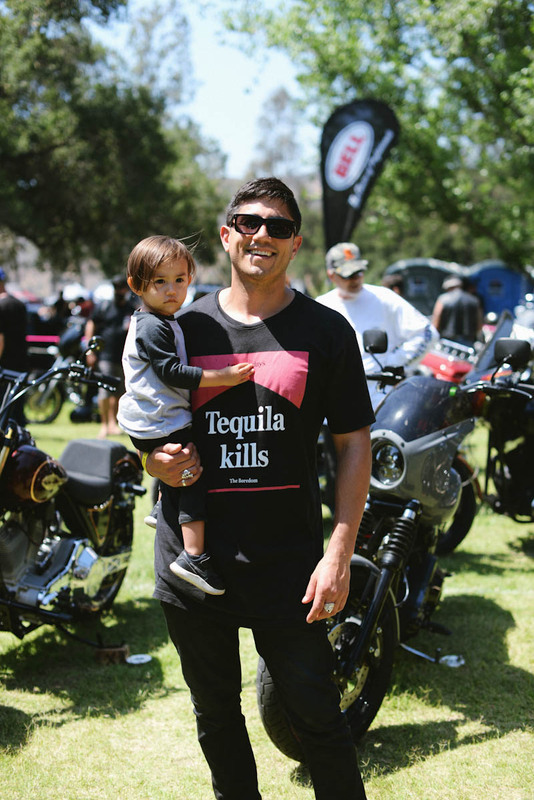 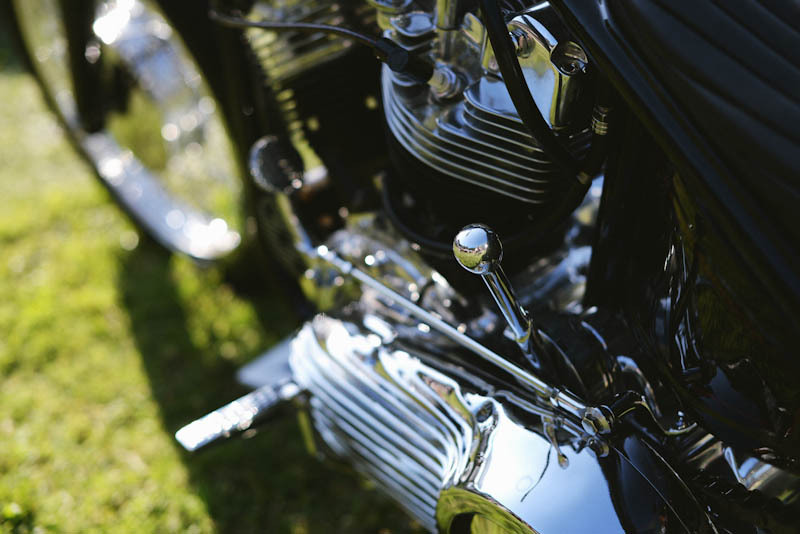 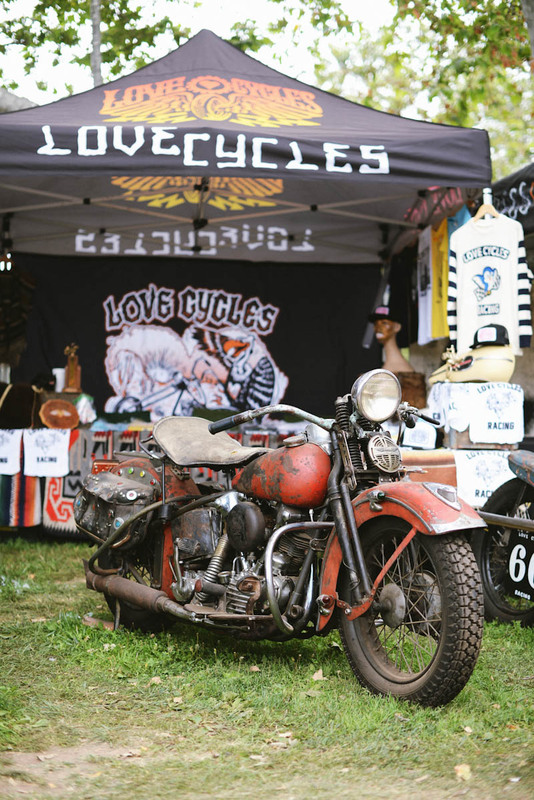 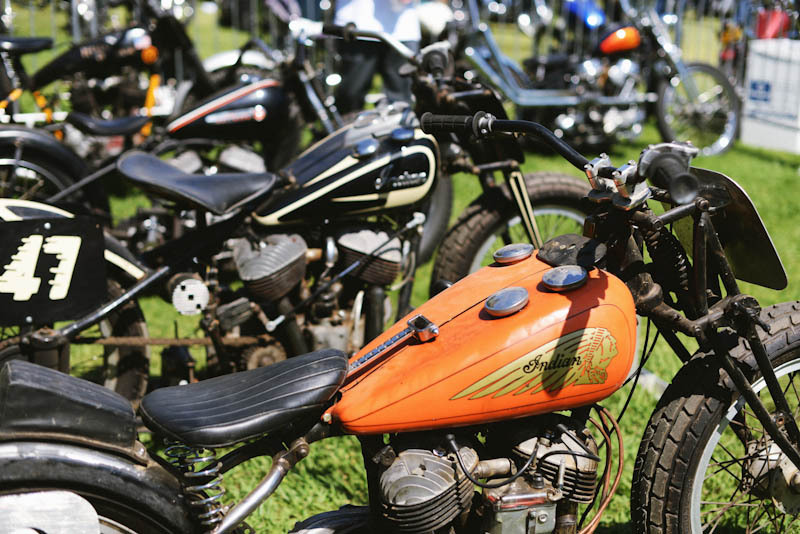 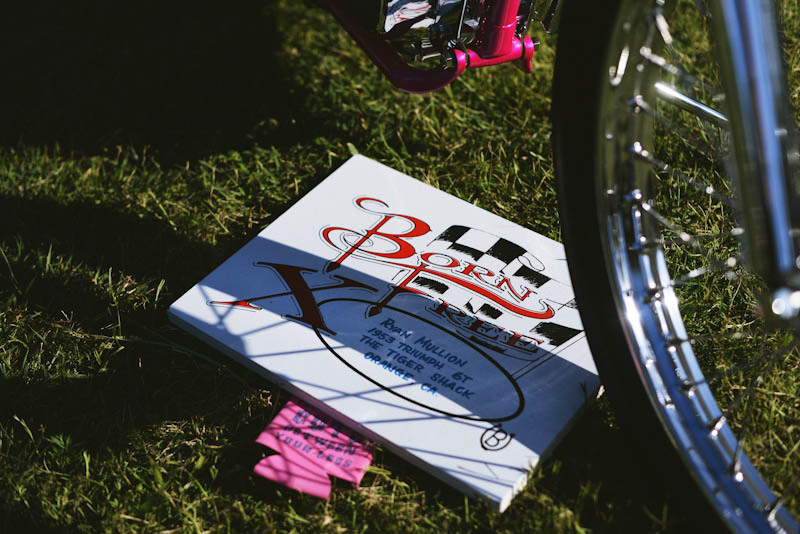 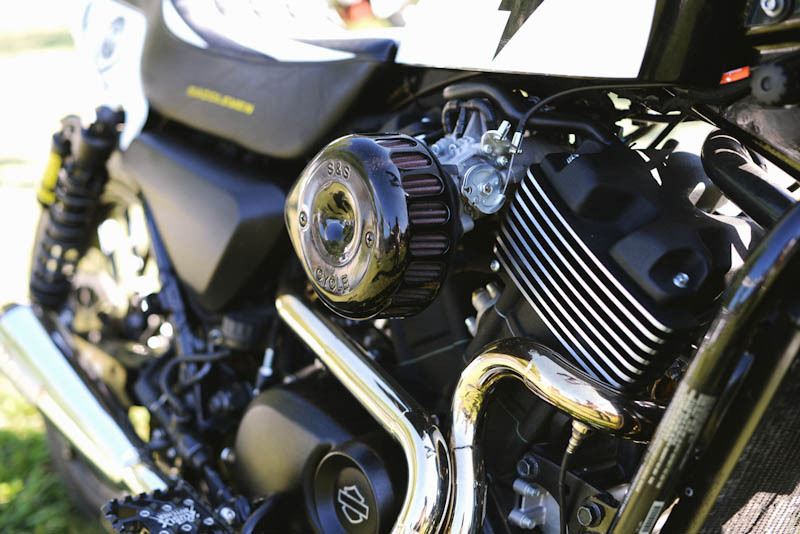 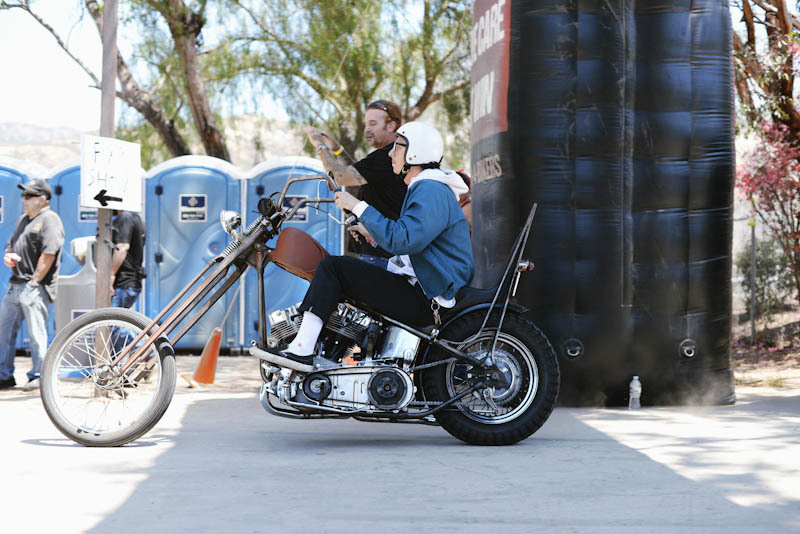 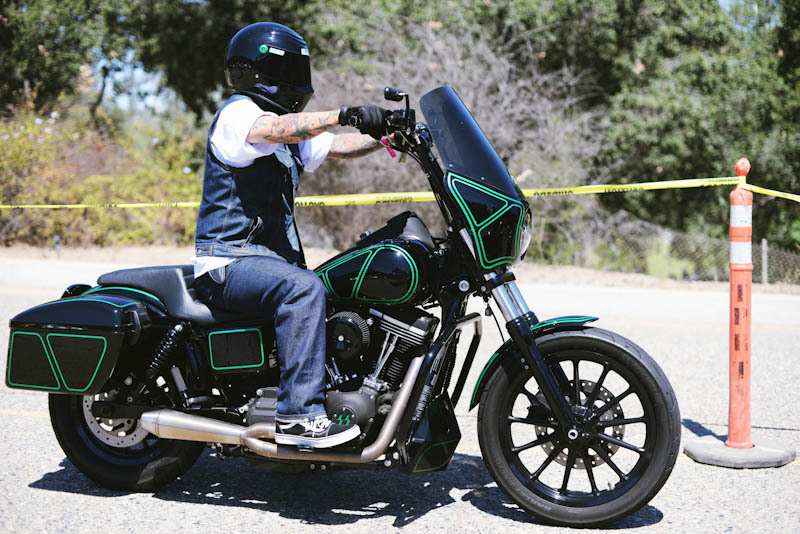 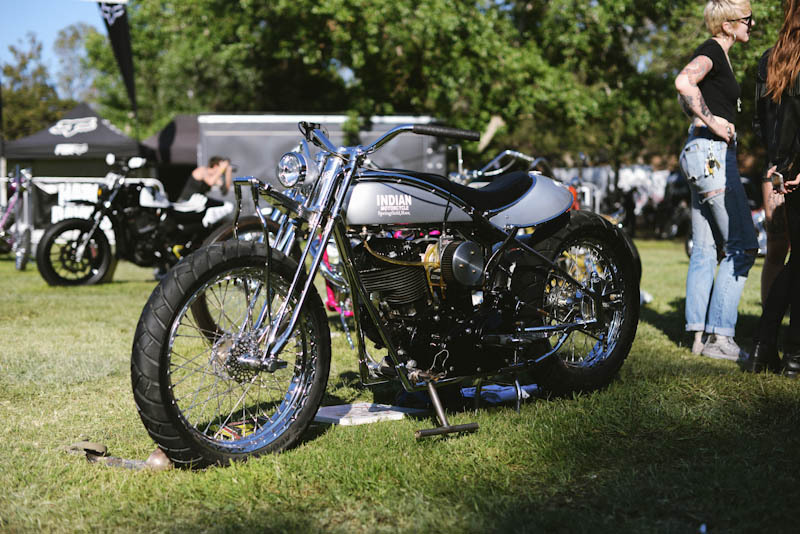 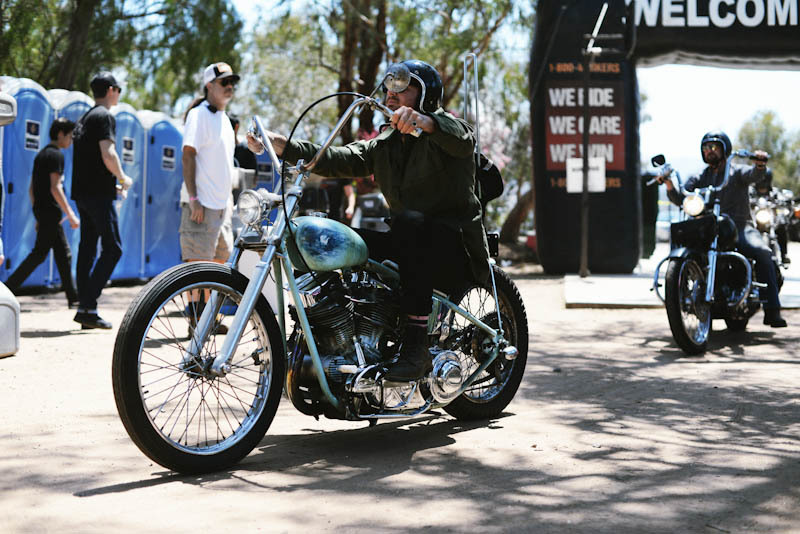 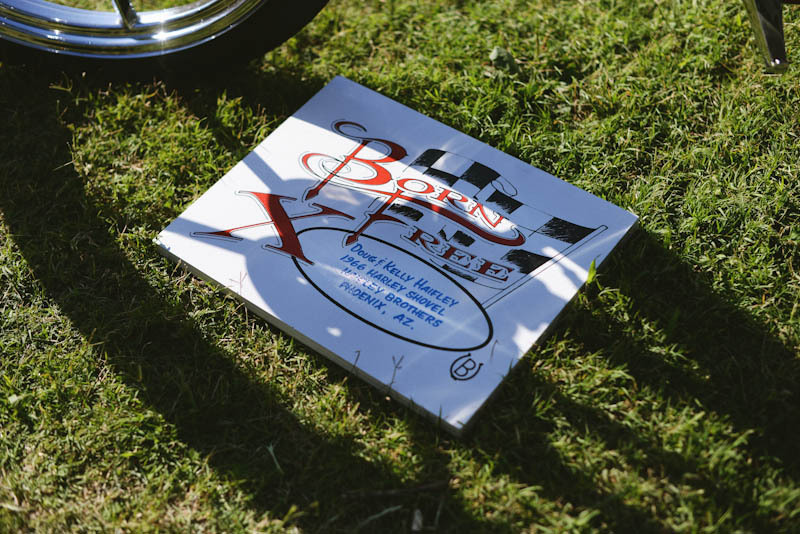 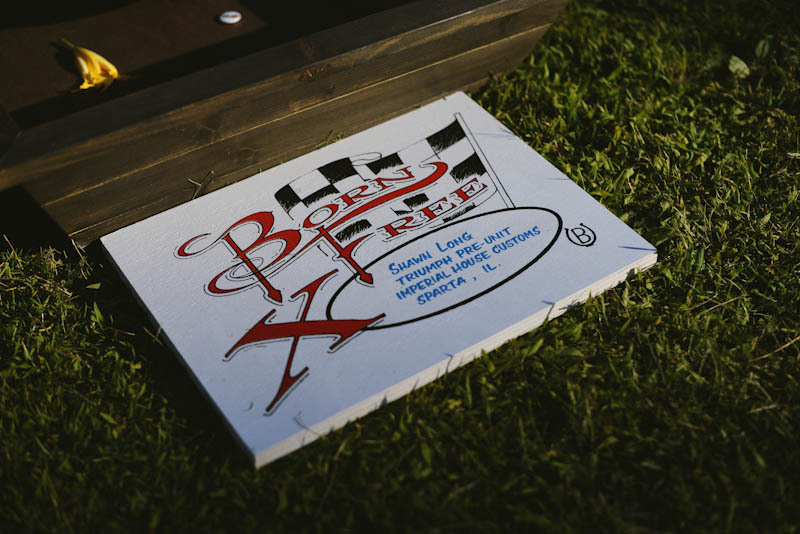 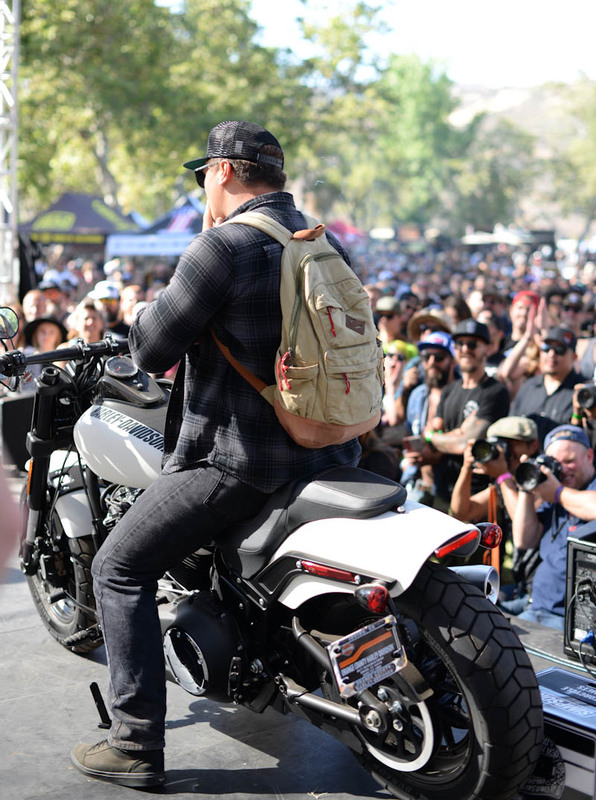 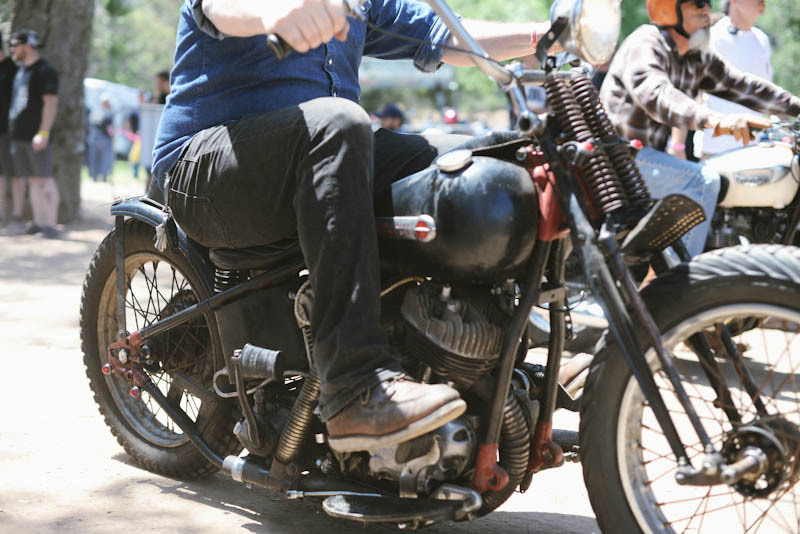 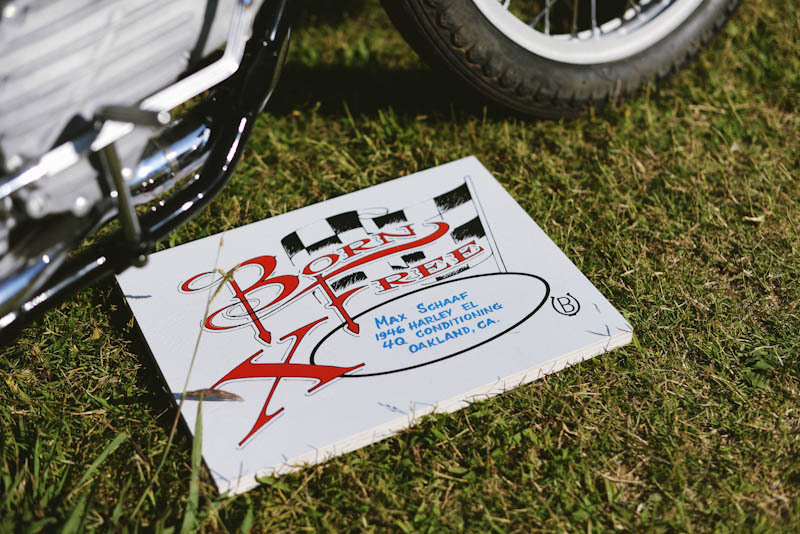 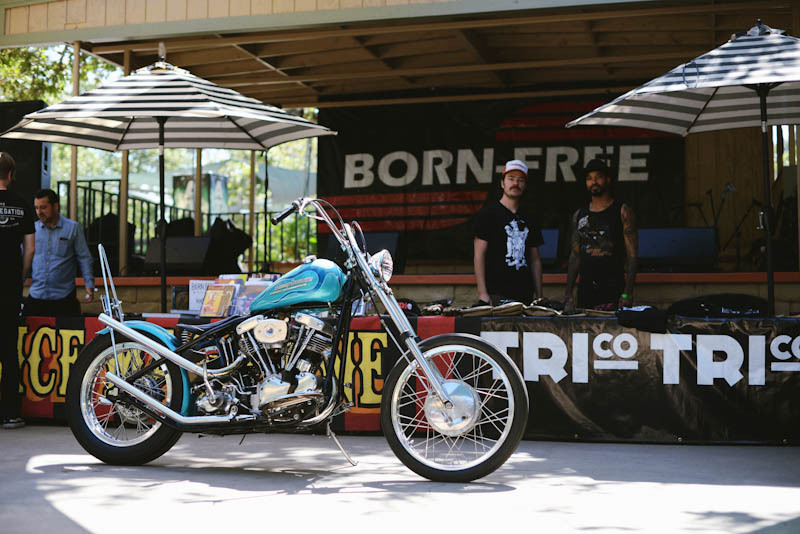 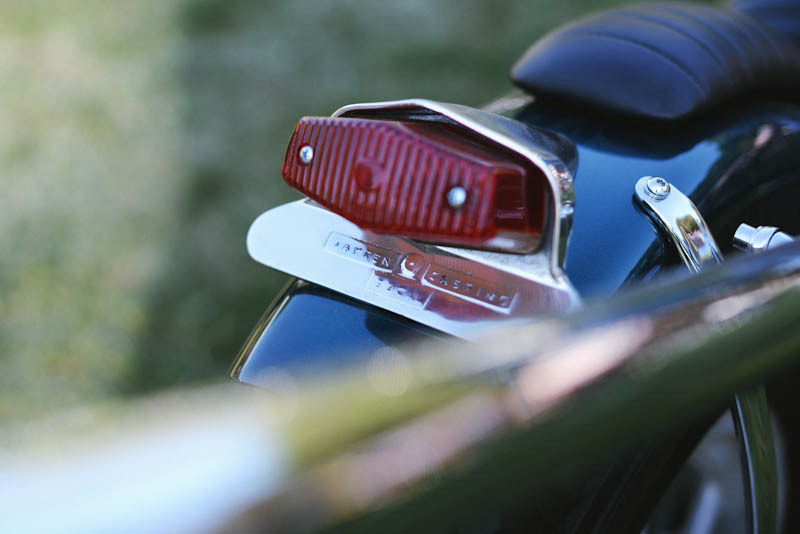 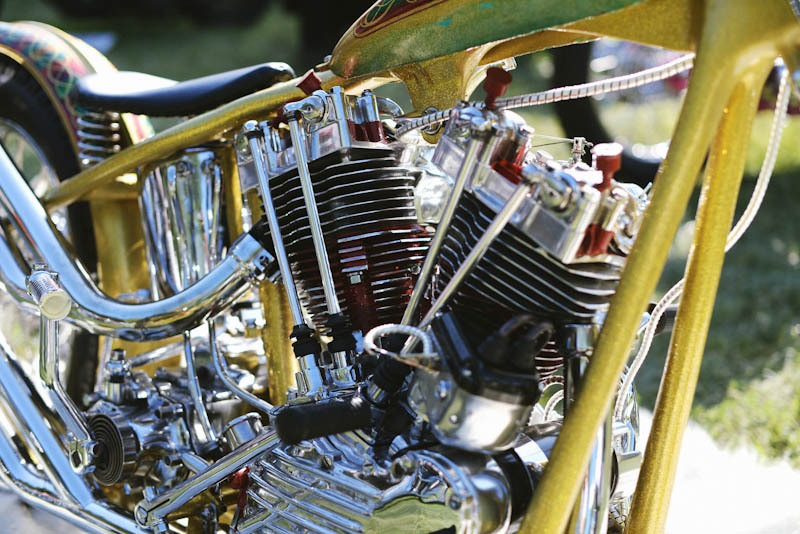 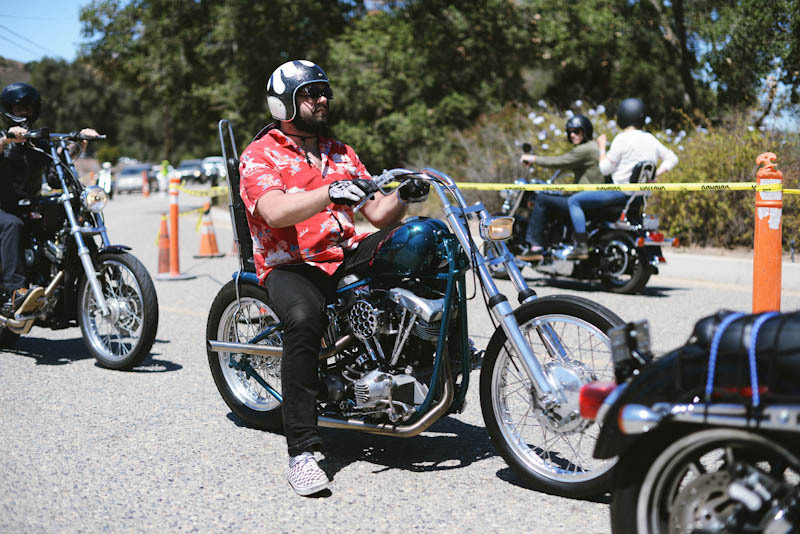 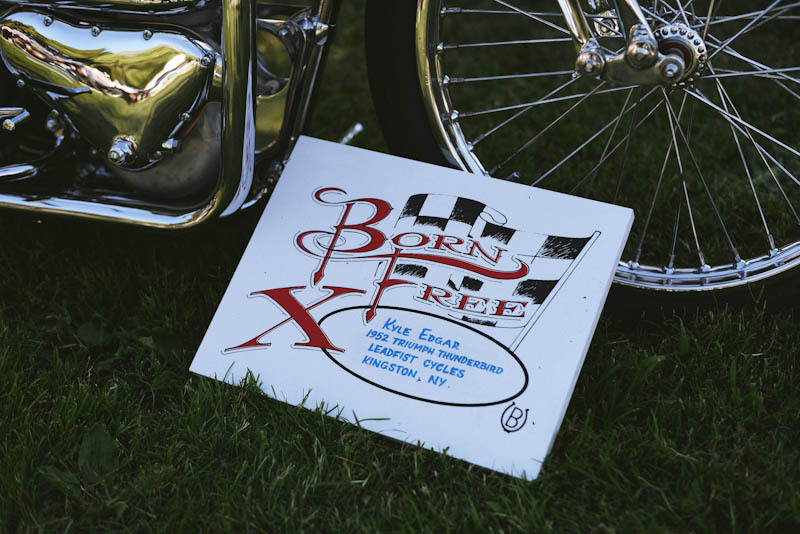 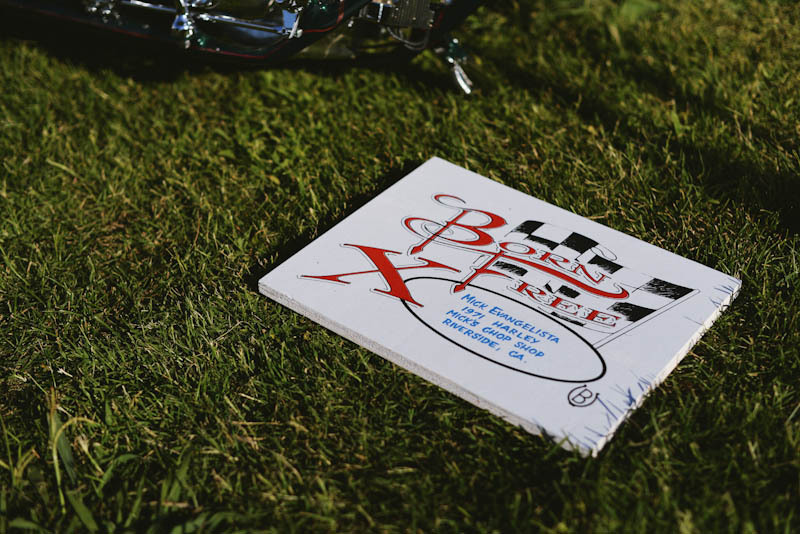 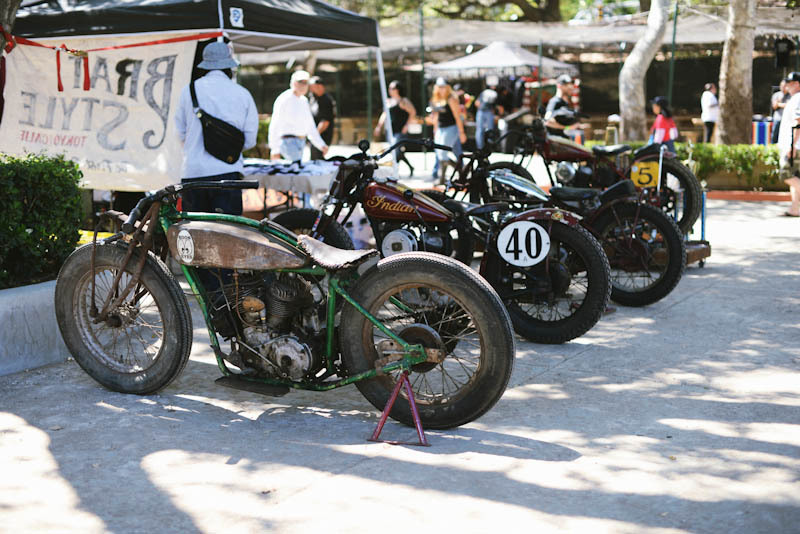 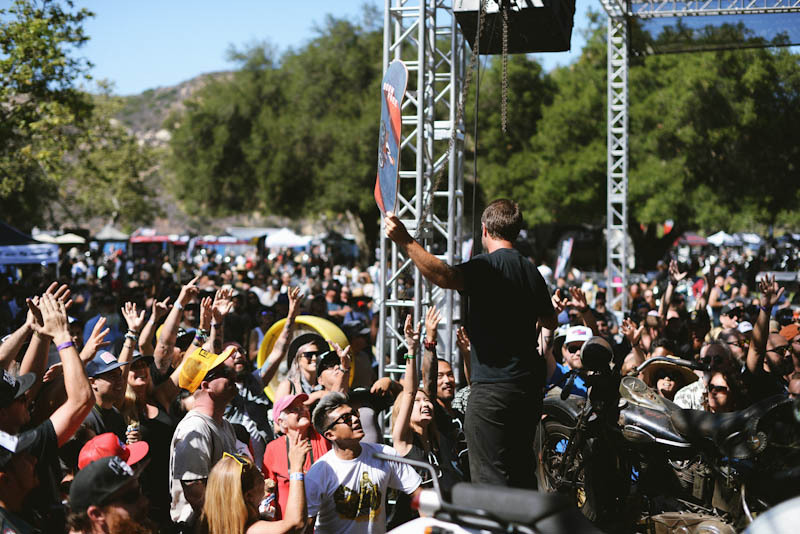 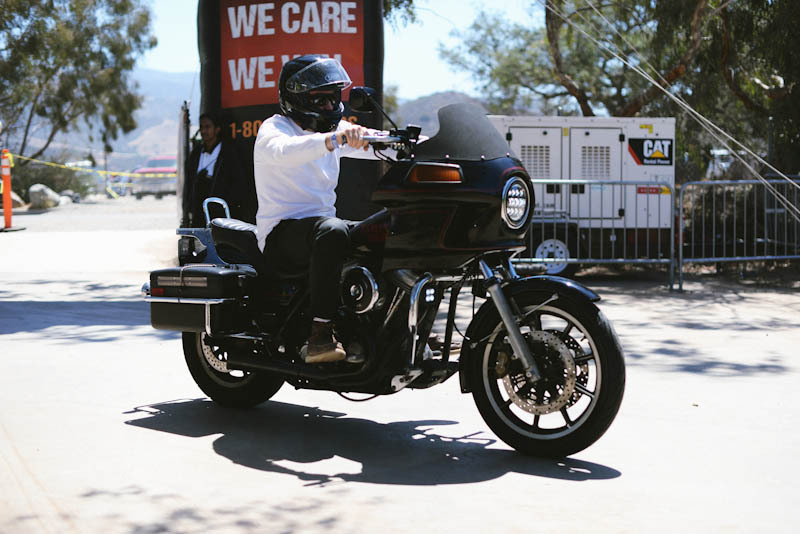 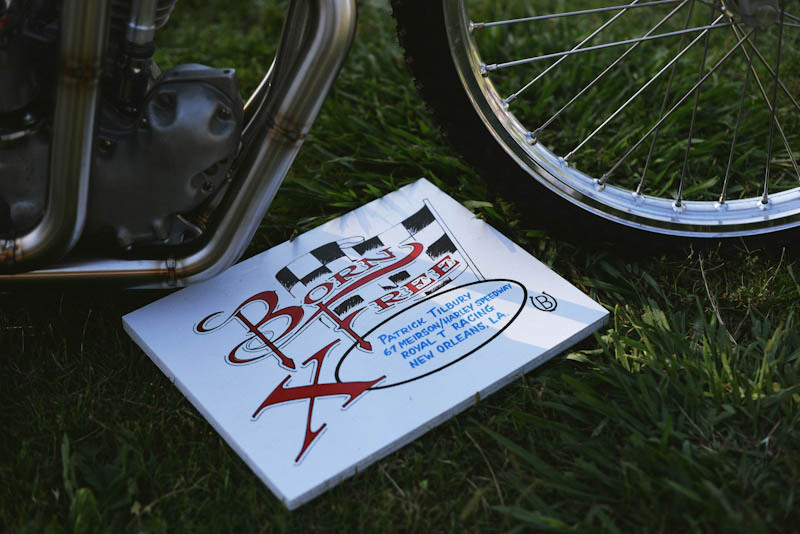 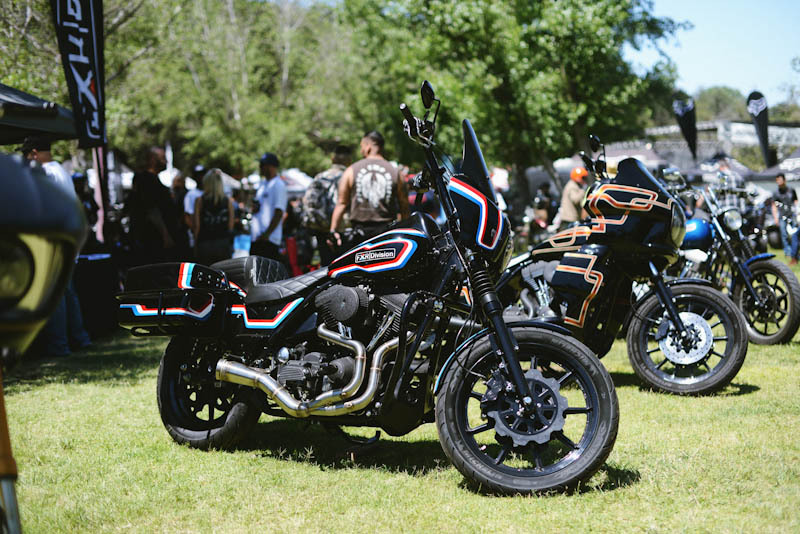 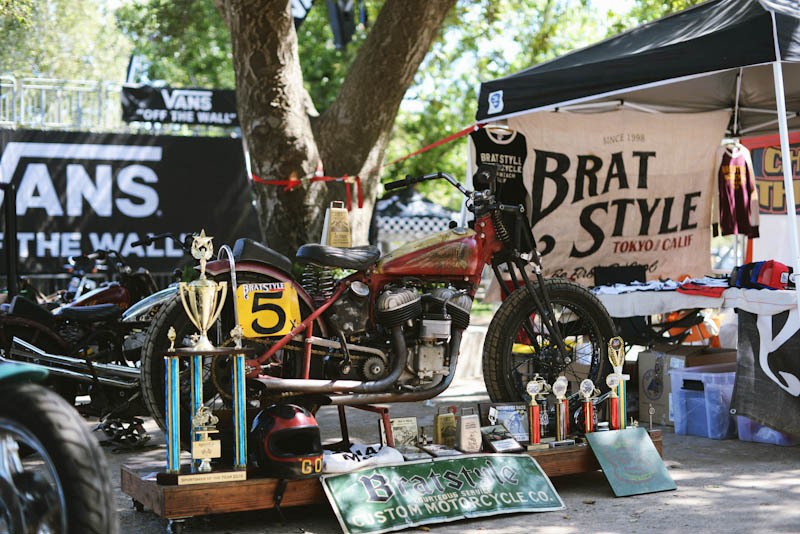 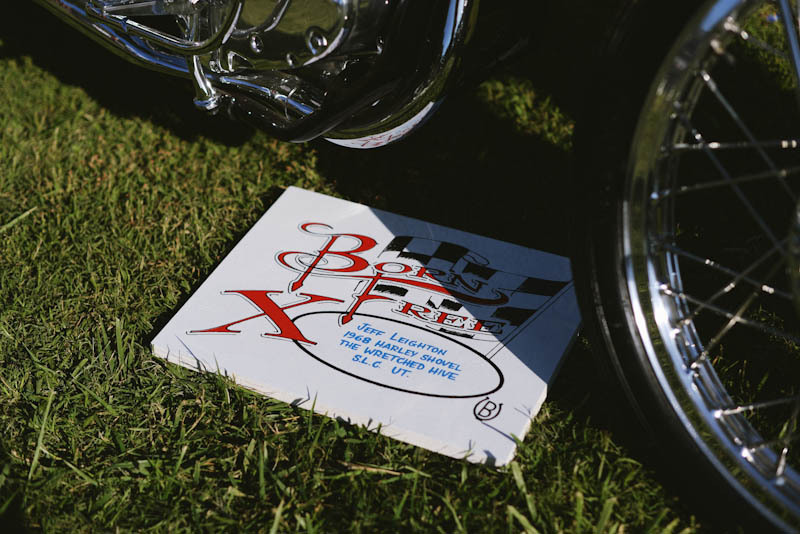 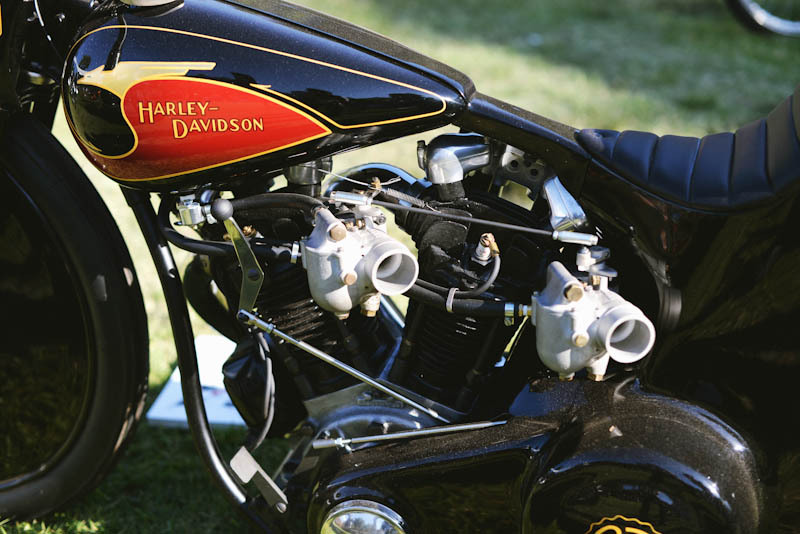 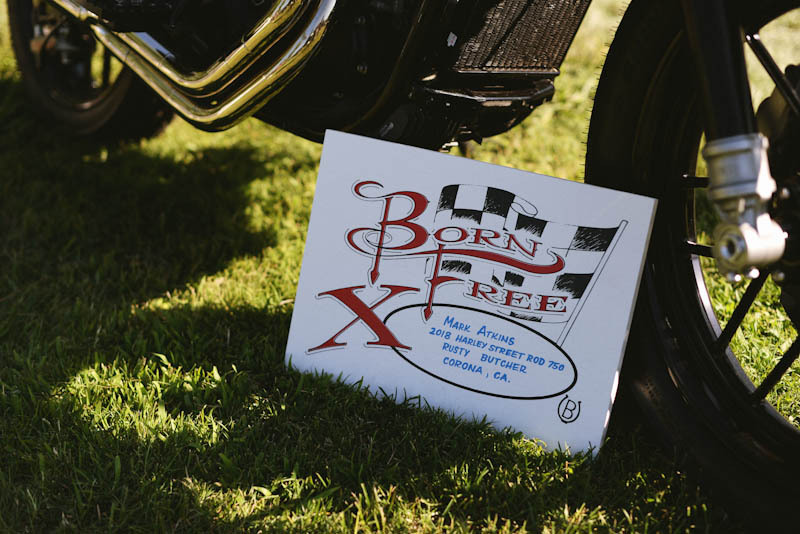 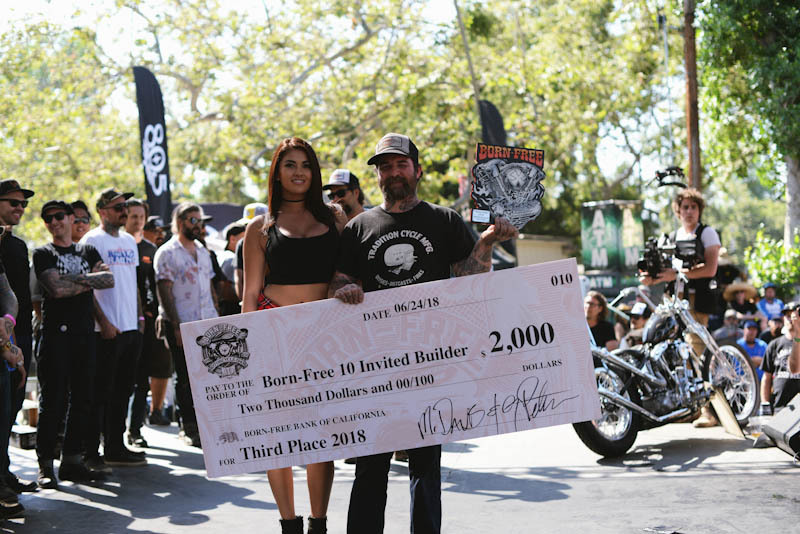 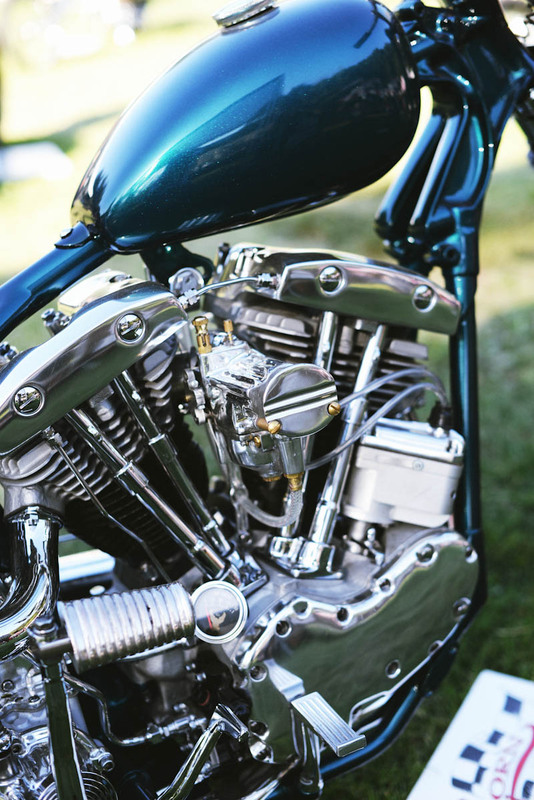 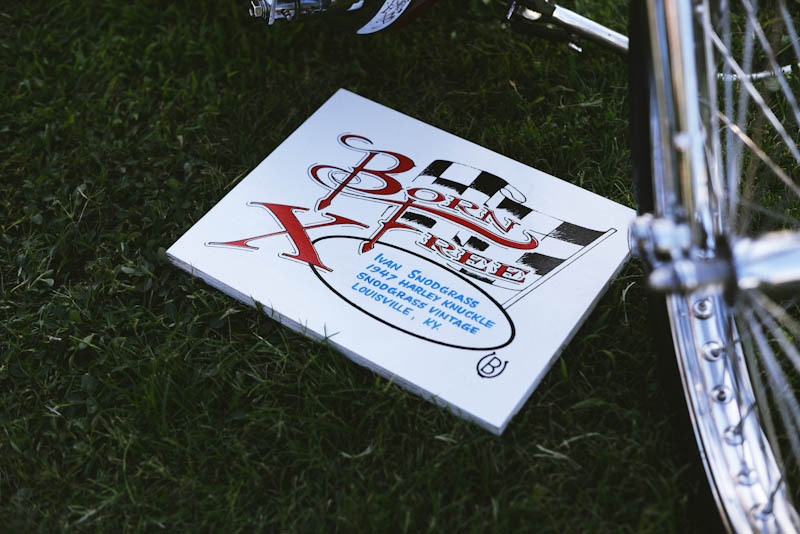 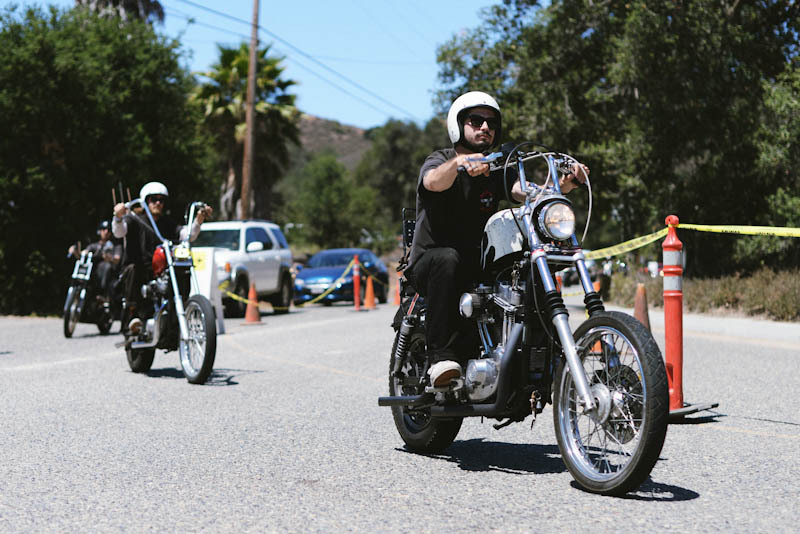 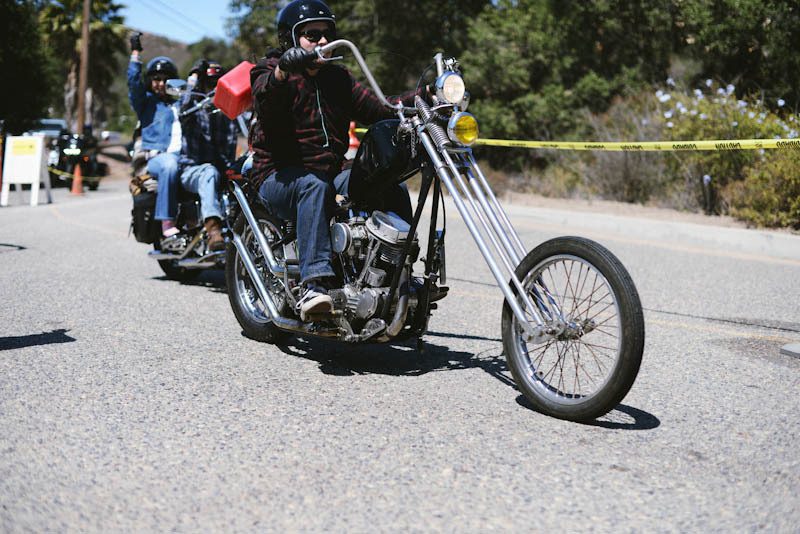 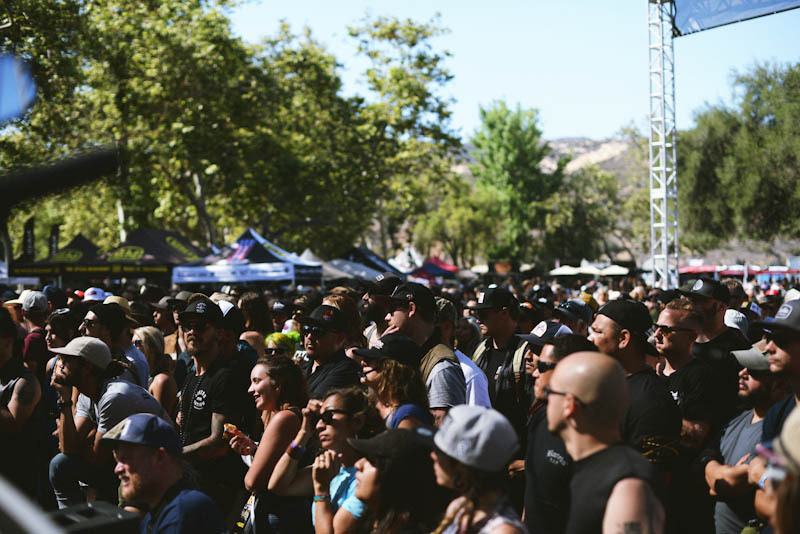 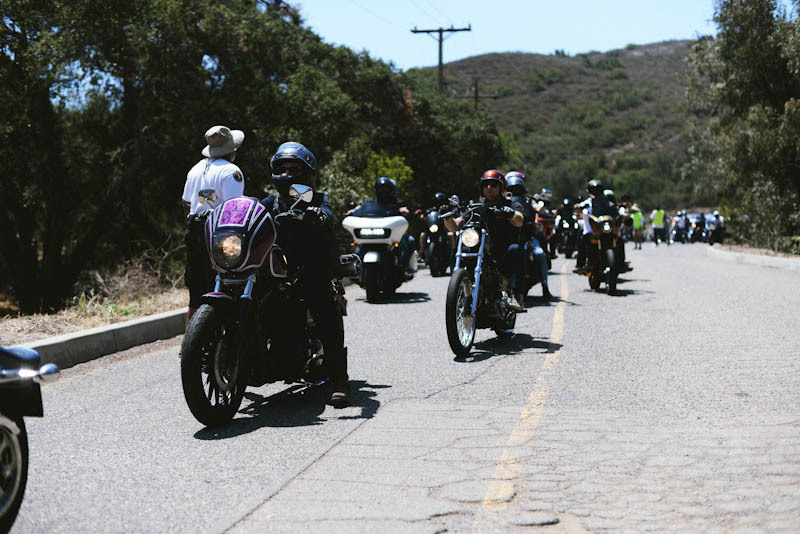 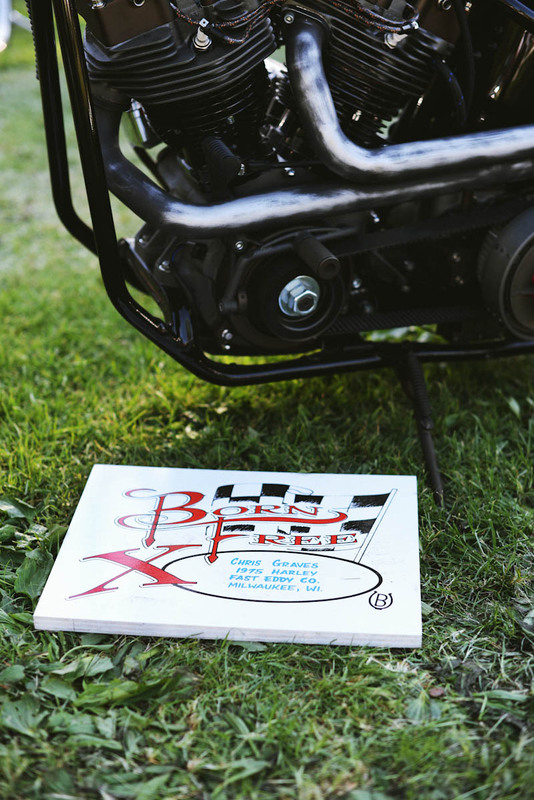 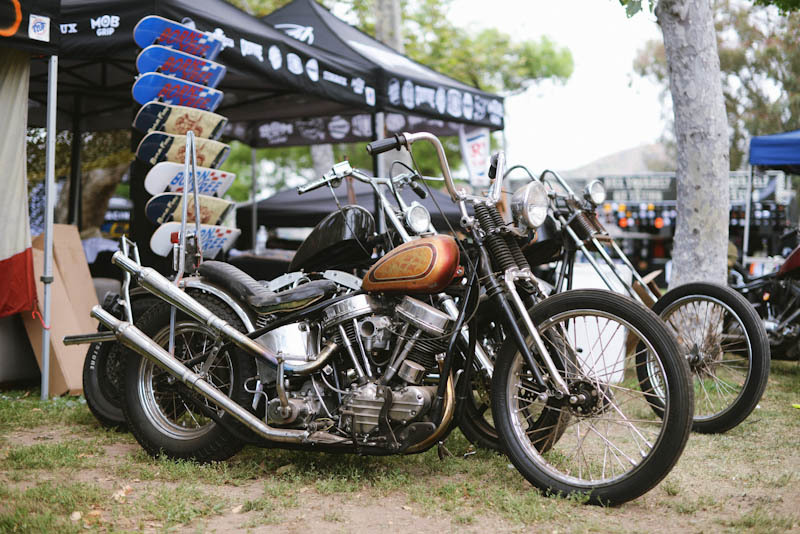 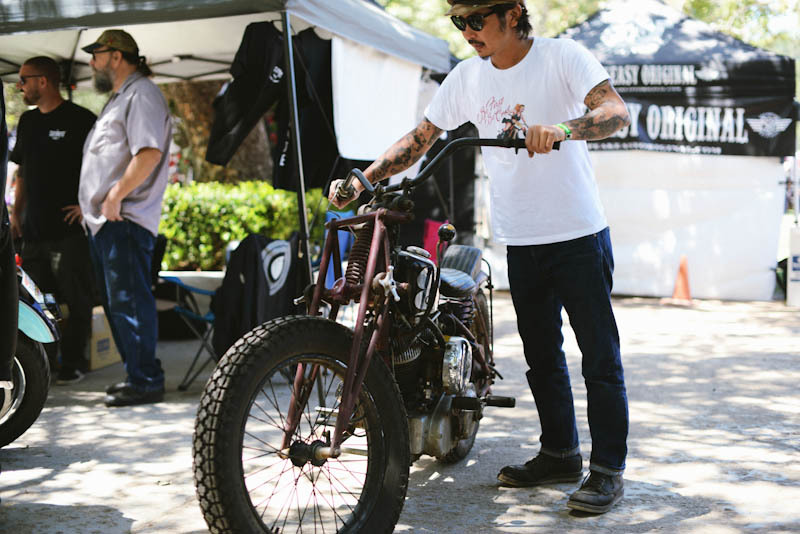 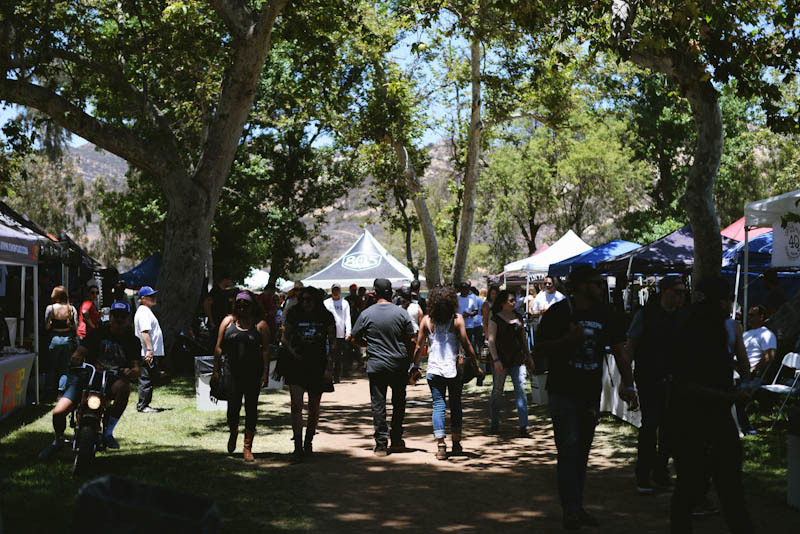 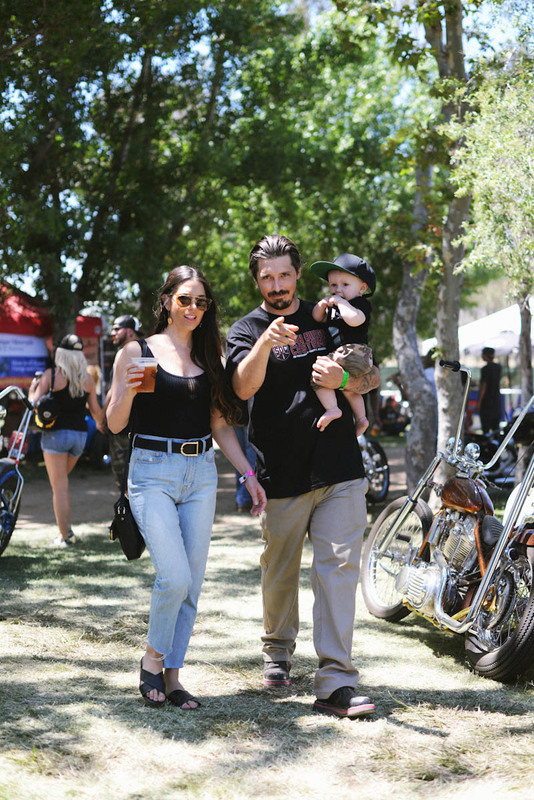 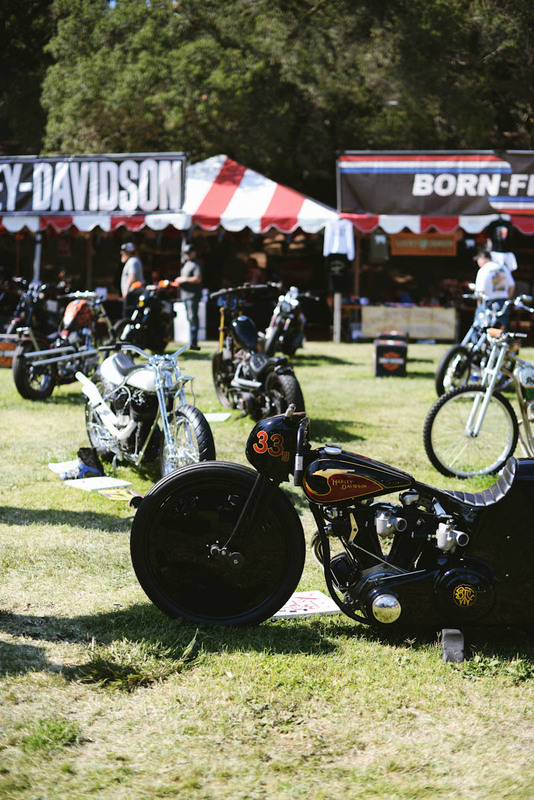 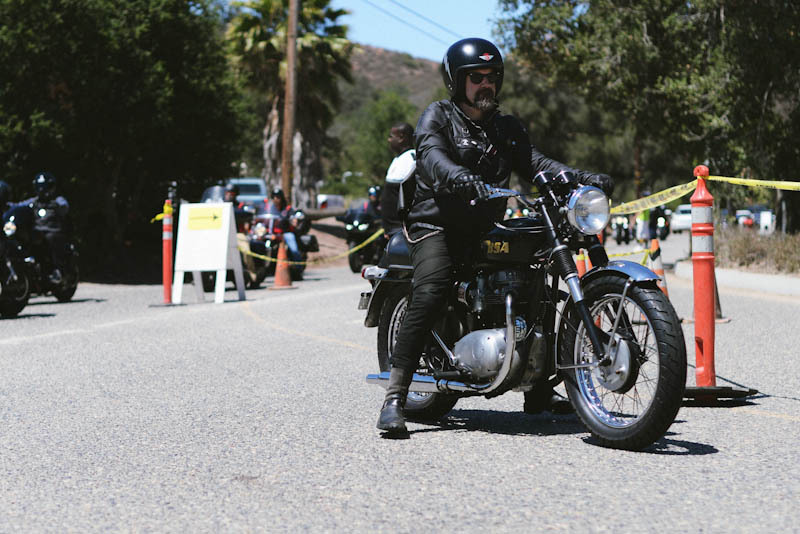 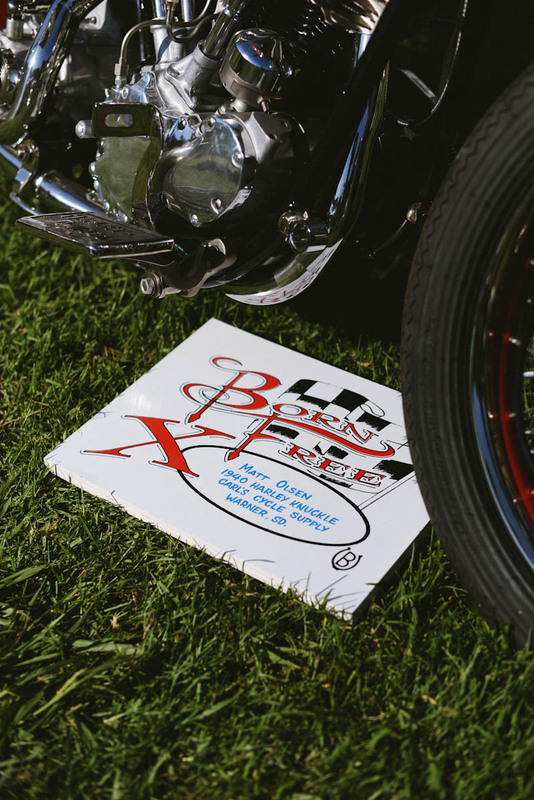 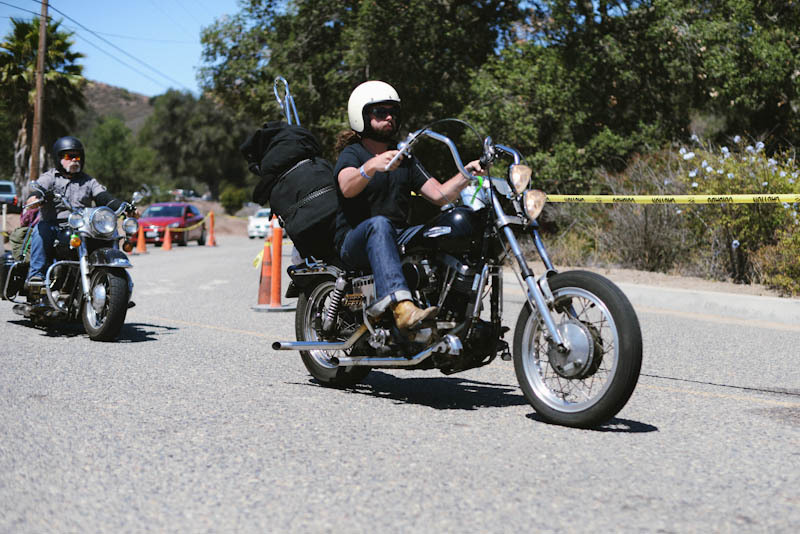 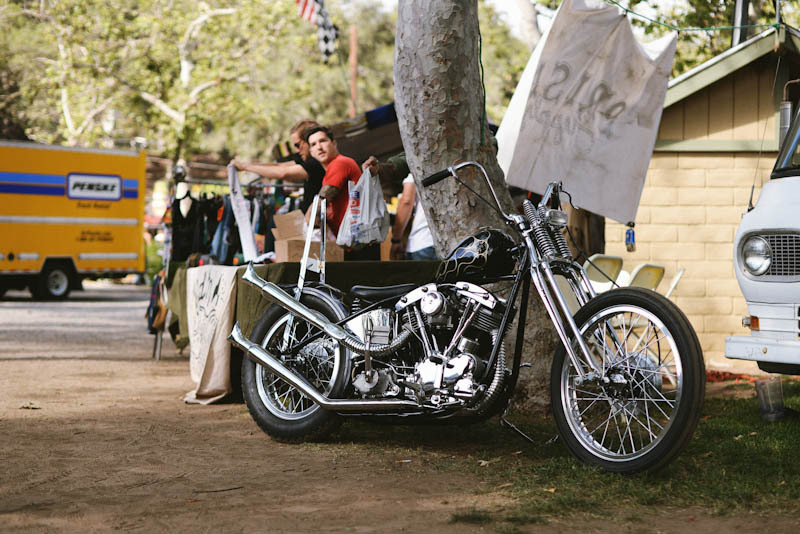 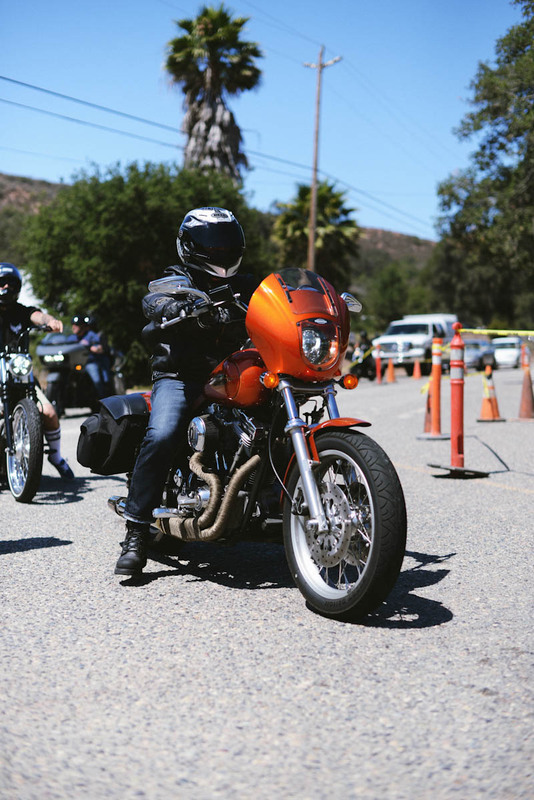 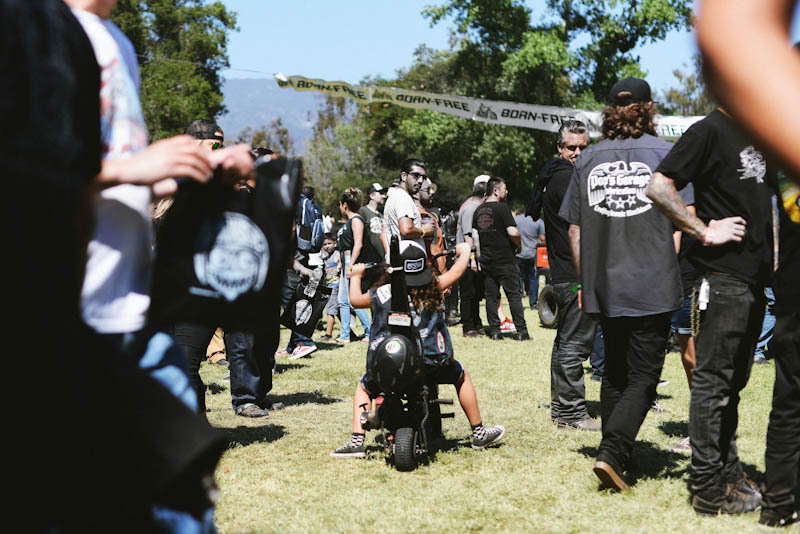 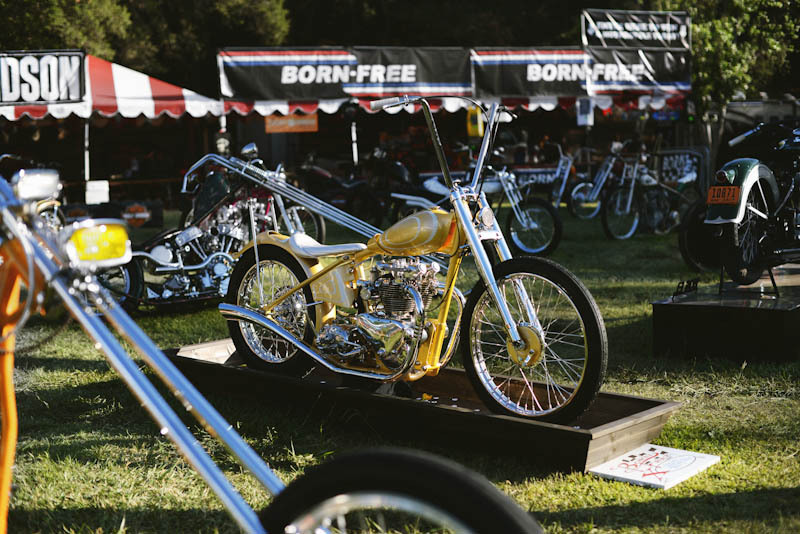 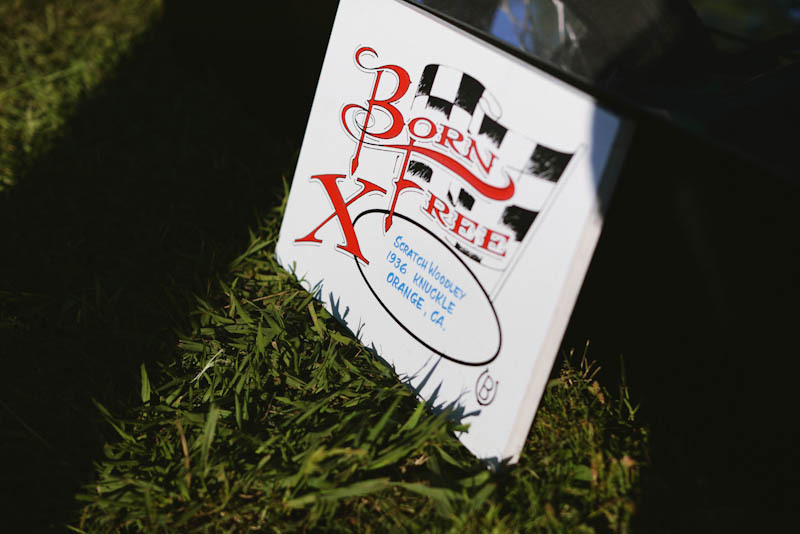 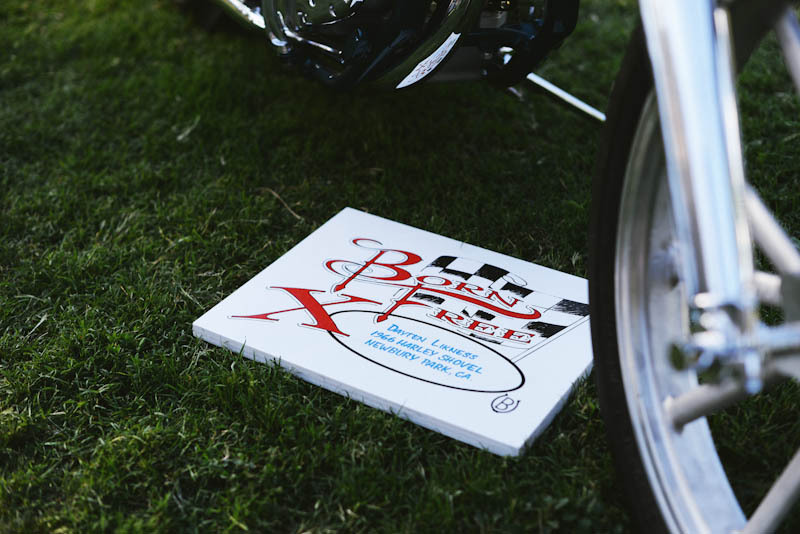 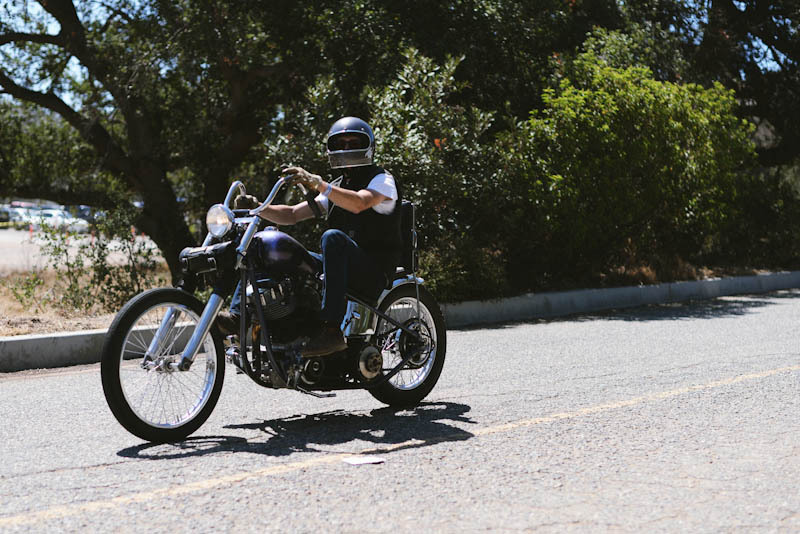 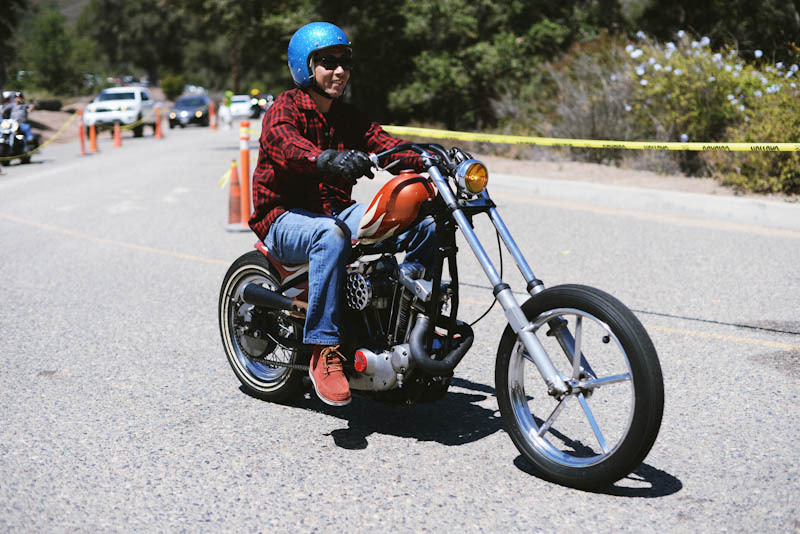 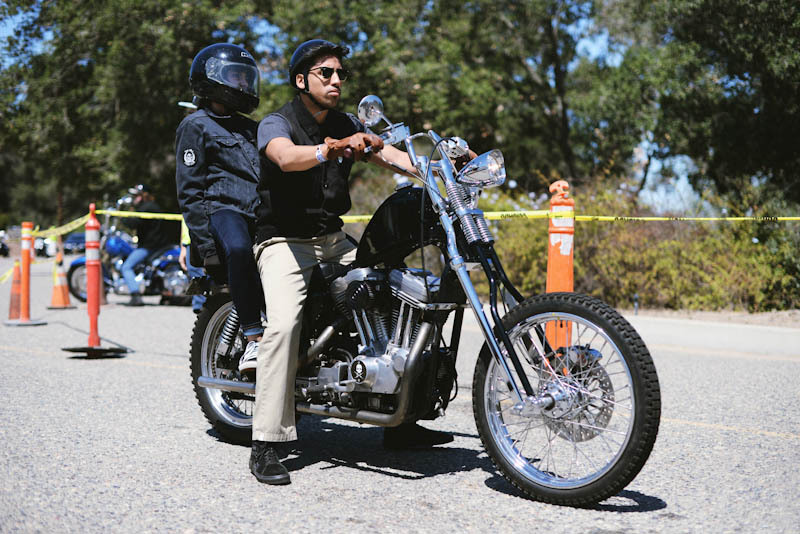 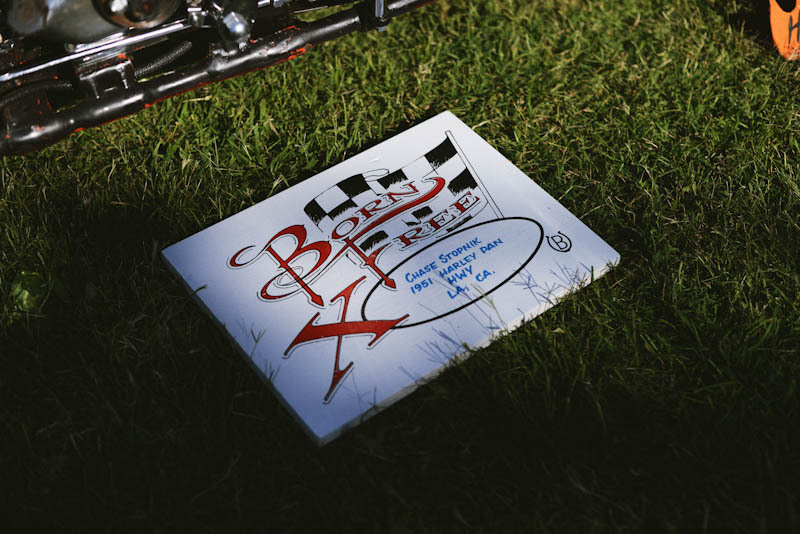 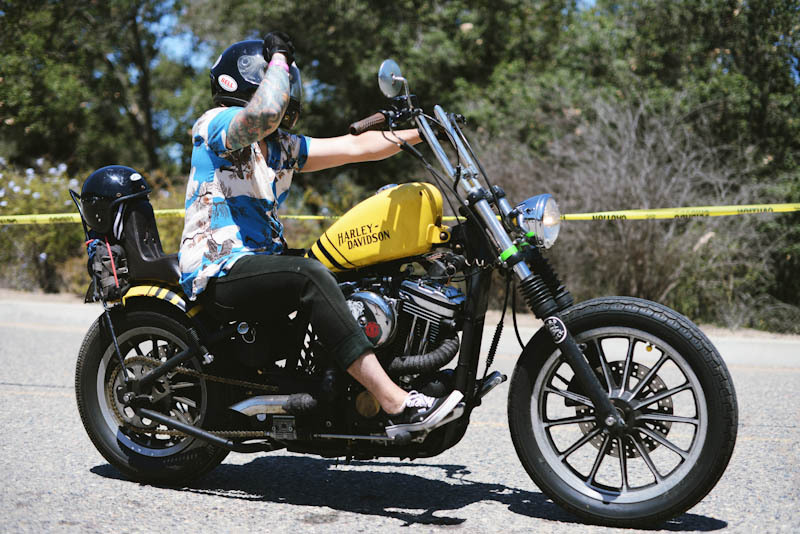 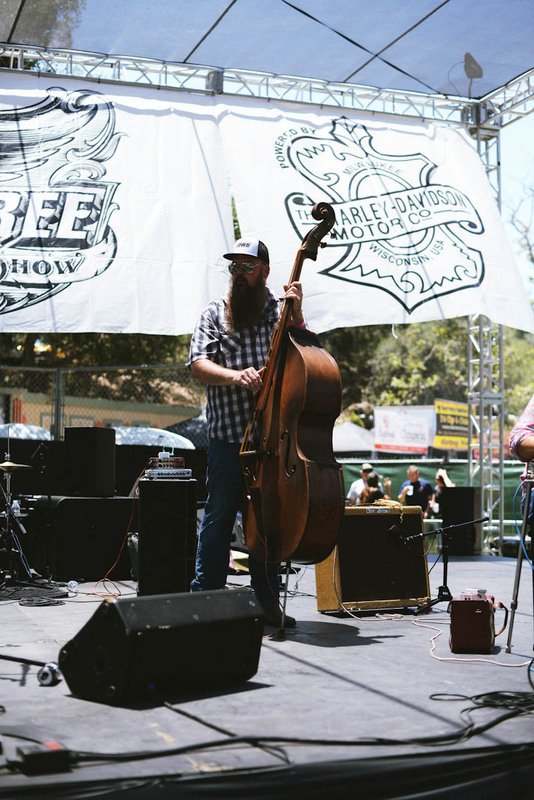 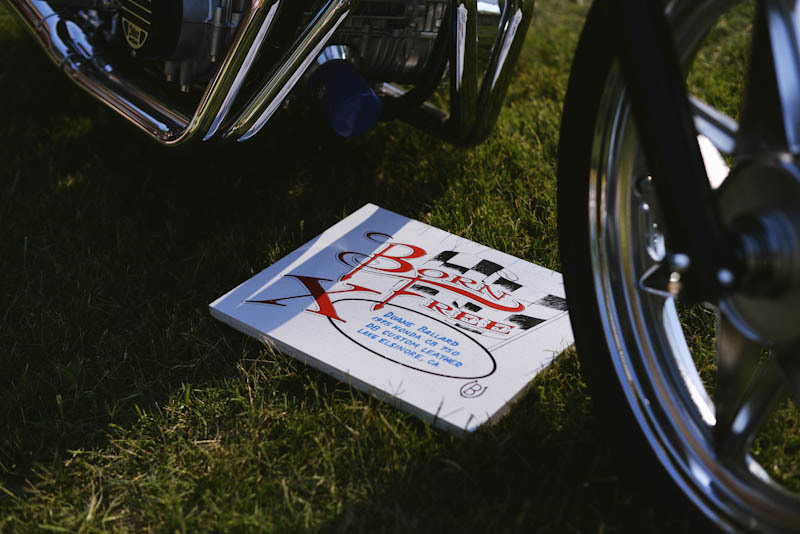 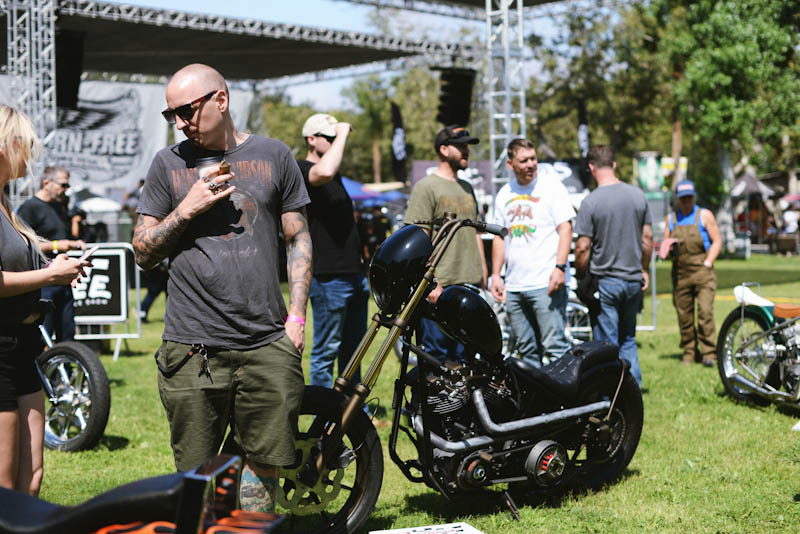 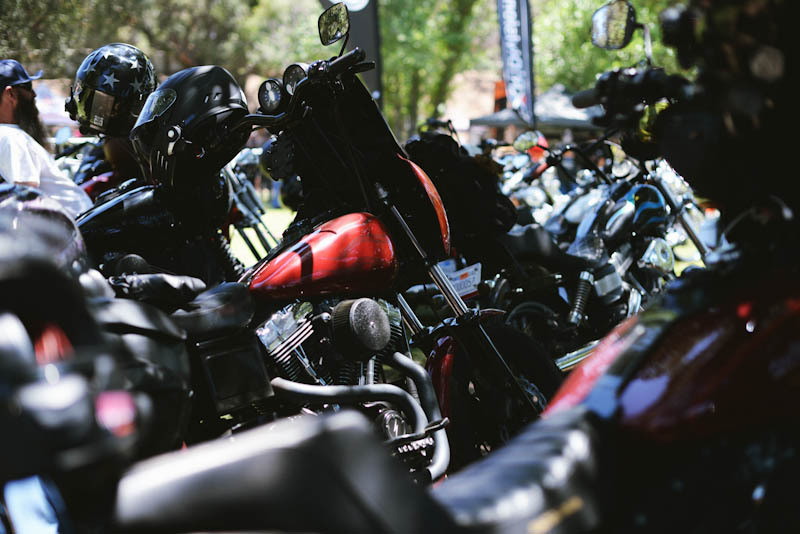 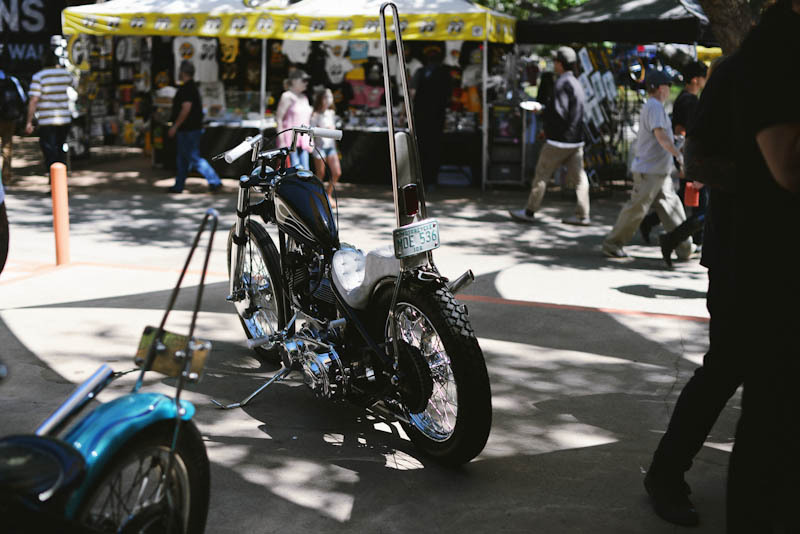 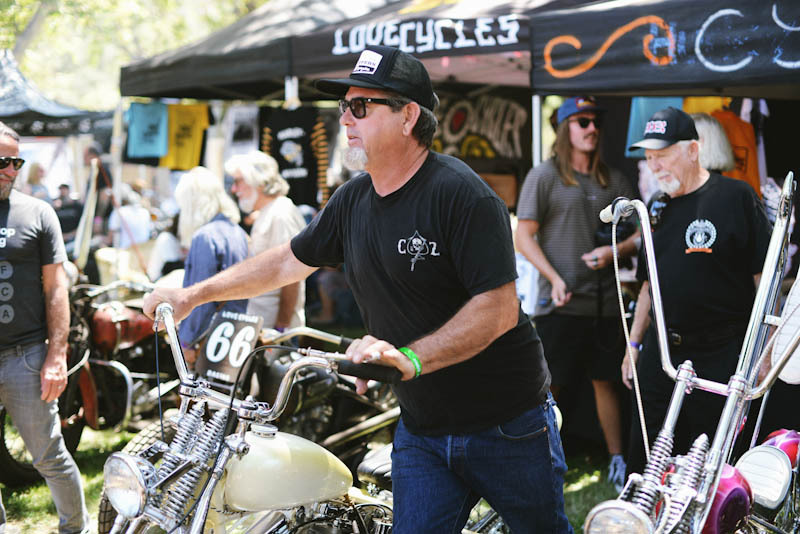 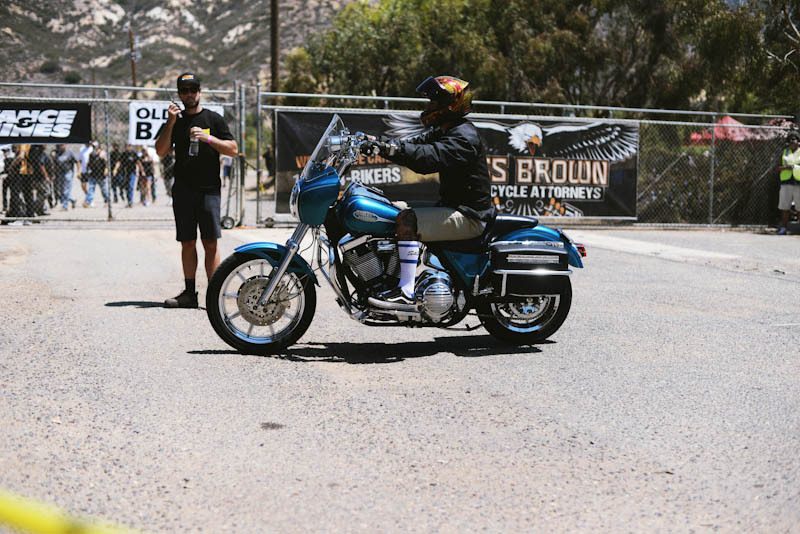 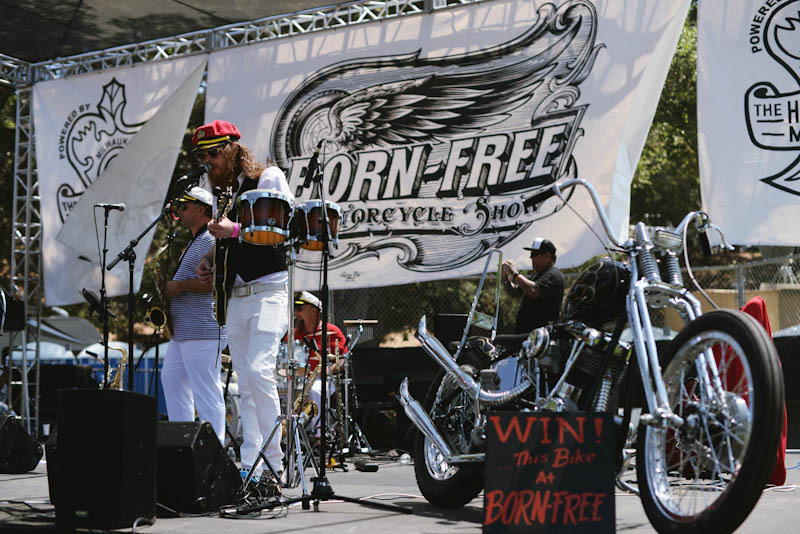 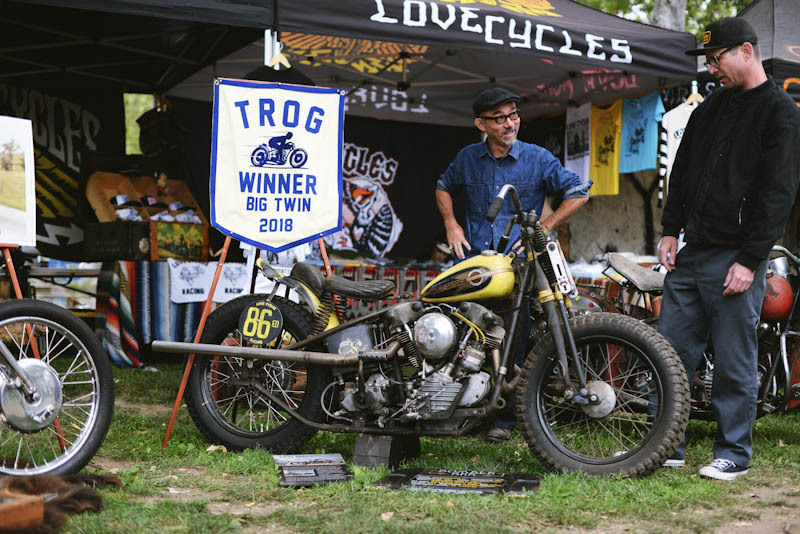 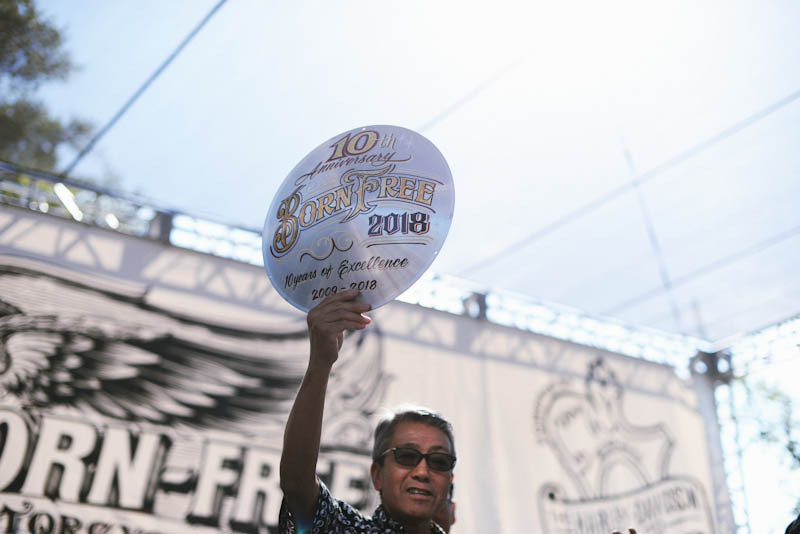 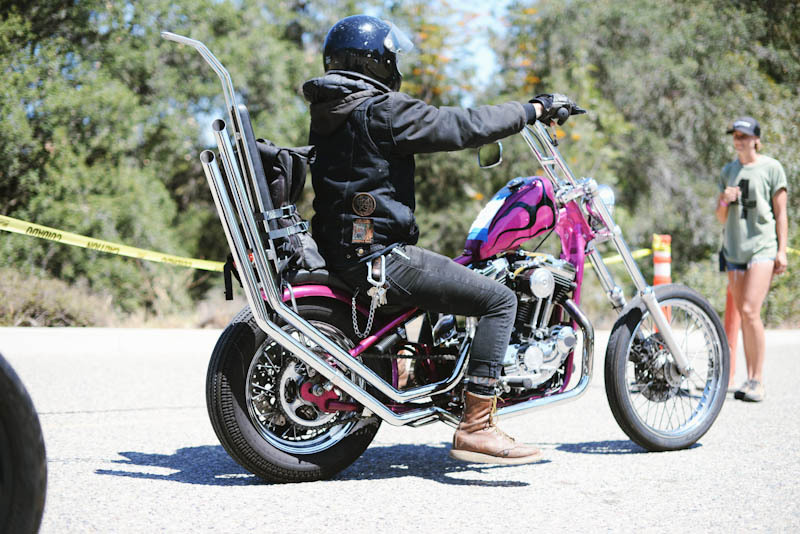 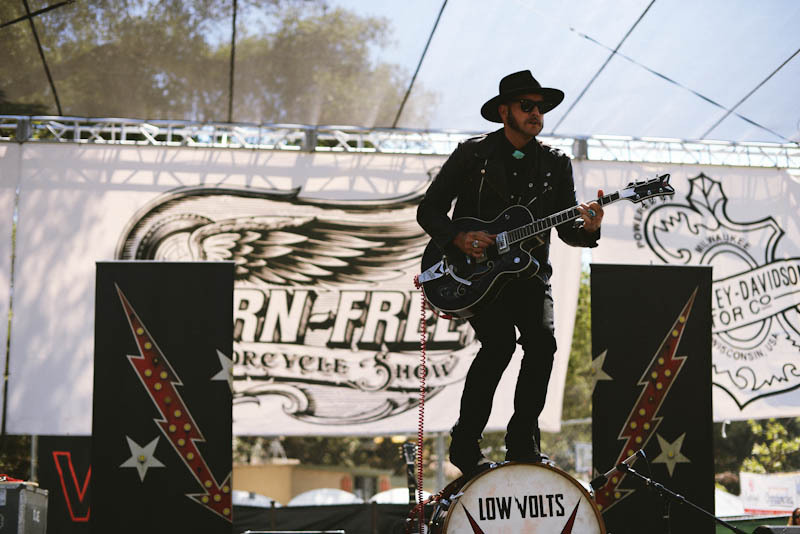 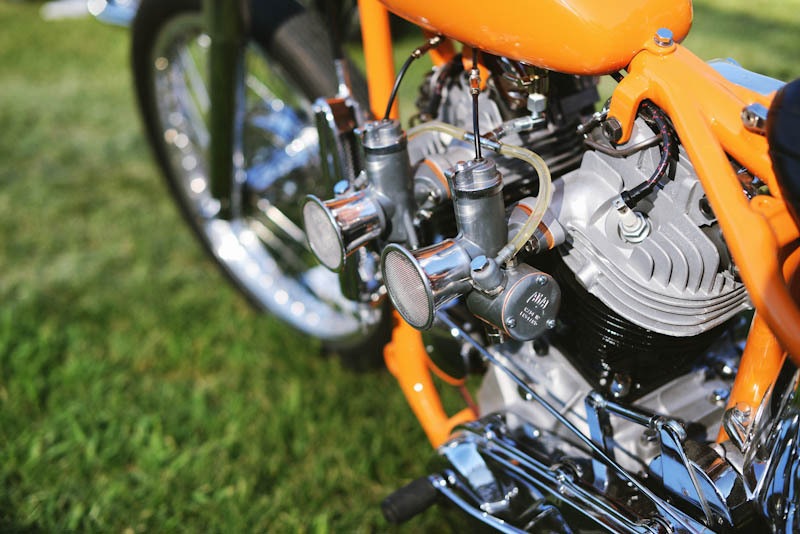 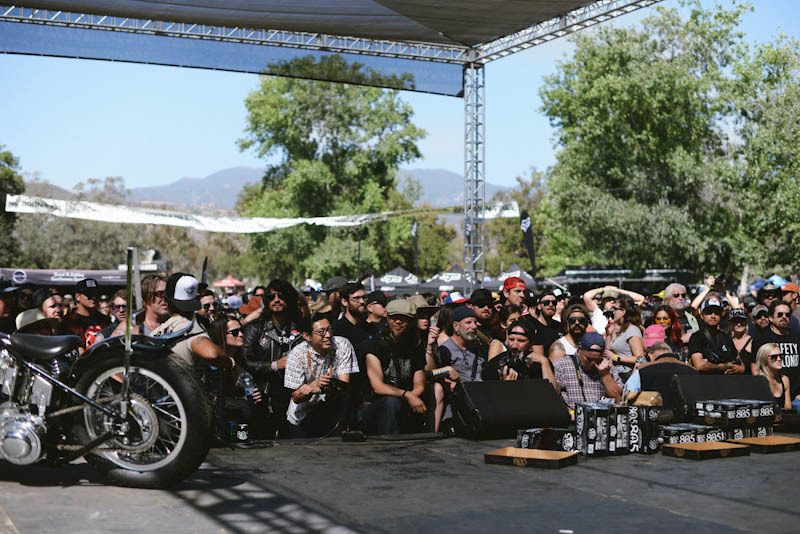 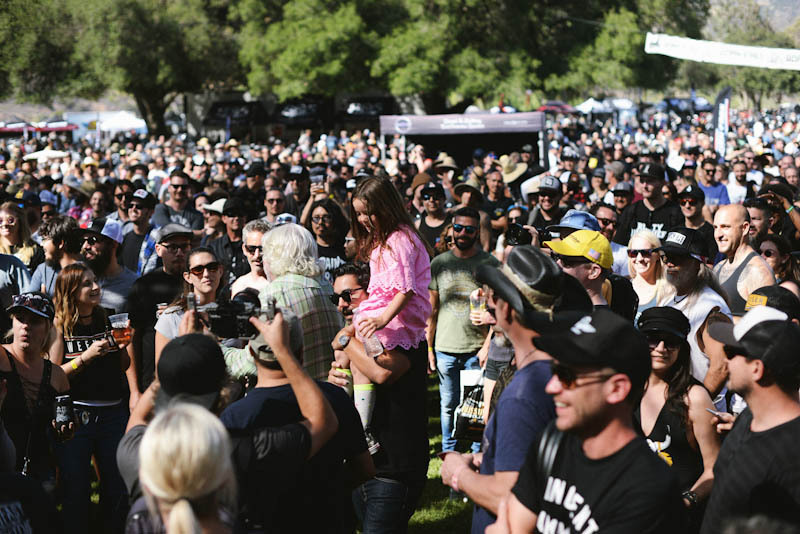 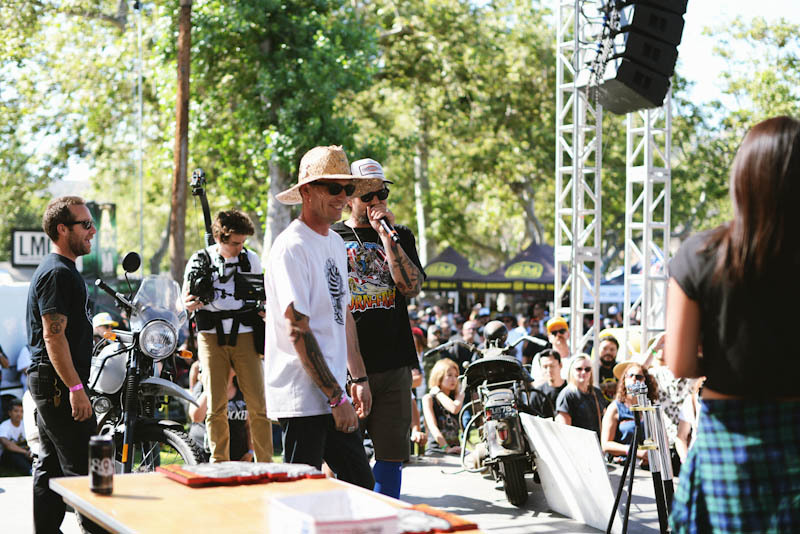 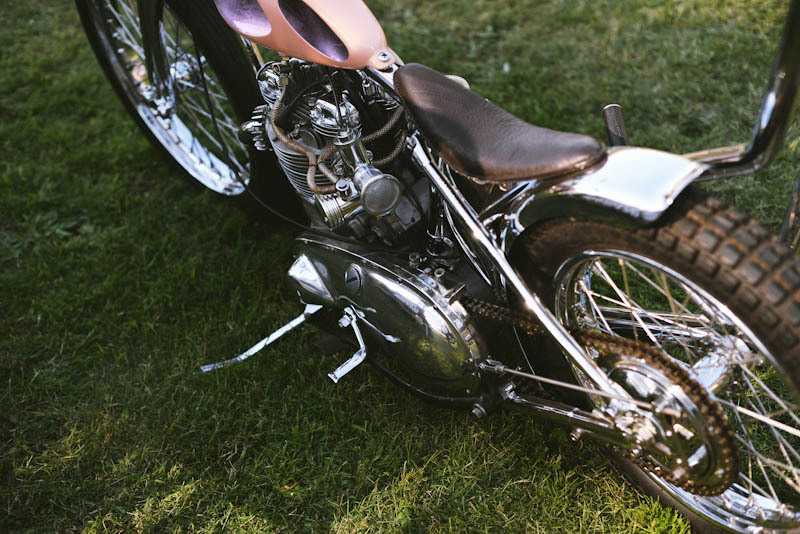 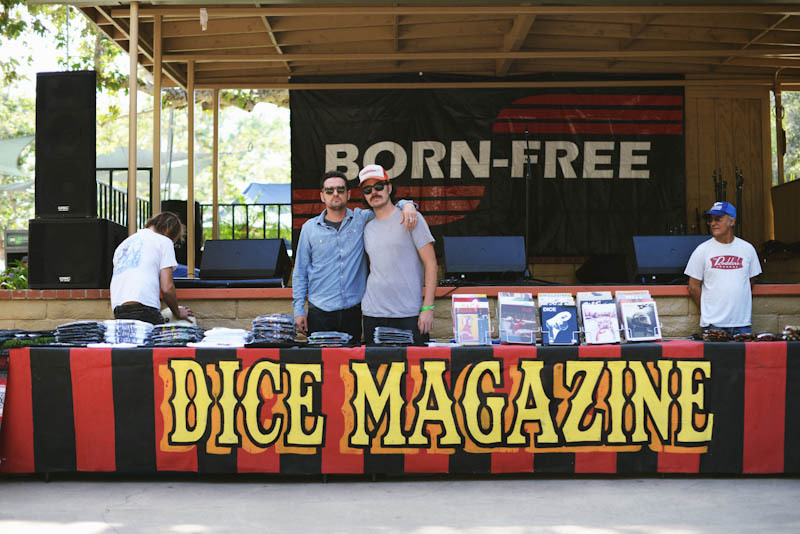 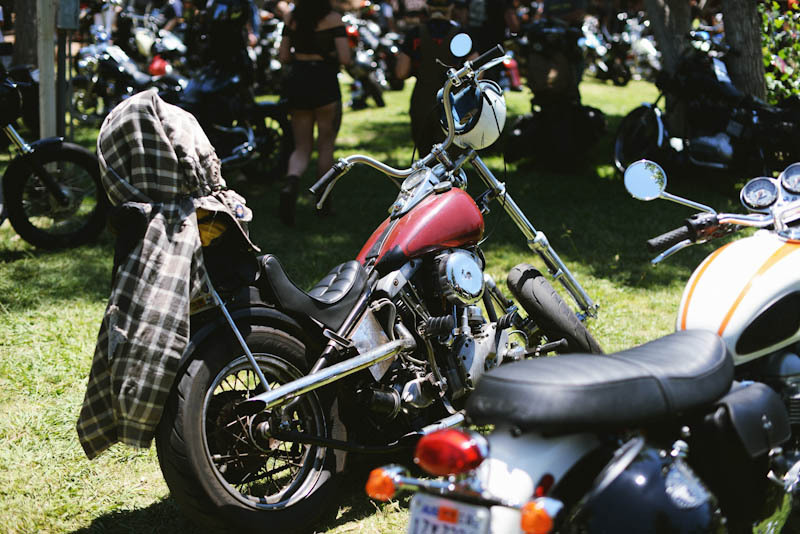 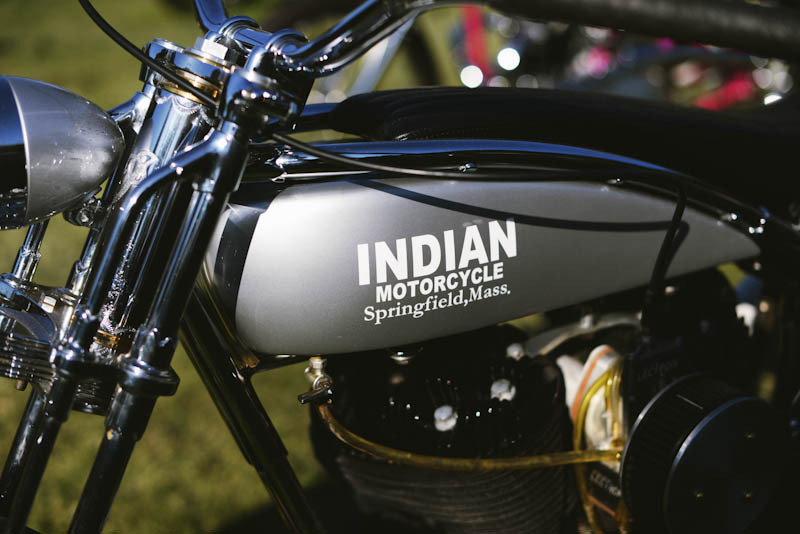 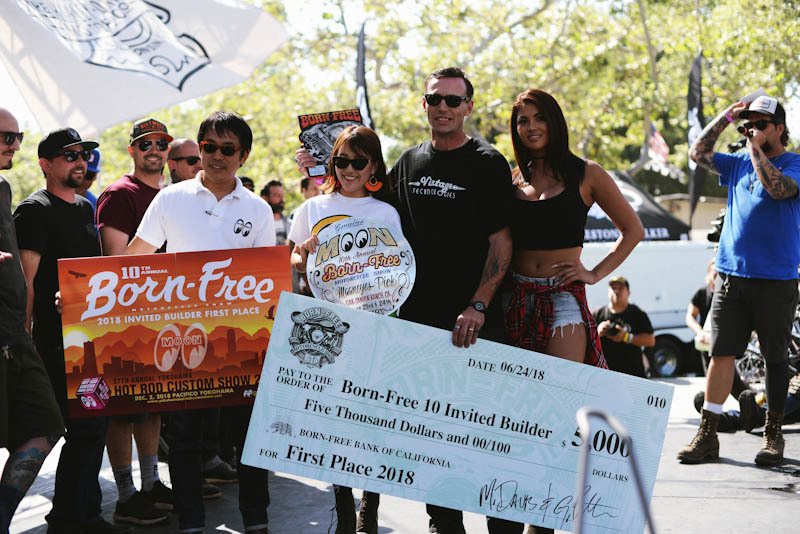 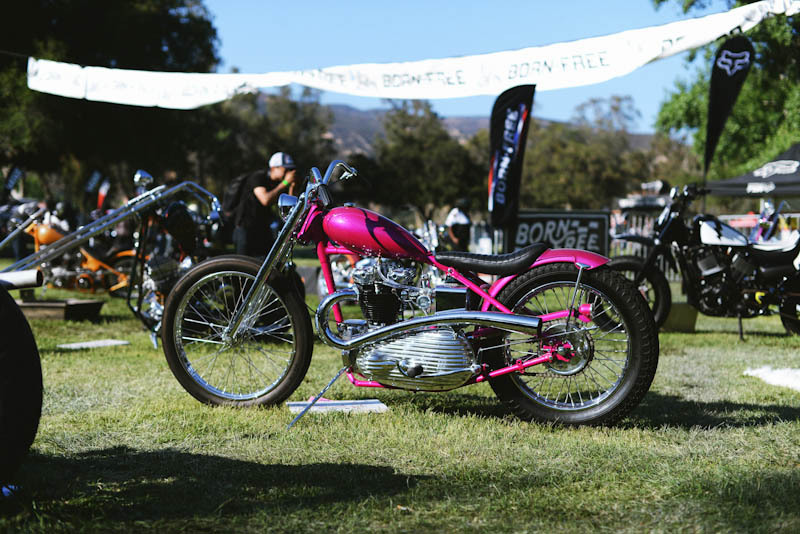 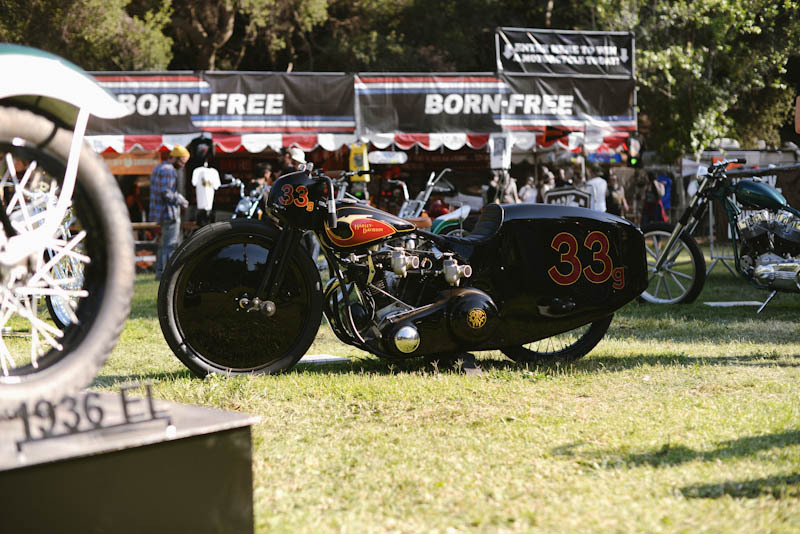 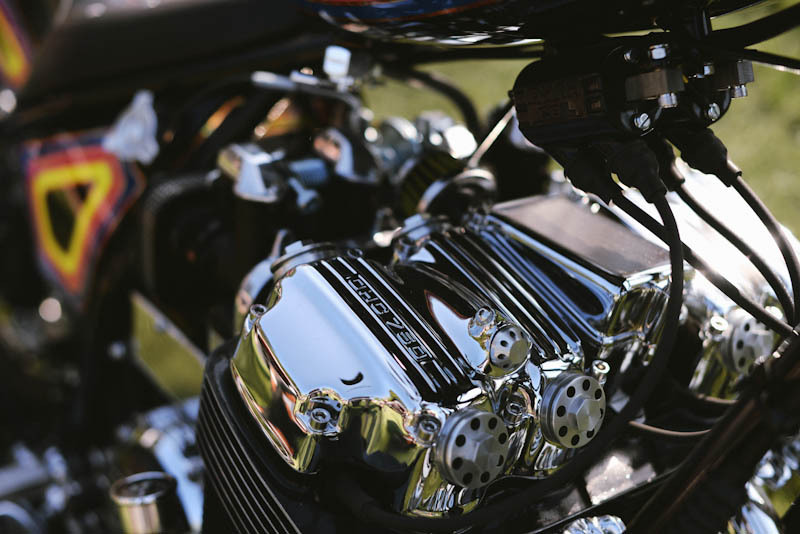 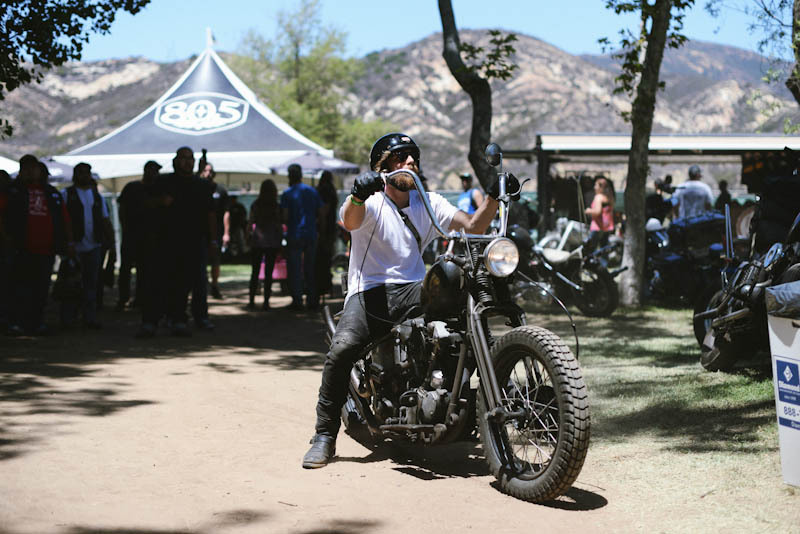 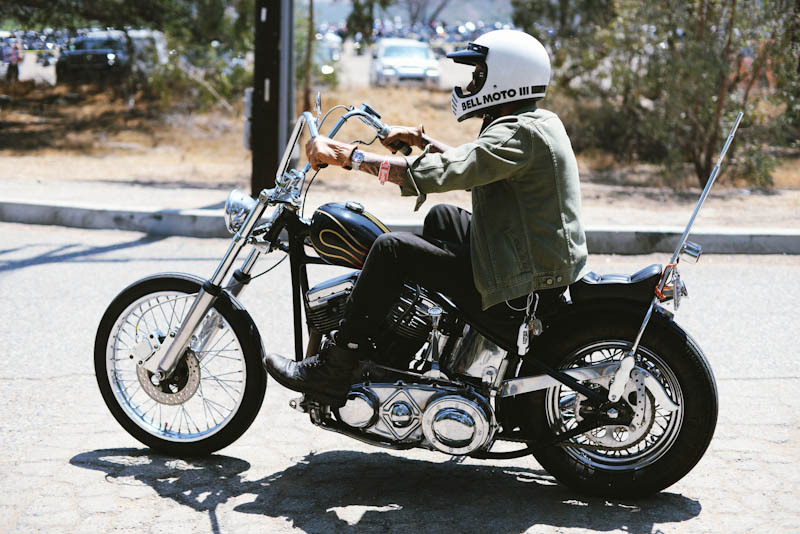 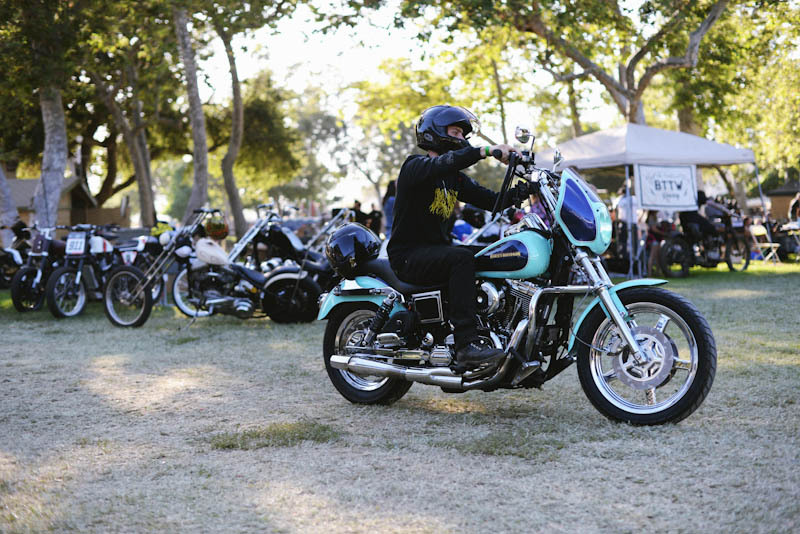 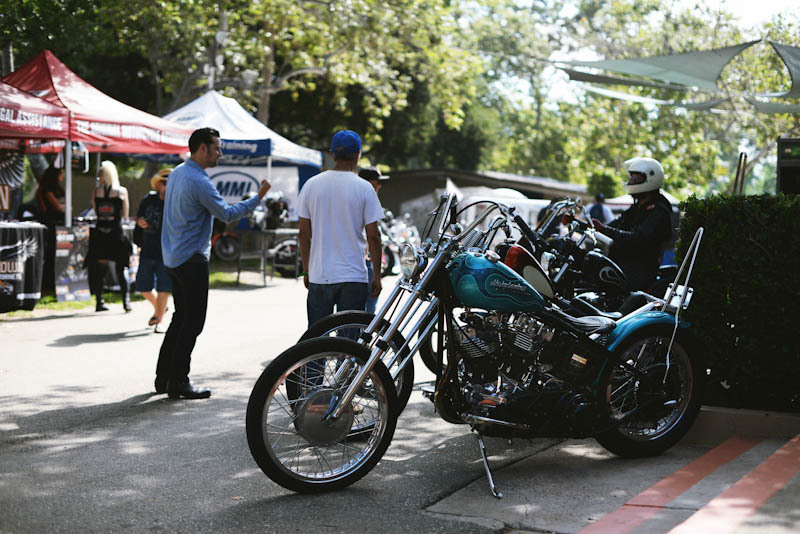 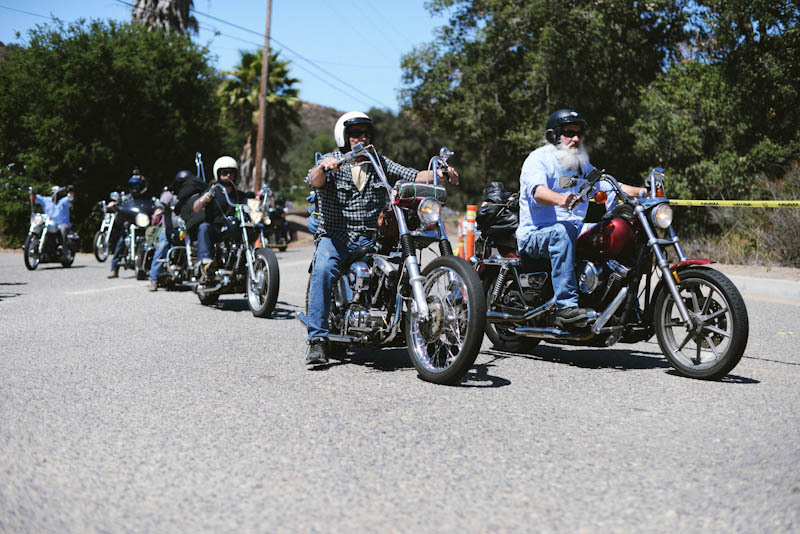 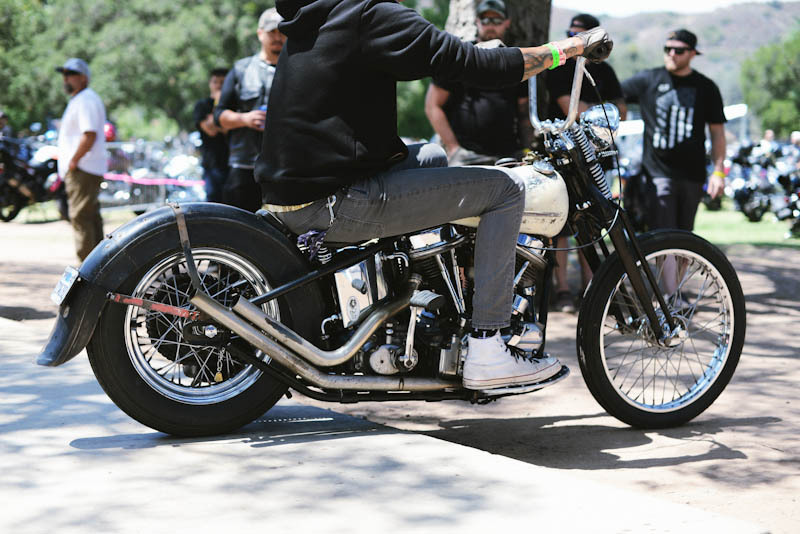 The Born-Free Show is about the love of old motorcycles and like minded individuals having a good time together and enjoying these bikes of the past. 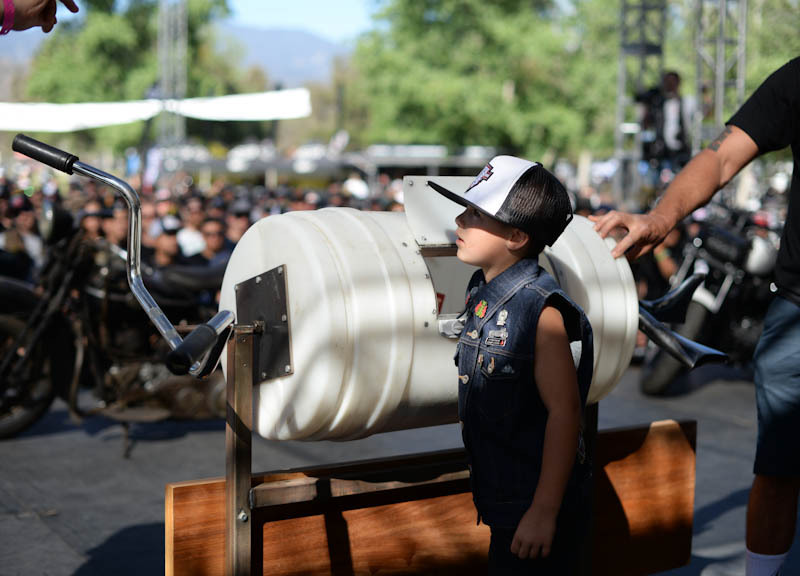 It is also a family event, young and old alike are welcome to come out and enjoy the show. 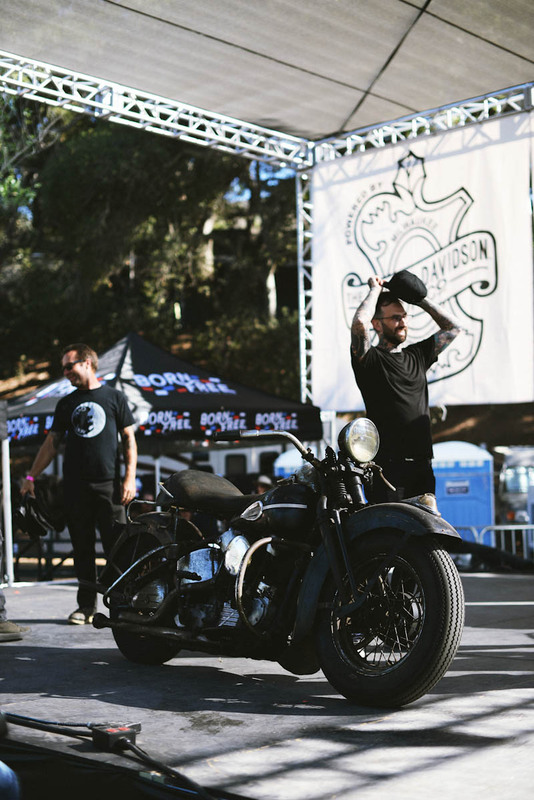 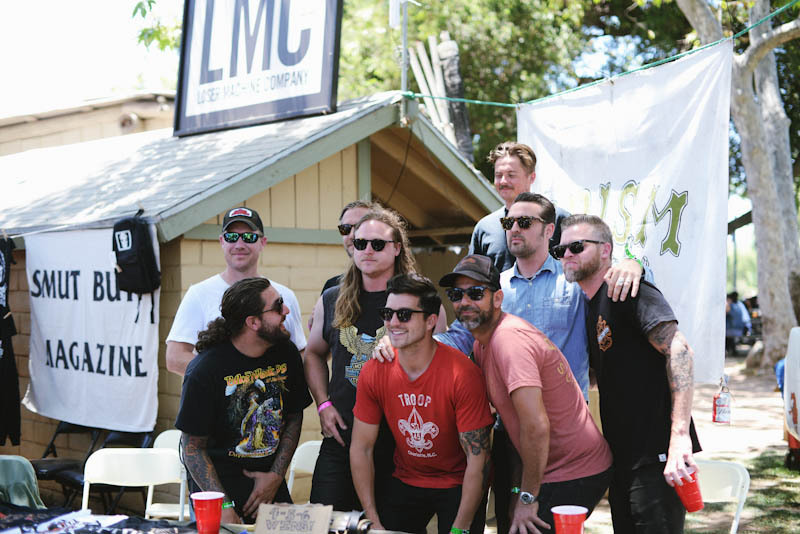 This show is meant to unite people from all walks of life by bringing the passion that we all have of these old machines together for one special day. 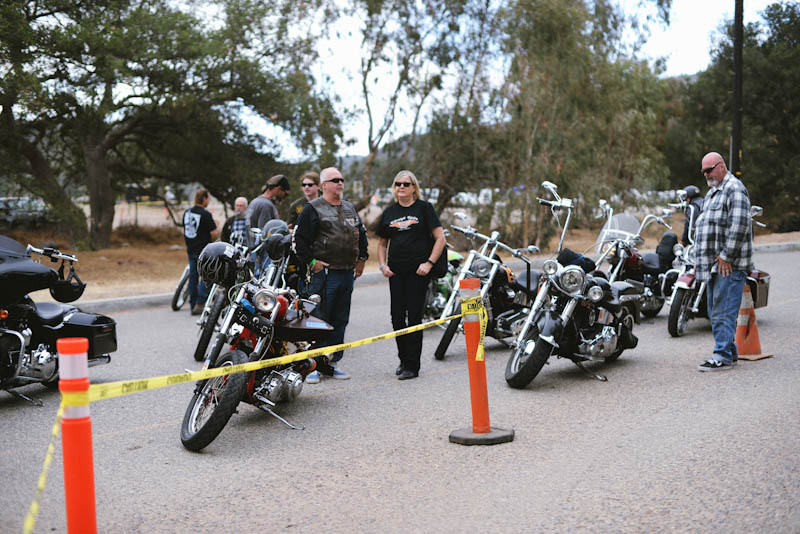 If you come out to the event please be prepared to have a great time, see some vintage bikes..lots of vintage bikes in a peaceful friendly family environment.The event site and local law enforcement have a (( no Patch or Colors )) policy that we must abide by. 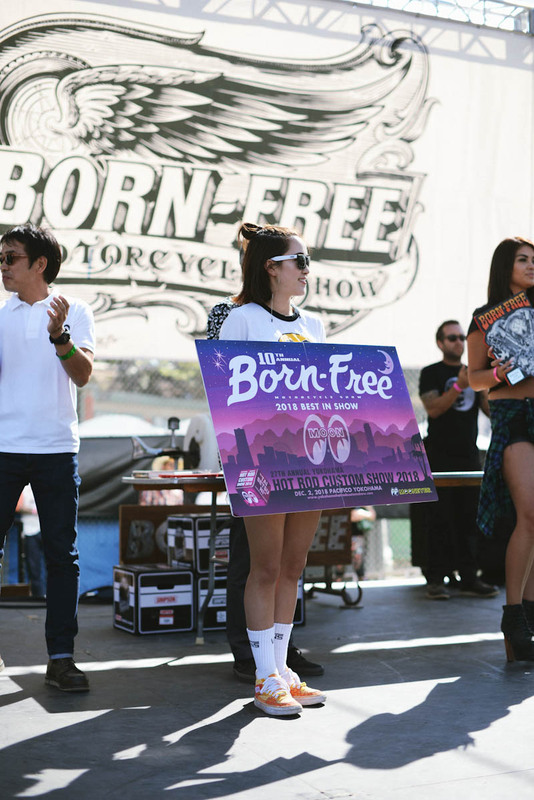 We respect everyone's right live & do as they choose so we must respect the event site's policy as well. 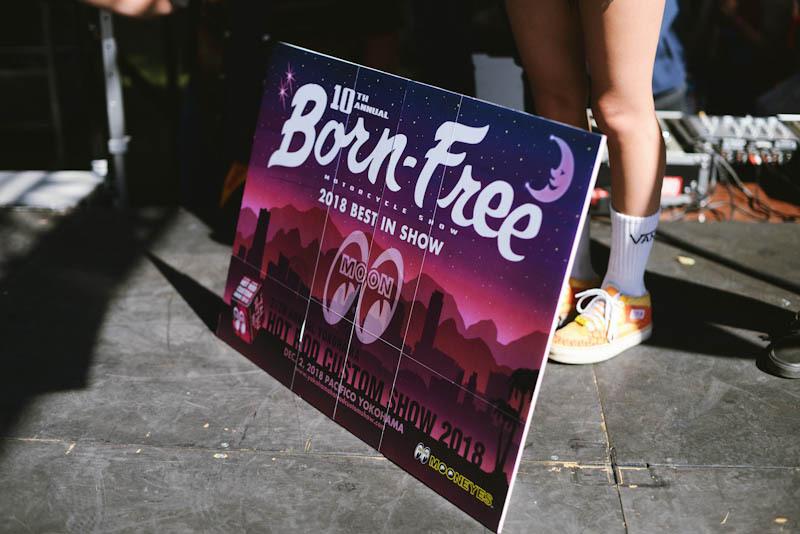 We thank you in advance for your cooperation and look forward to seeing everyone June 23 - 24 2018 @ Born-Free 10. 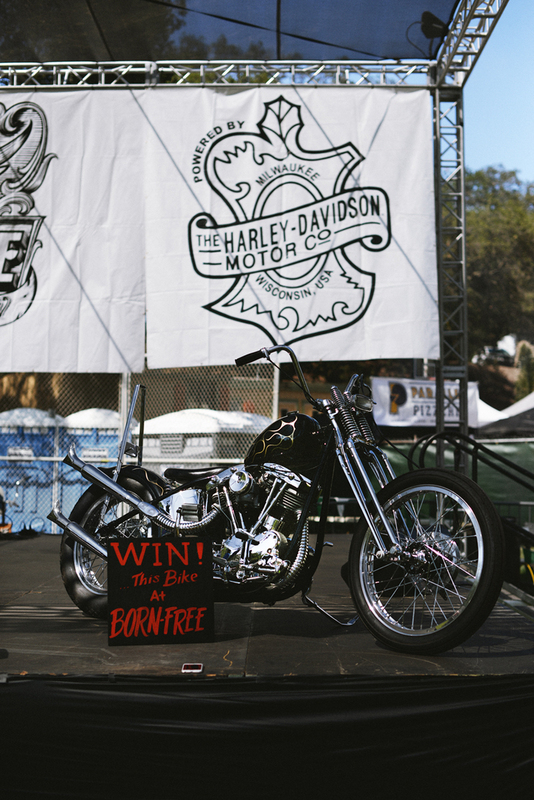 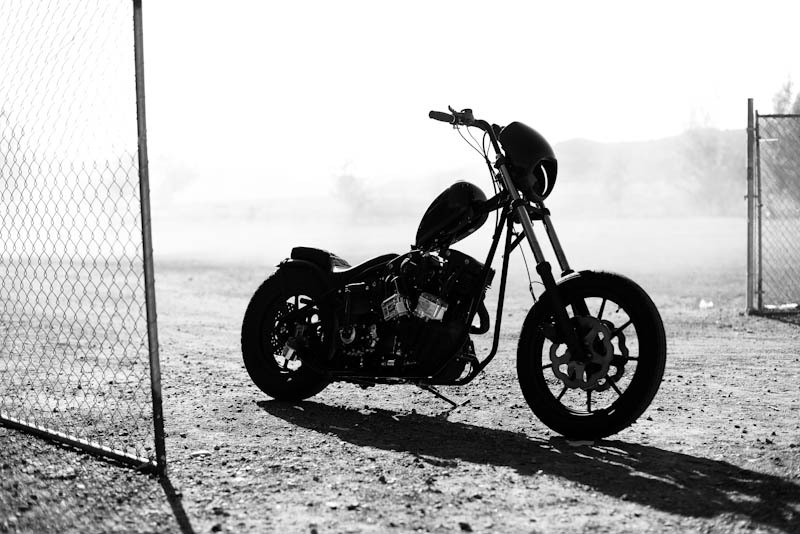 YOU CAN WIN THIS BIKE THIS SATURDAY AT THE BF X H-D STAMPEDE SCRAMBLES. 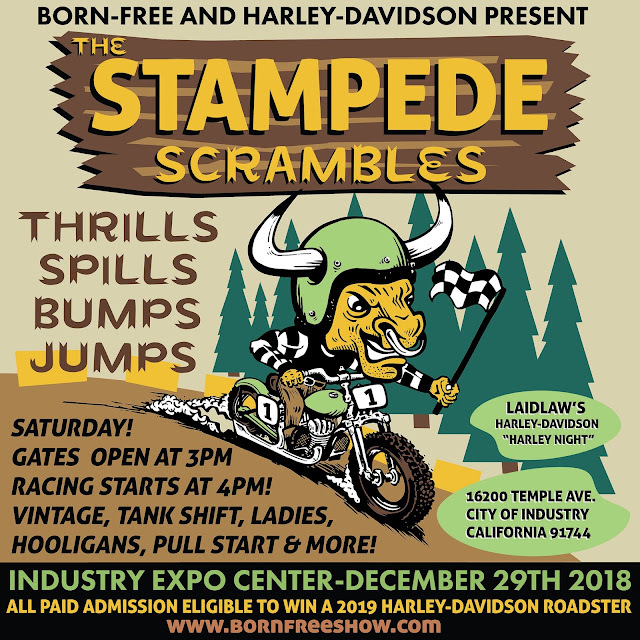 LIVE FROM... INDUSTRY EXPO CENTER 16200 TEMPLE AVE CITY OF INDUSTRY CA.91744 GATES OPEN AT 3PM. IT'S THIS SATURDAY!! 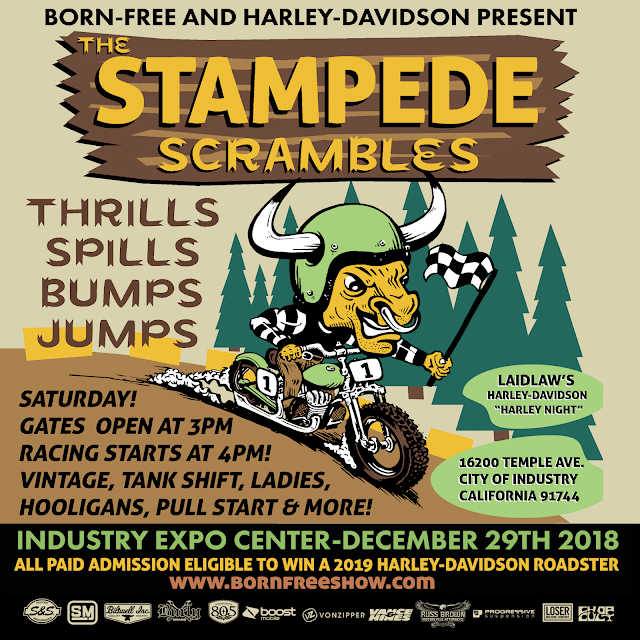 THE STAMPEDE SCRAMBLES!! 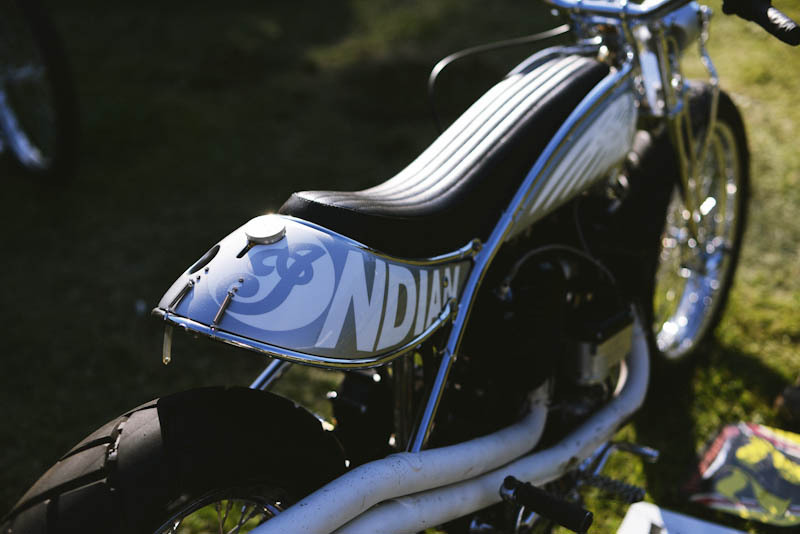 Go Takamine got the 'Best Indian' award! 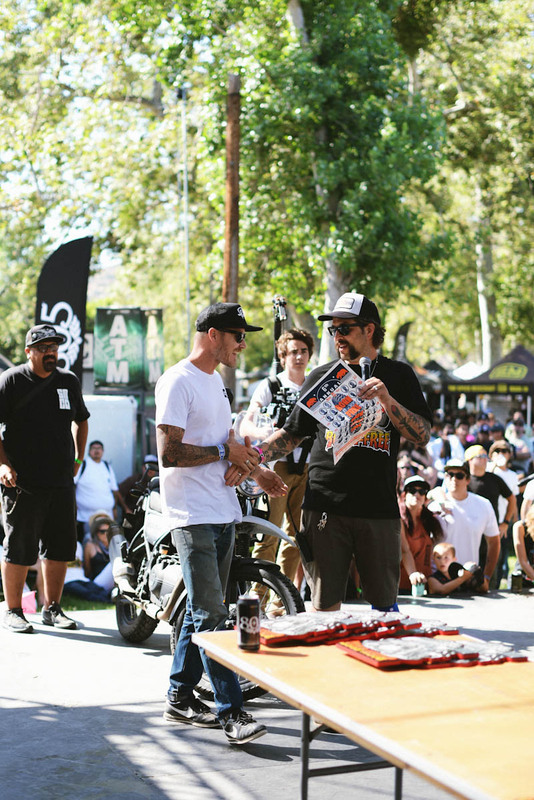 He was not able to hide his excitement! 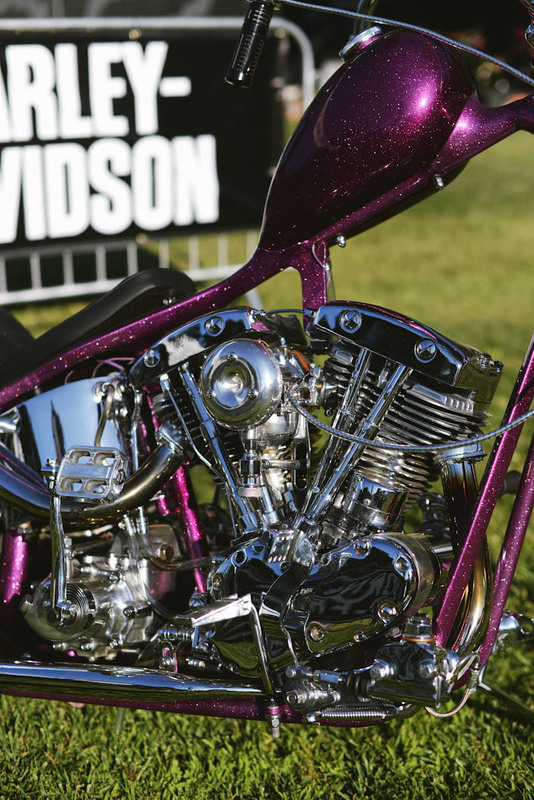 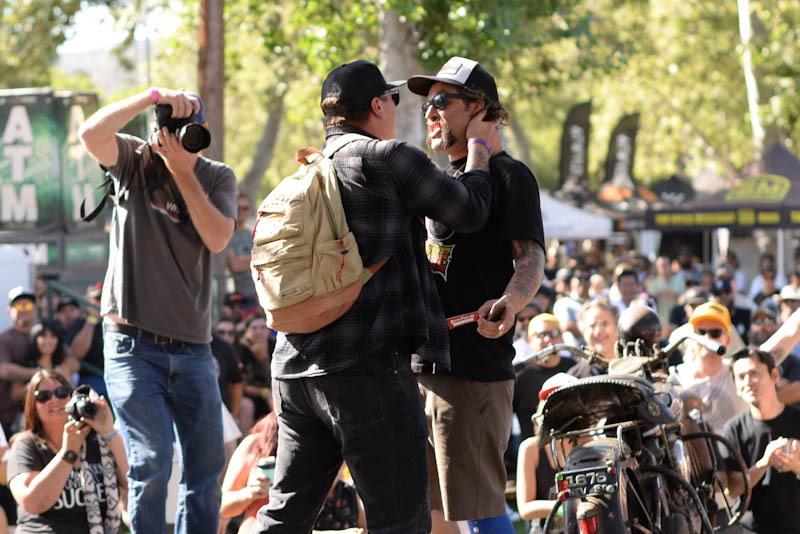 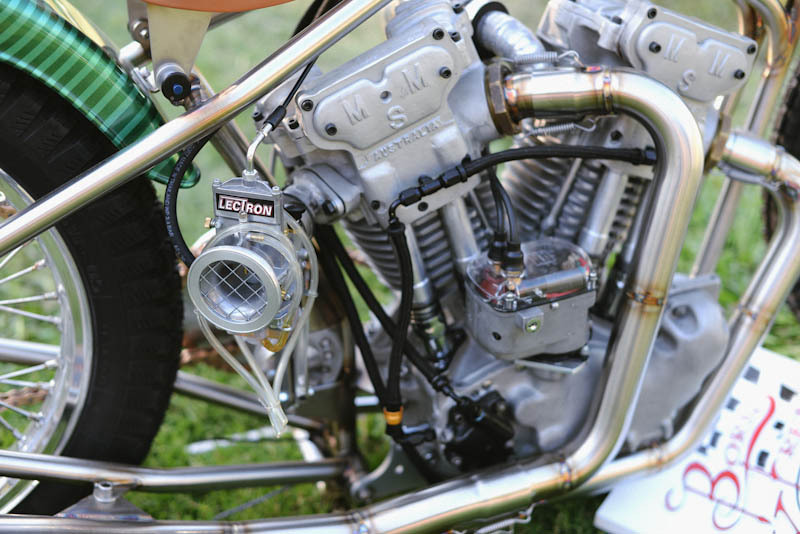 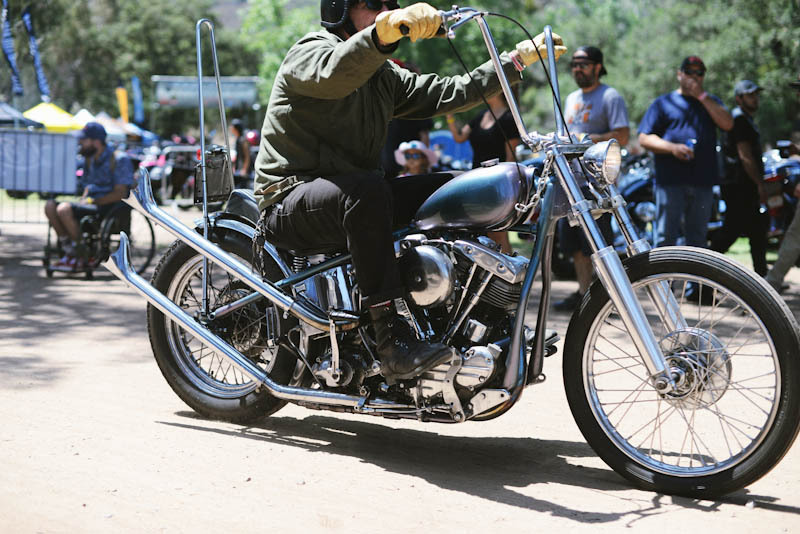 'Best Shovelhead' went to Chris Graves and his amazing bike! 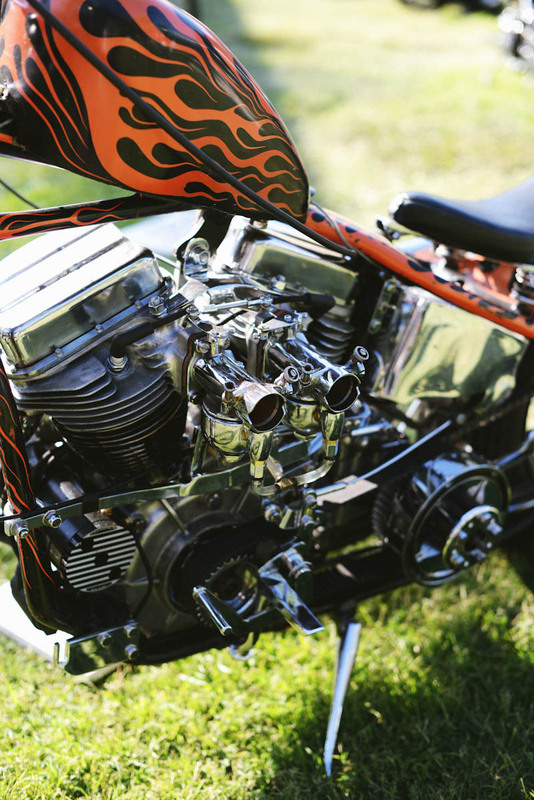 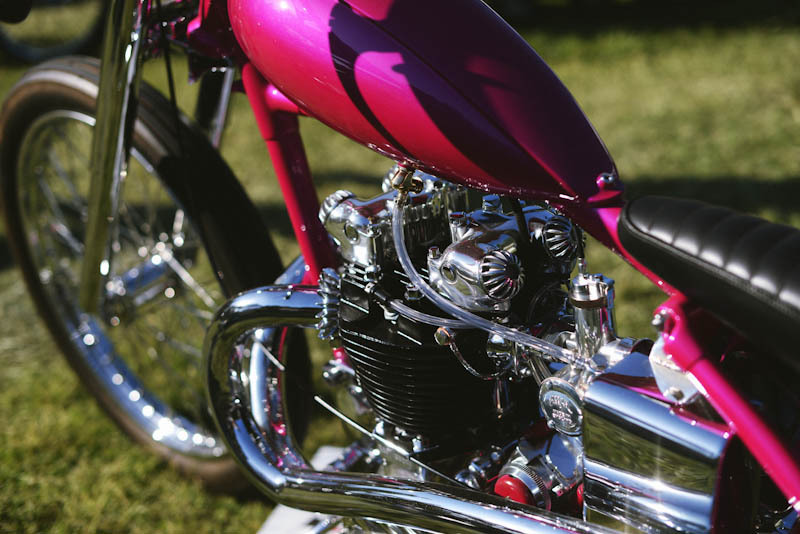 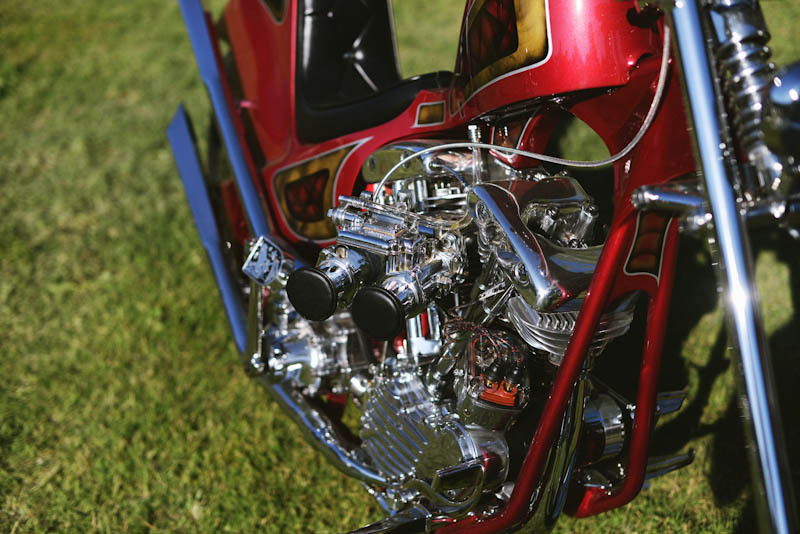 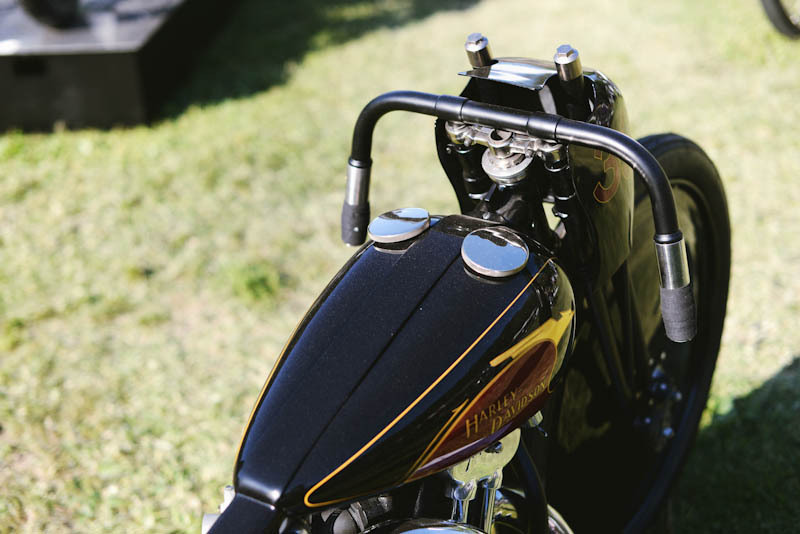 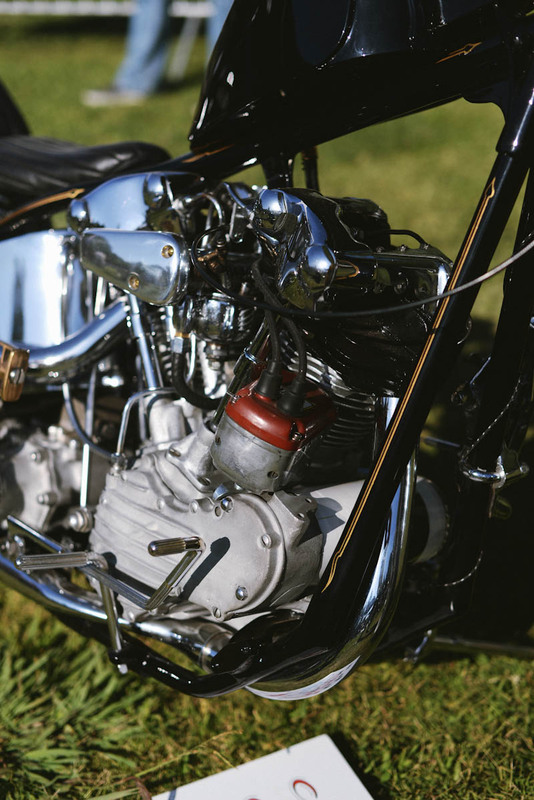 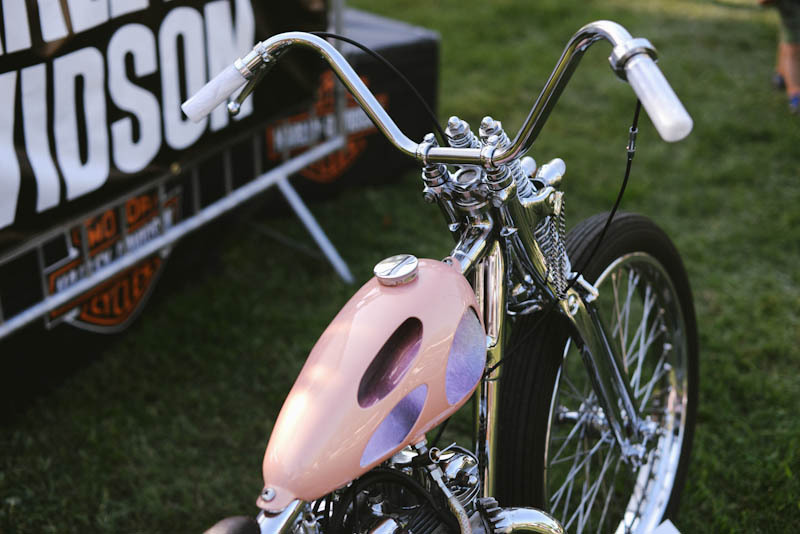 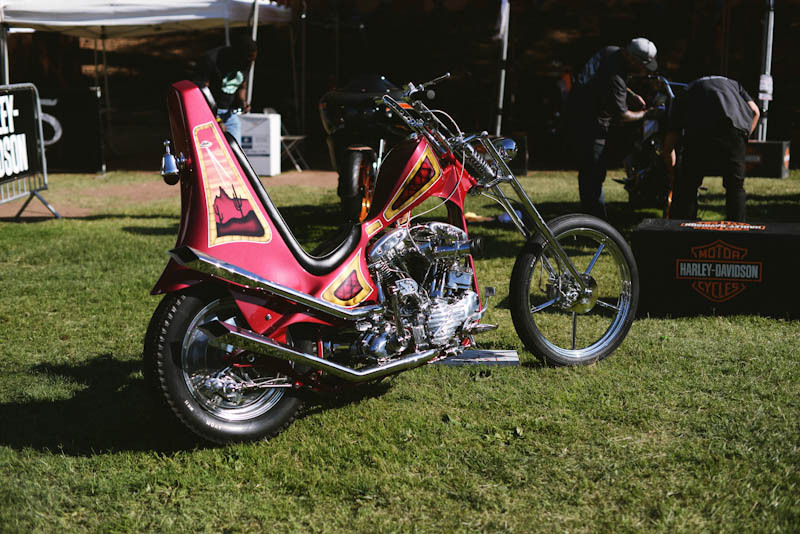 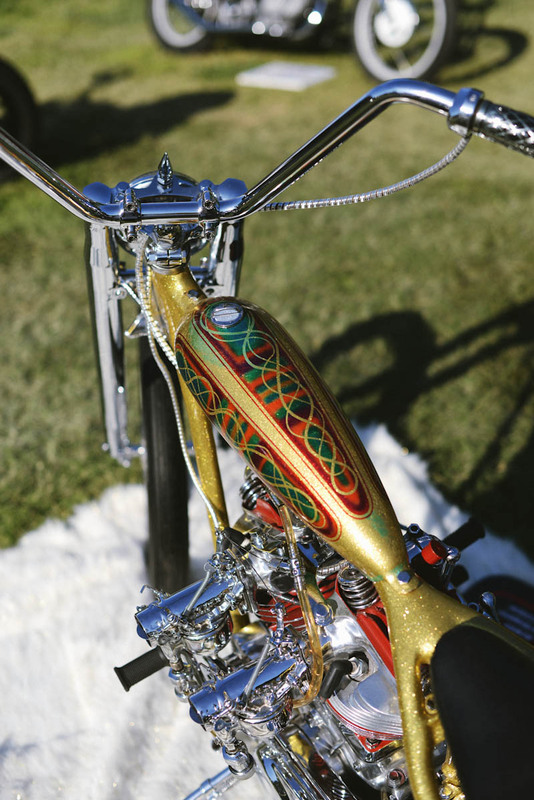 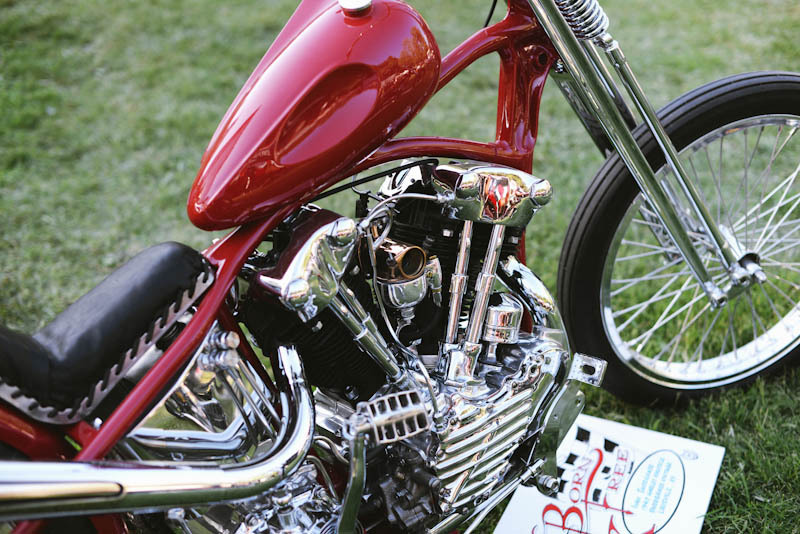 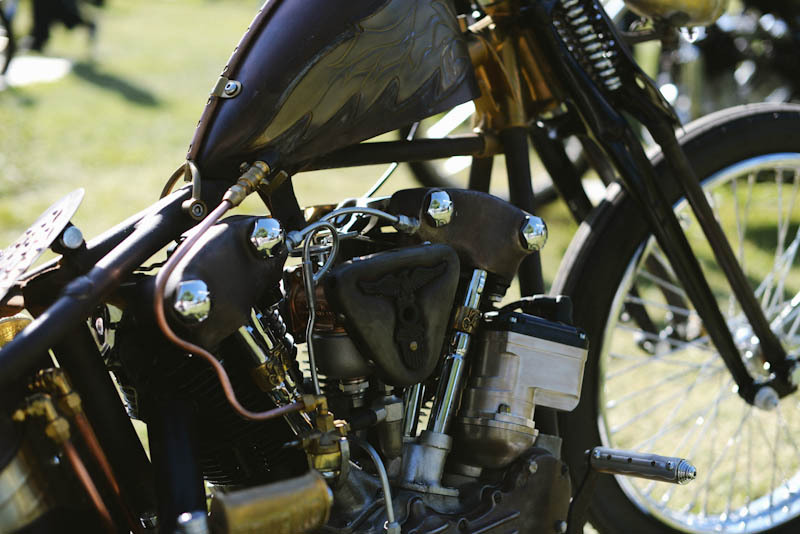 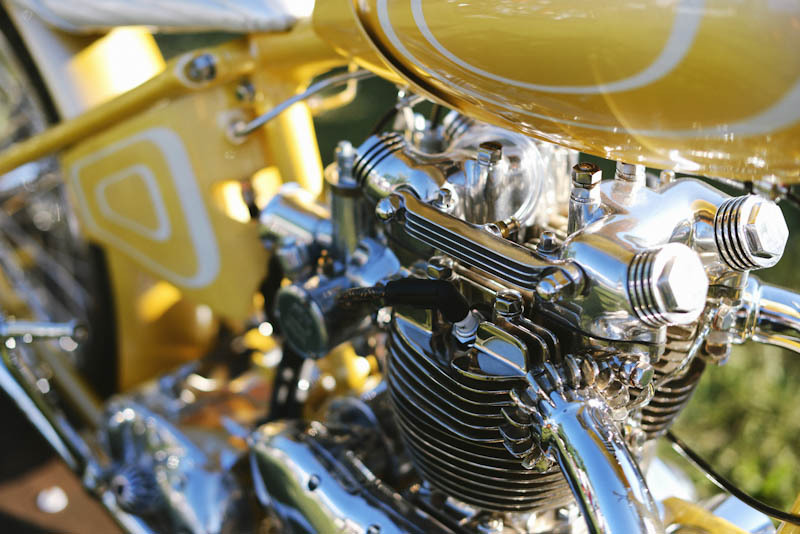 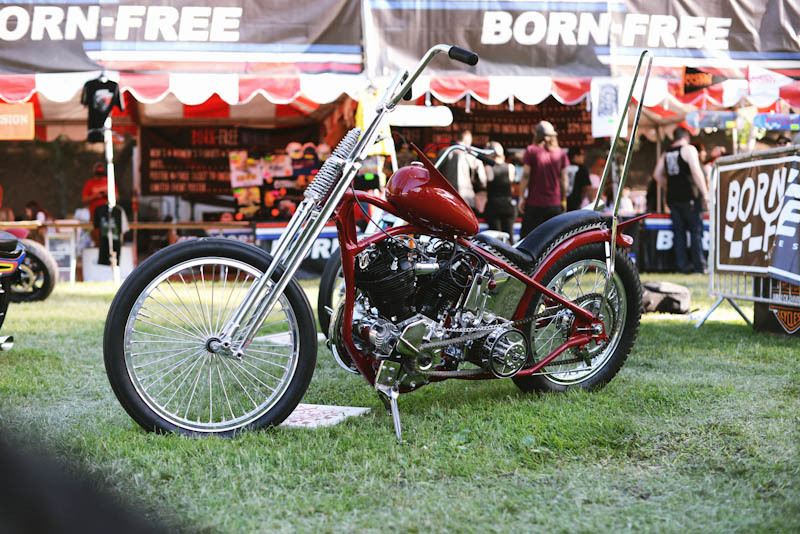 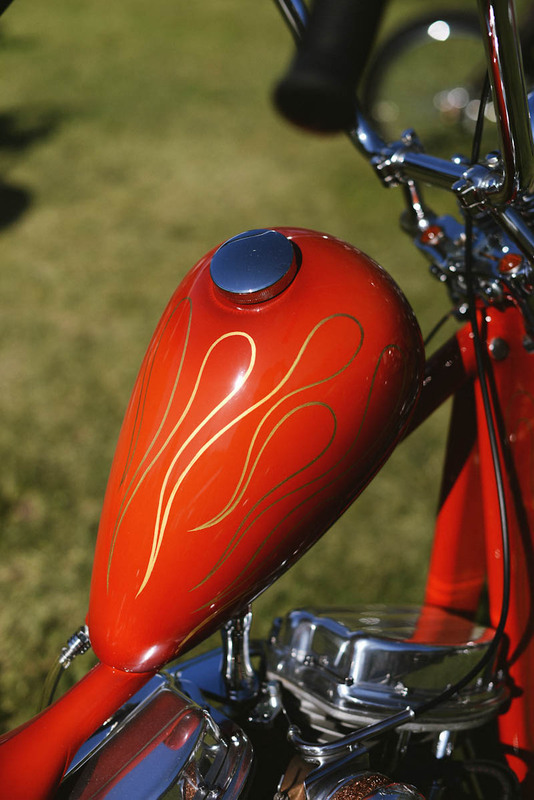 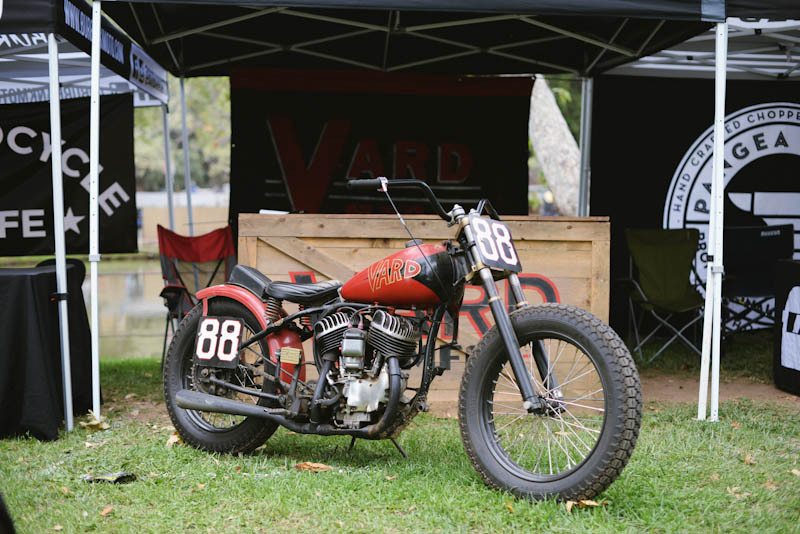 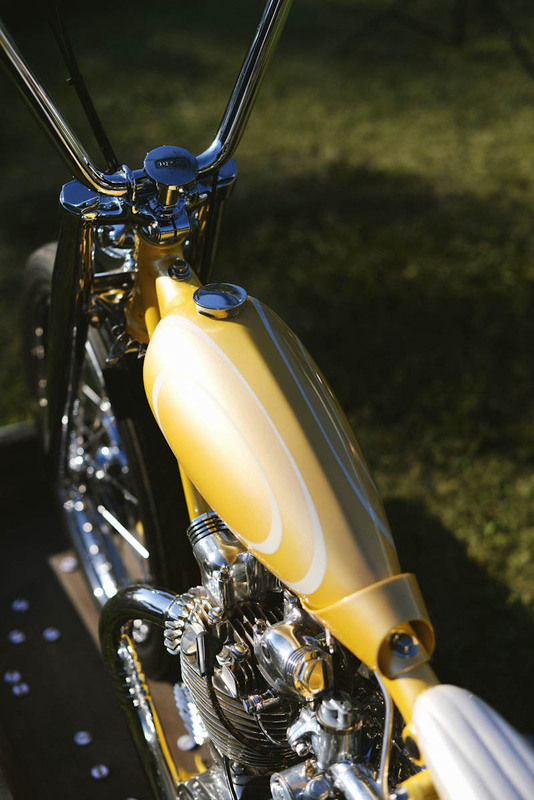 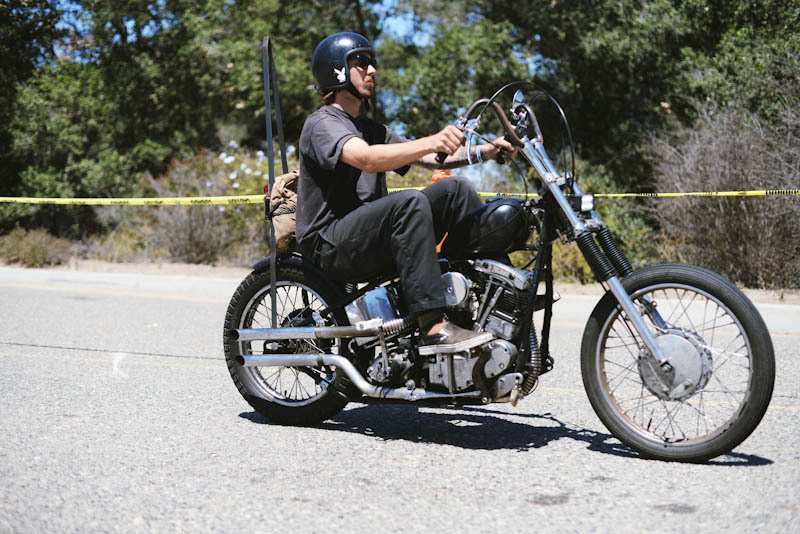 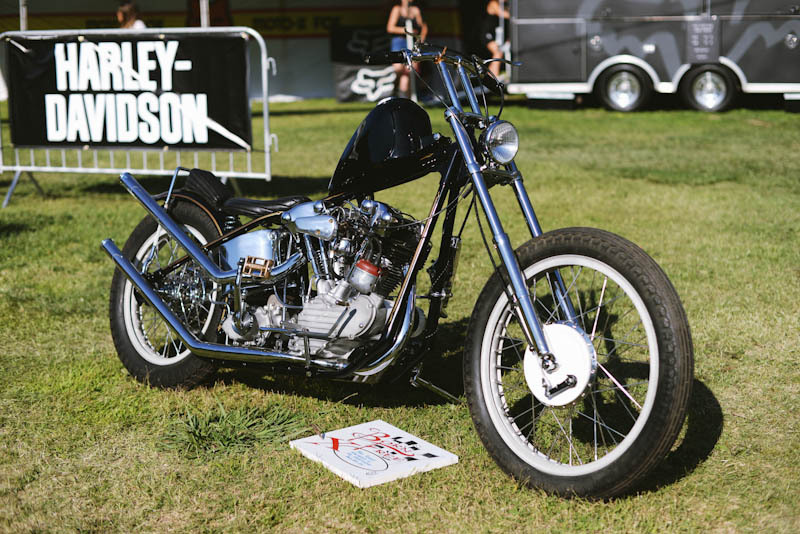 The 1968 Shovelhead giveaway bike built by the Prism boys. 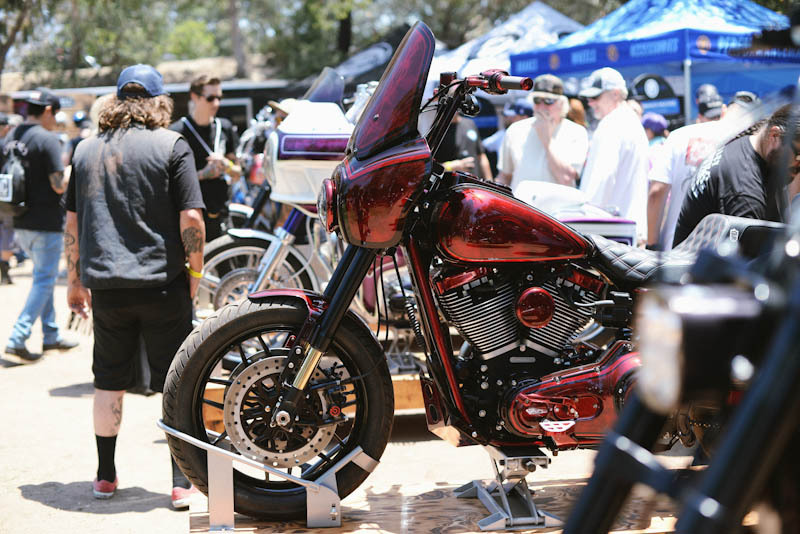 Lots of people out for the SDC FXR & Open show. 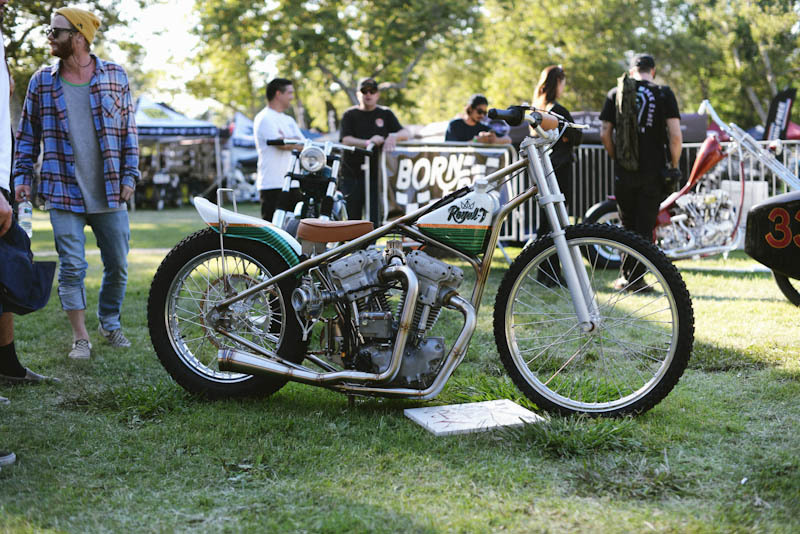 This thing was working all day! 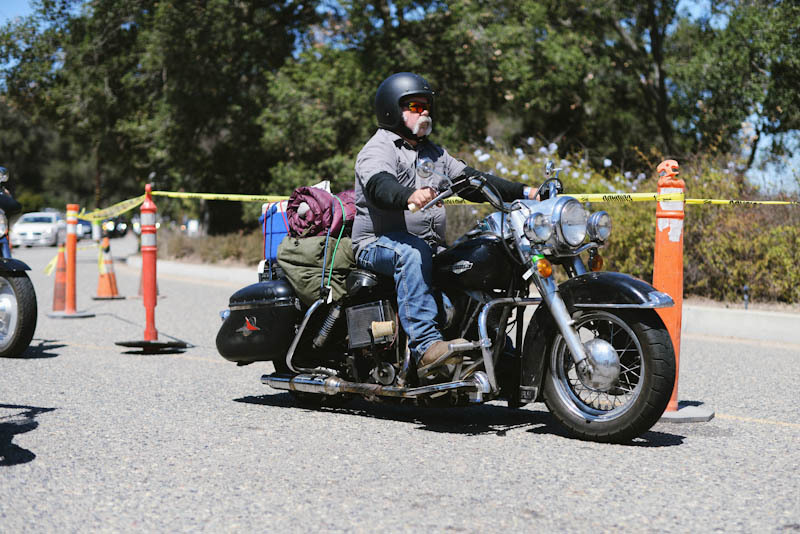 From the morning until an hour before the gates closed there was bikes cruising in from all over... this guy rode here from Australia, no joke. 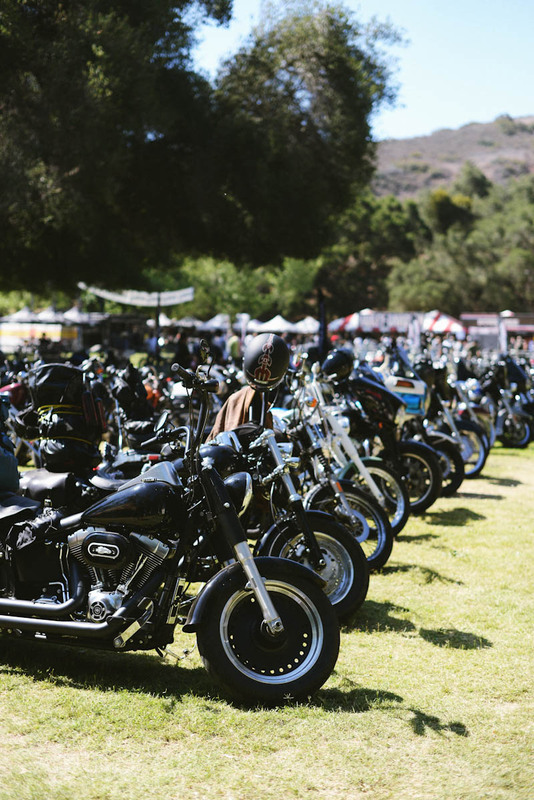 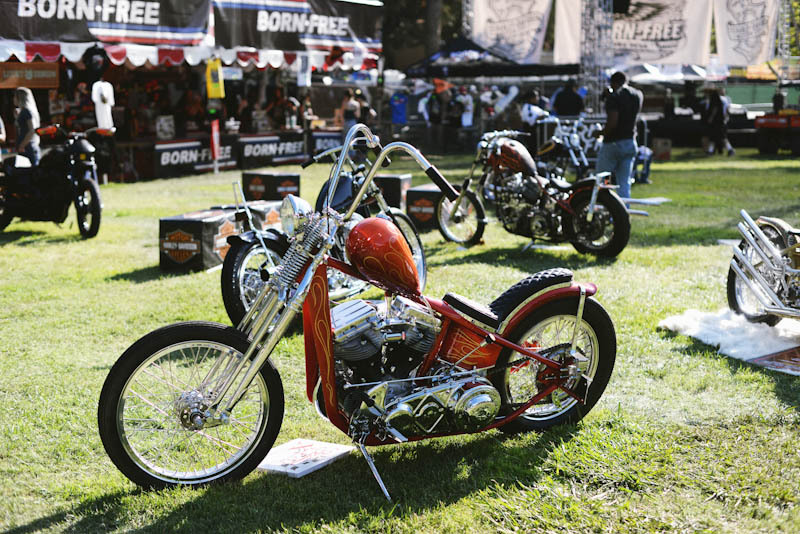 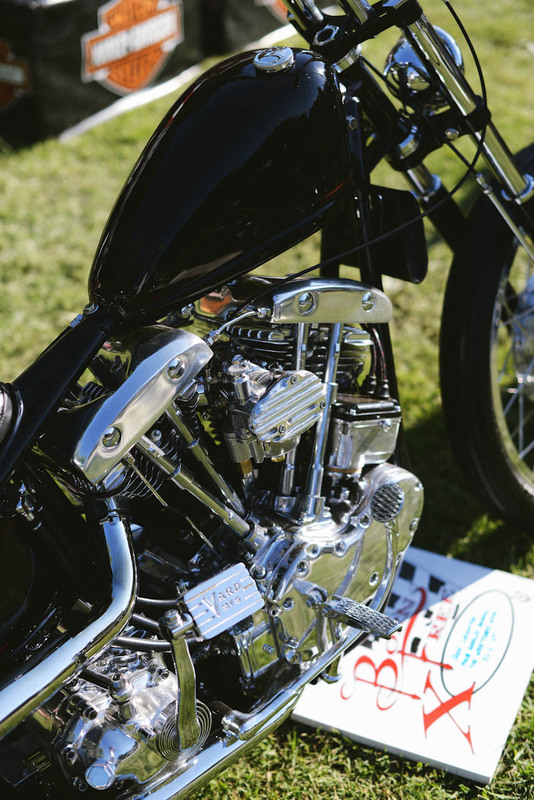 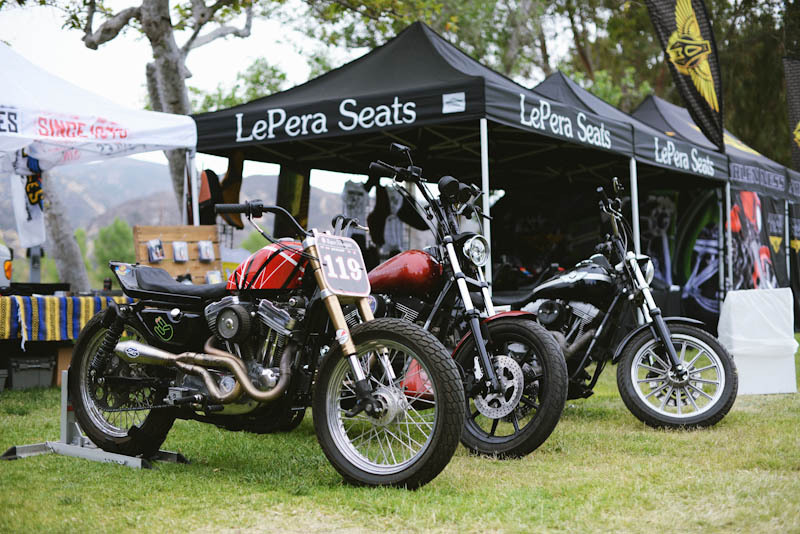 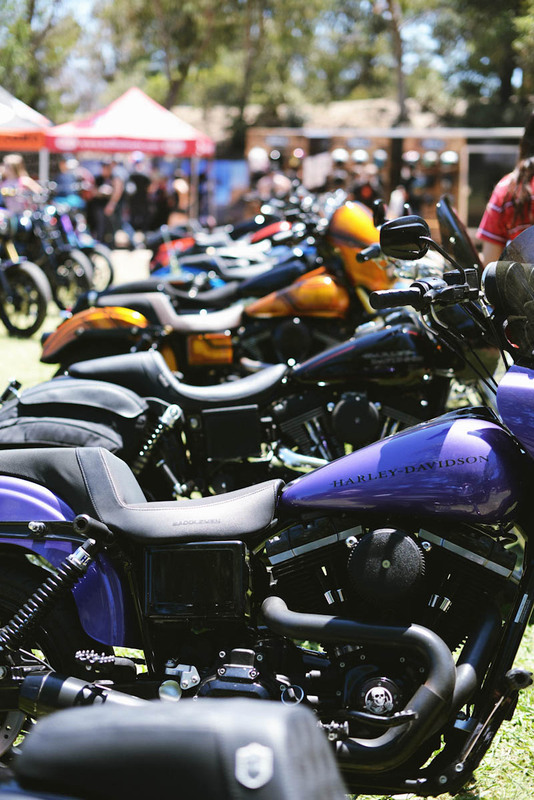 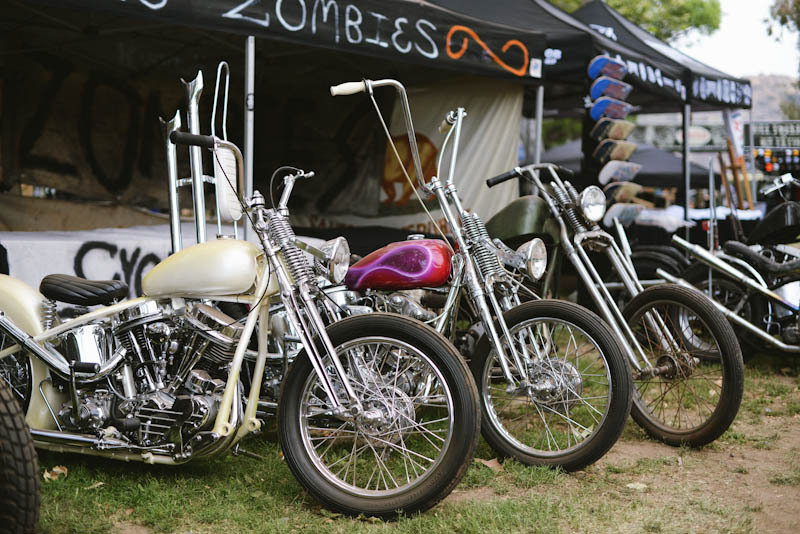 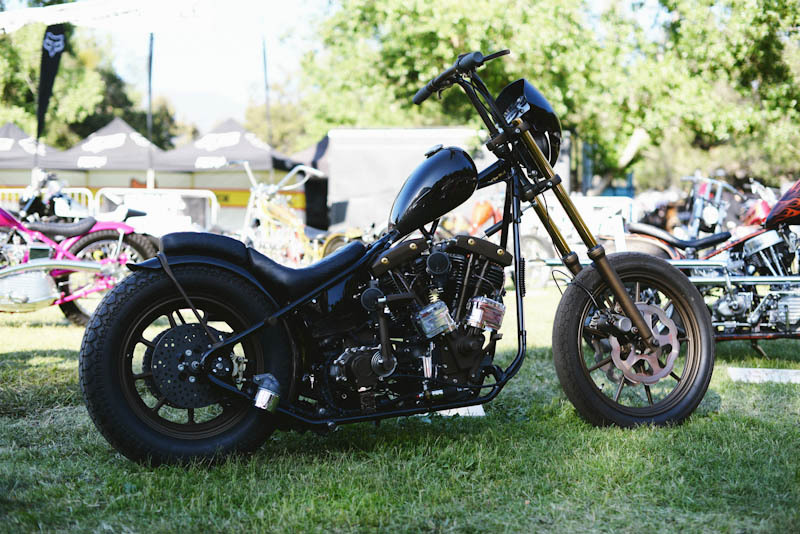 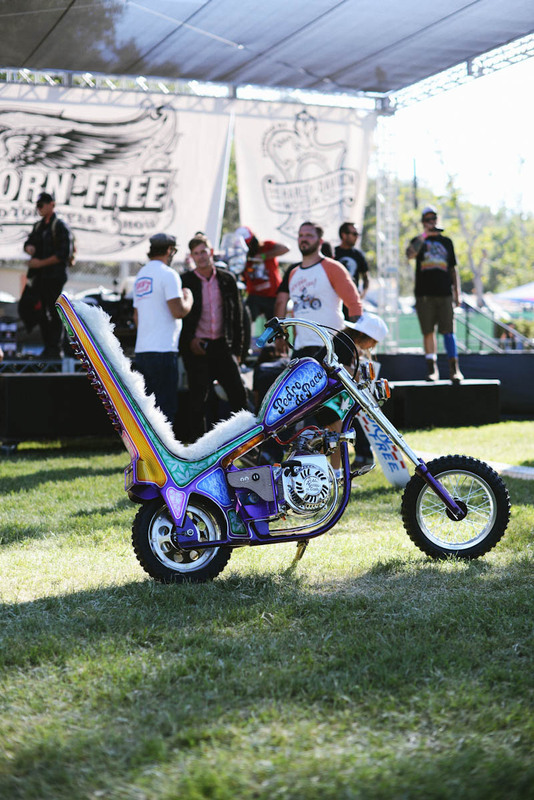 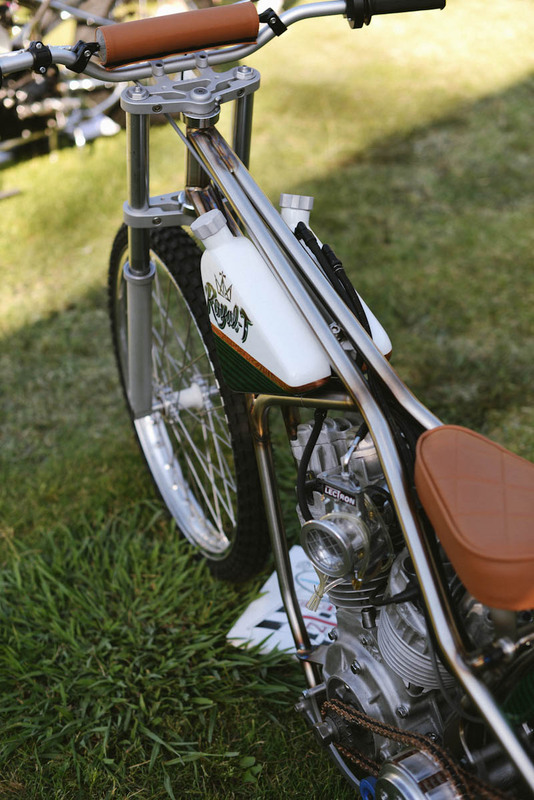 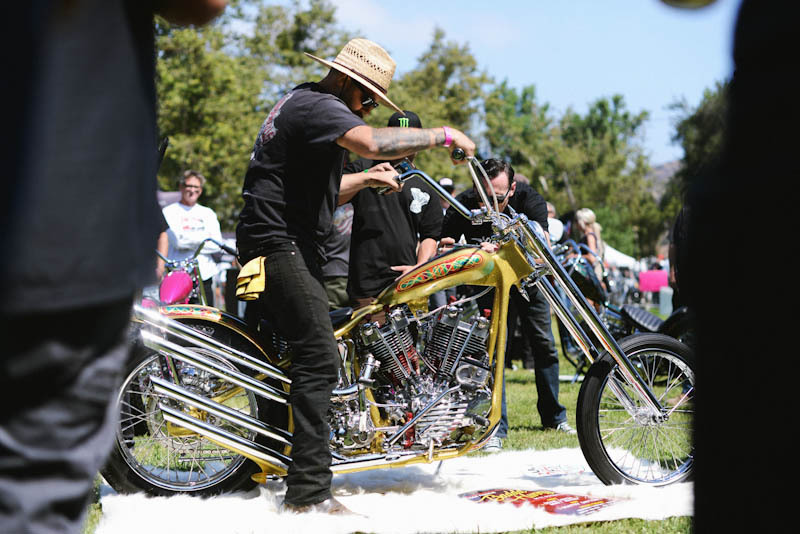 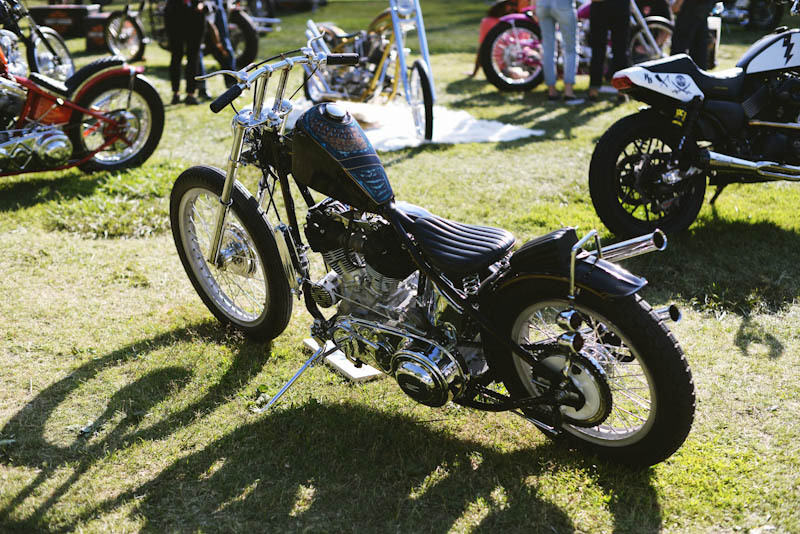 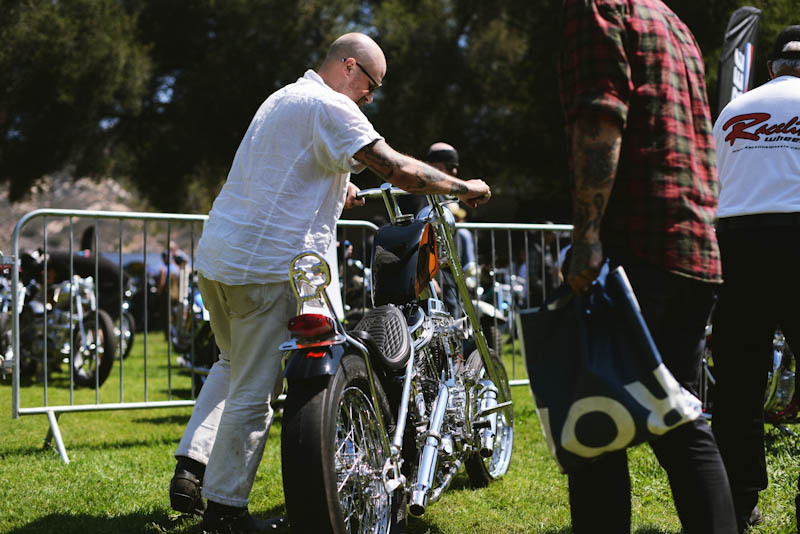 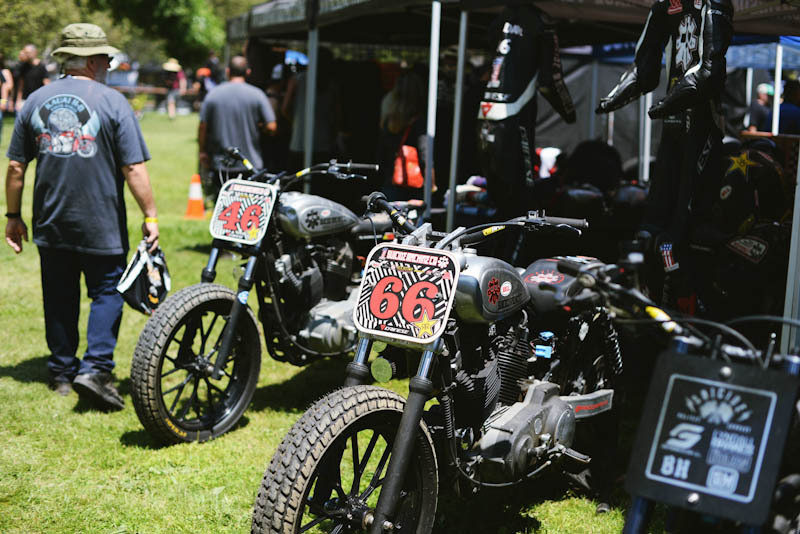 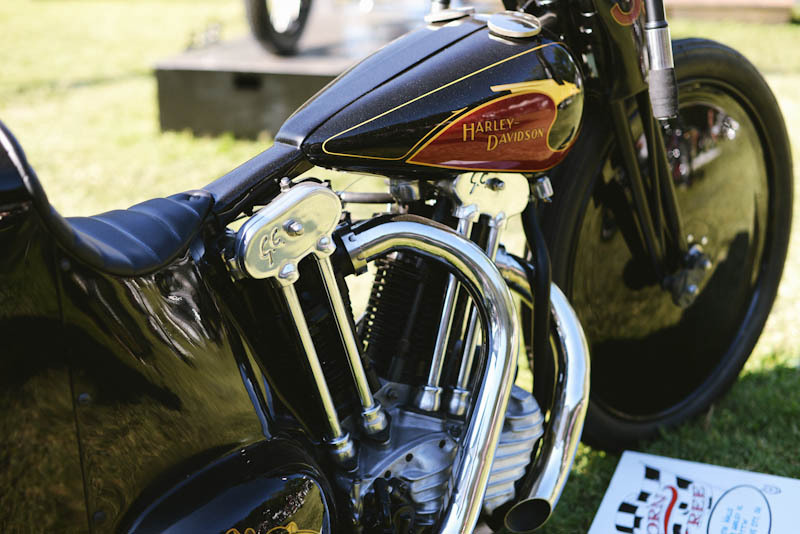 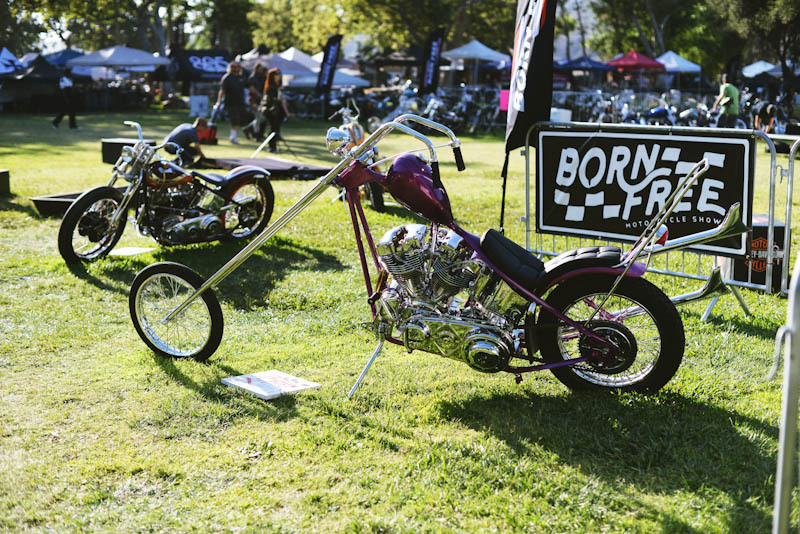 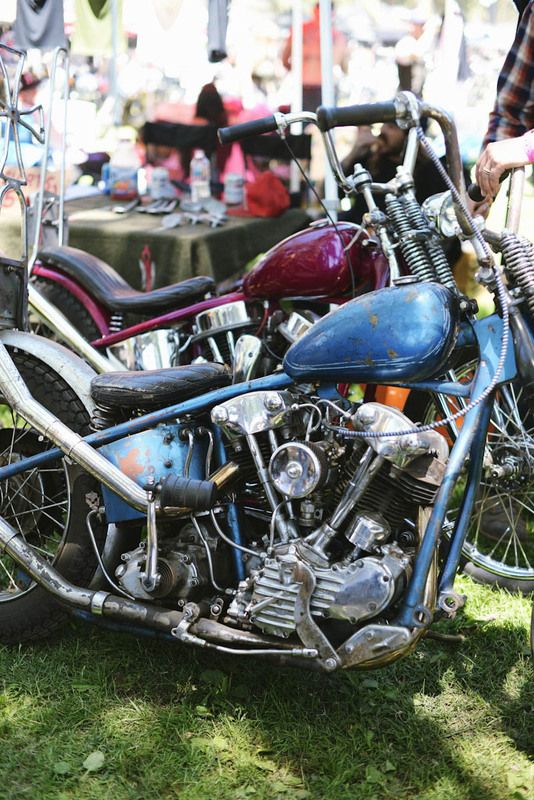 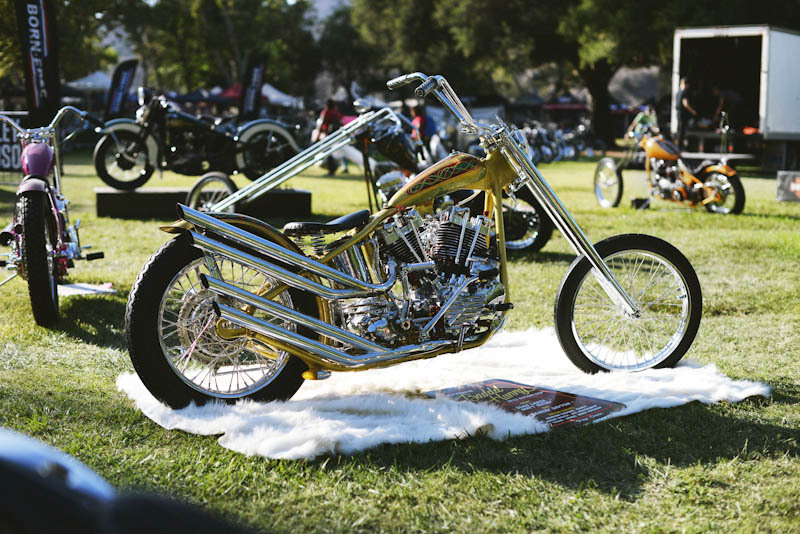 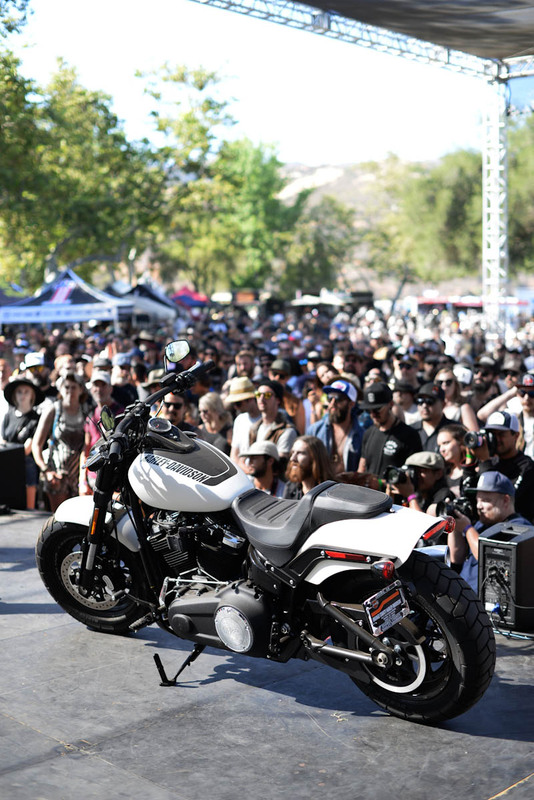 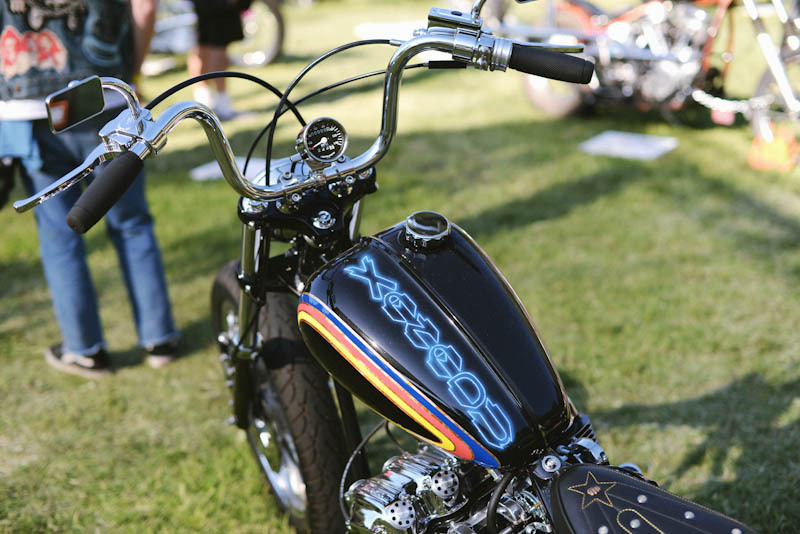 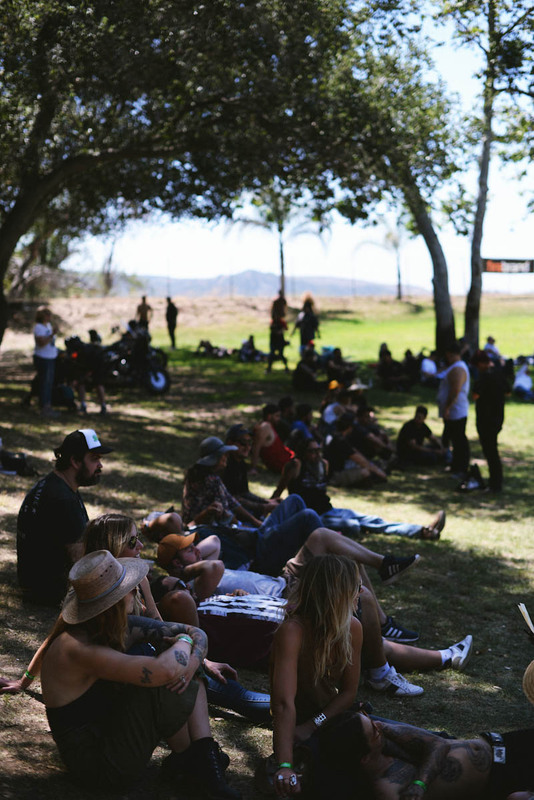 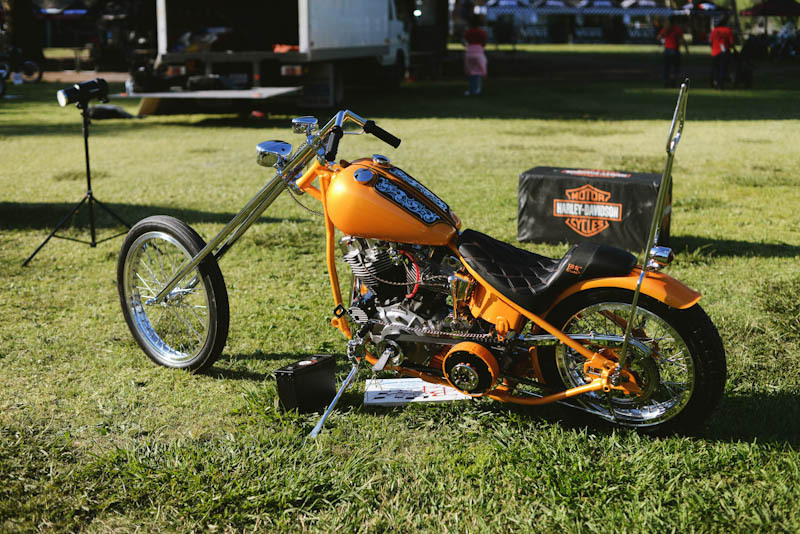 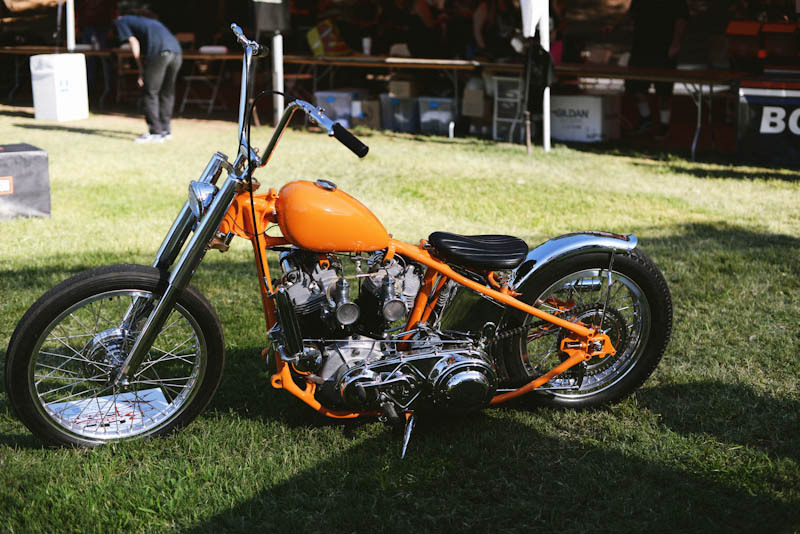 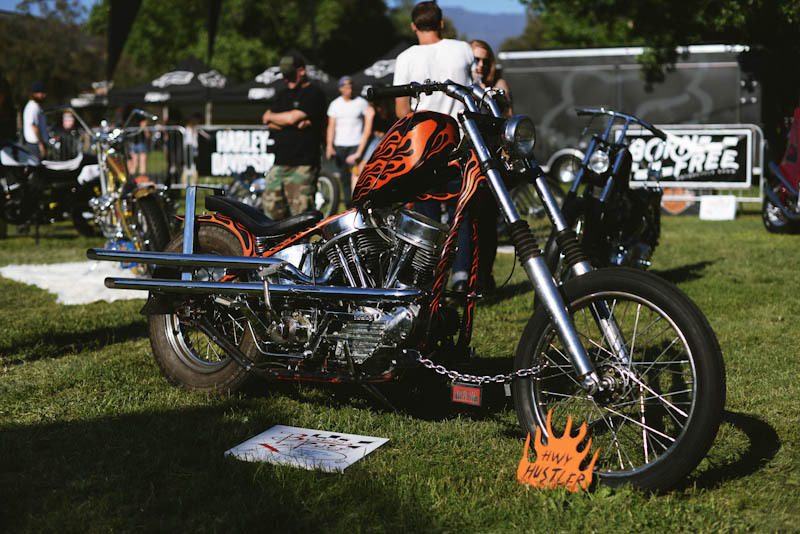 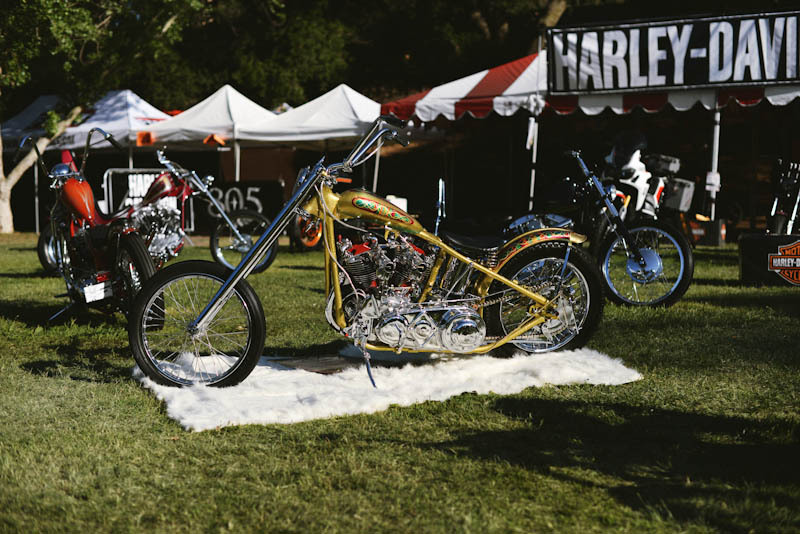 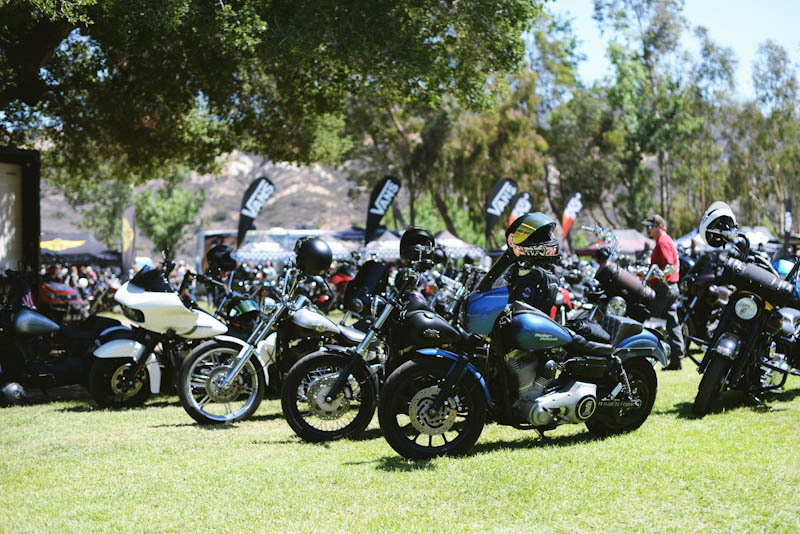 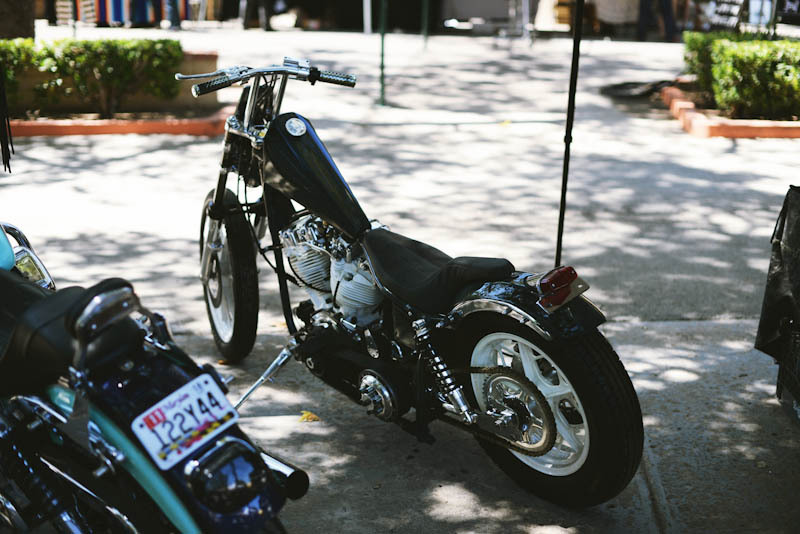 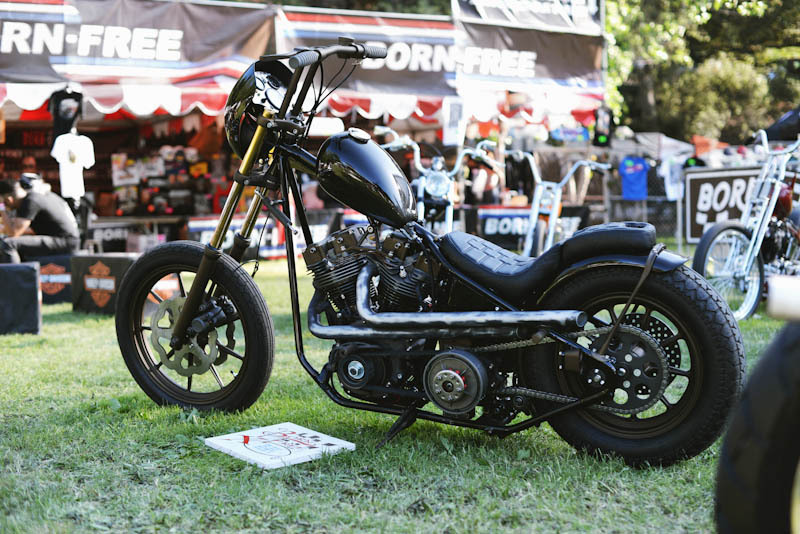 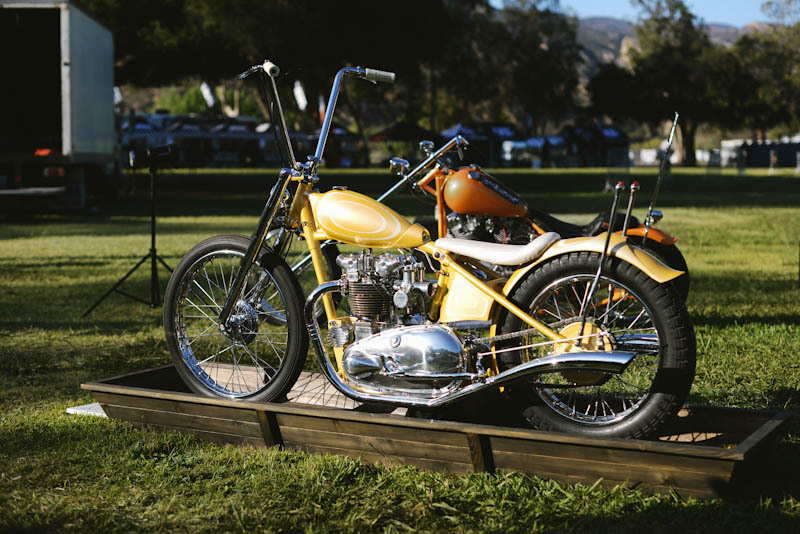 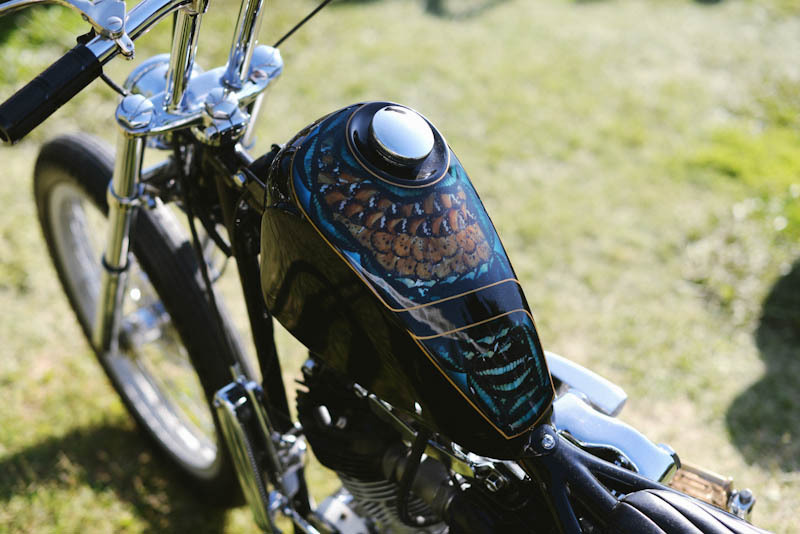 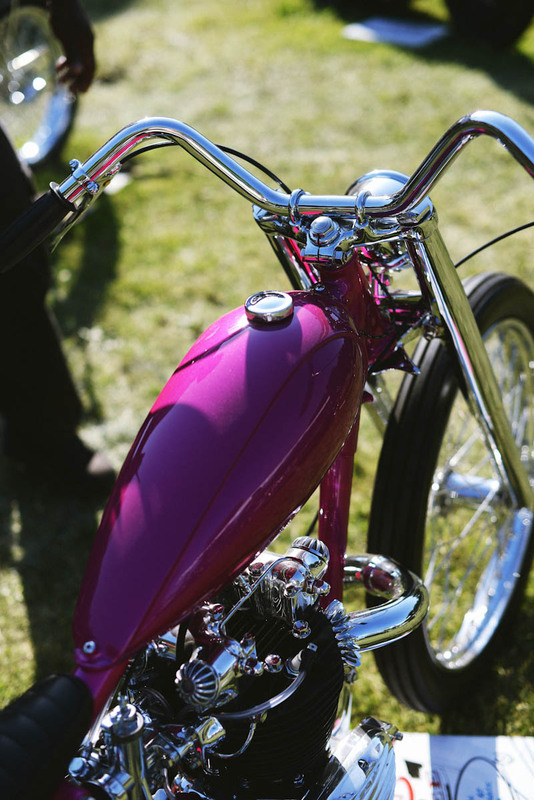 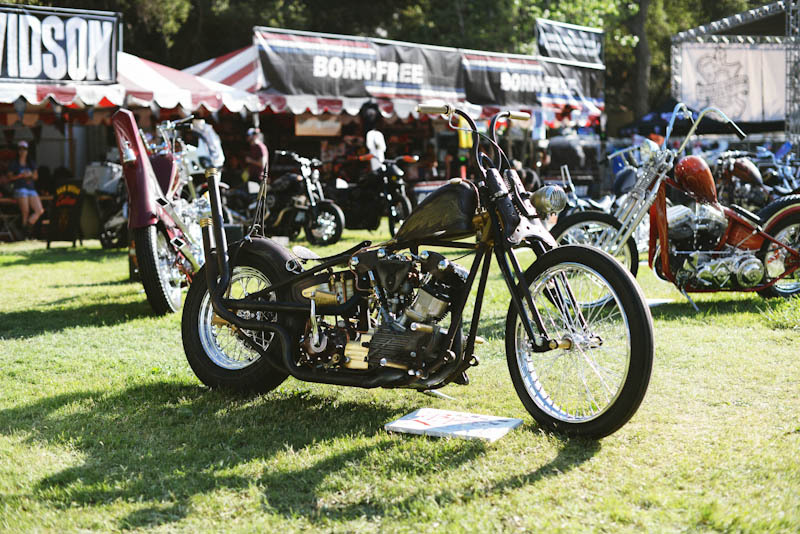 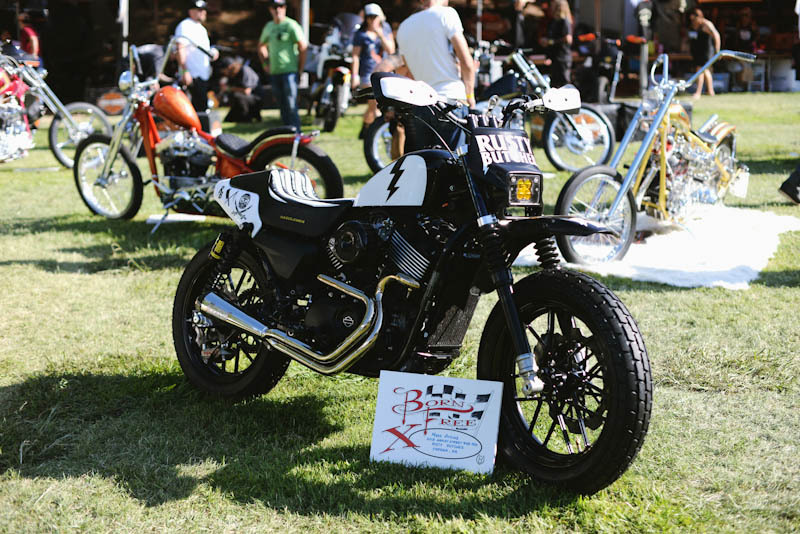 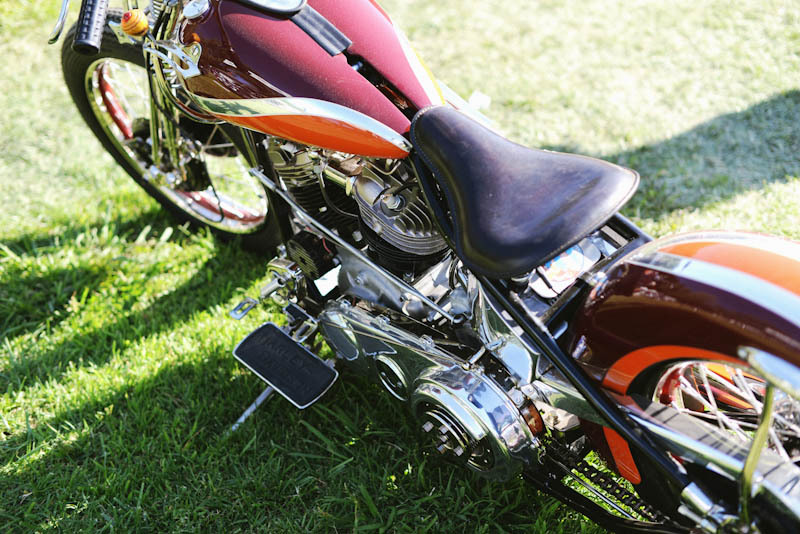 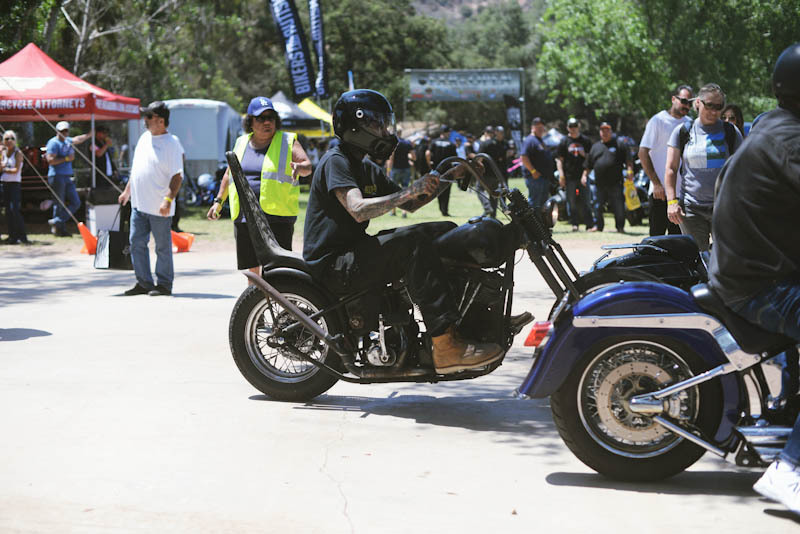 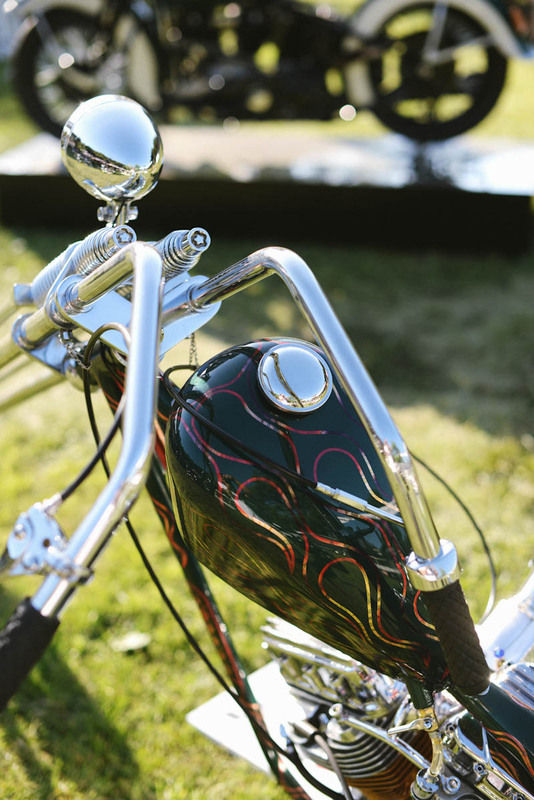 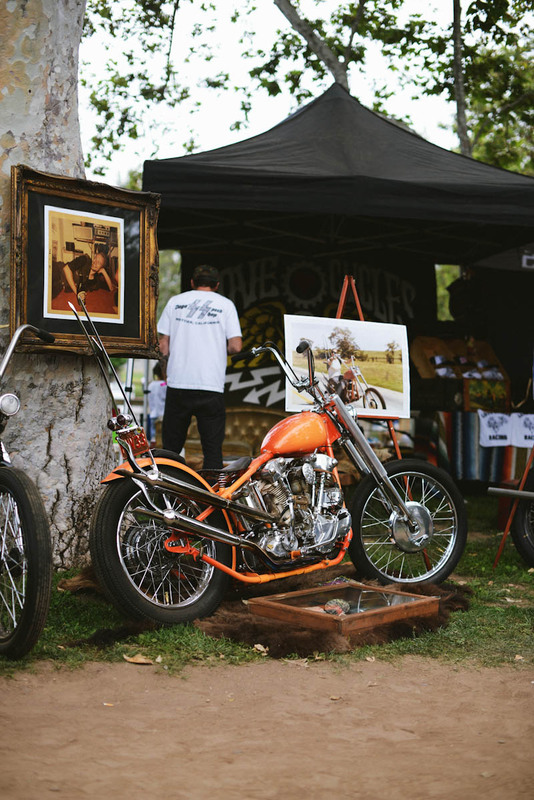 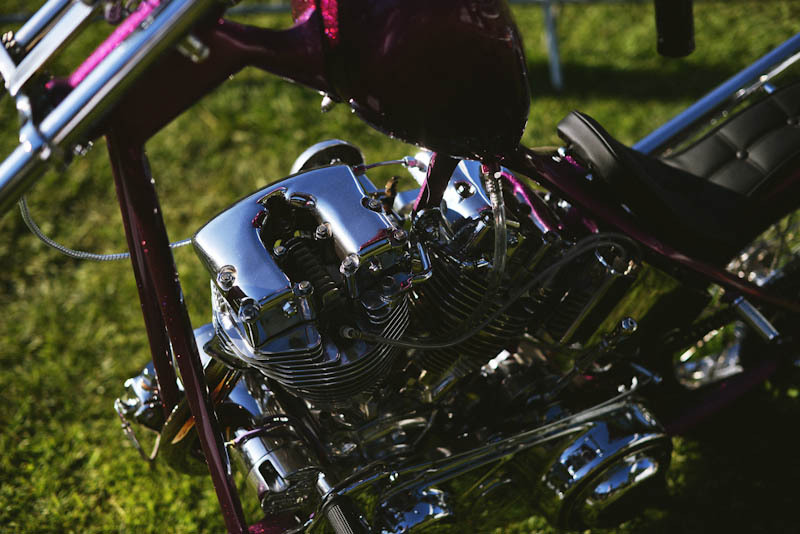 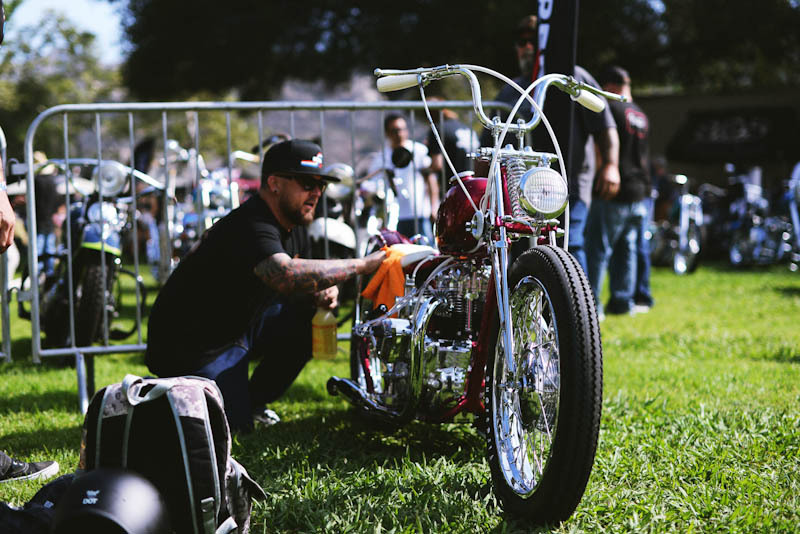 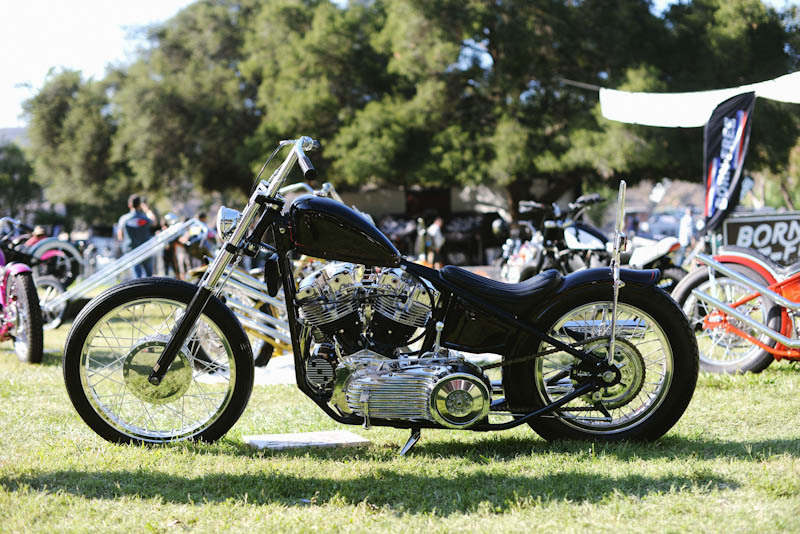 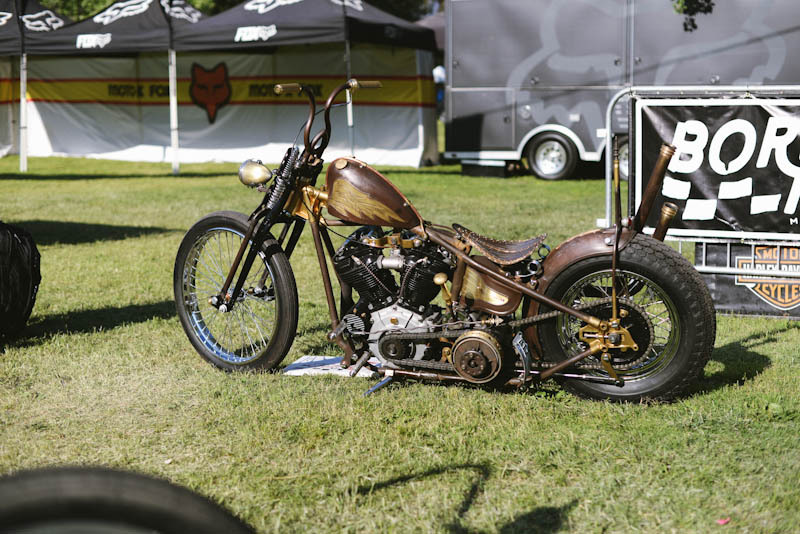 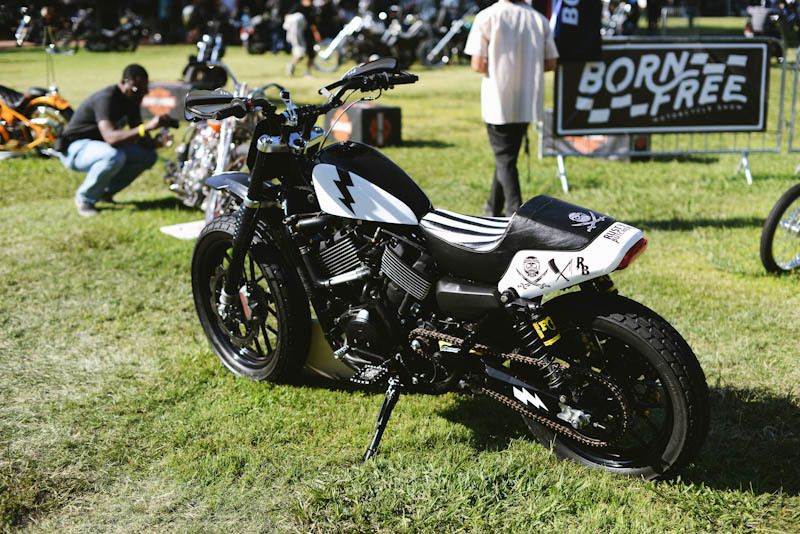 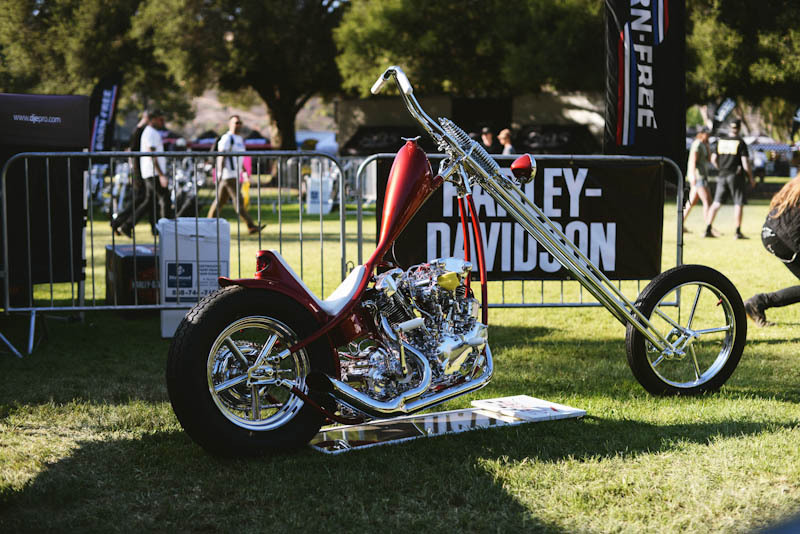 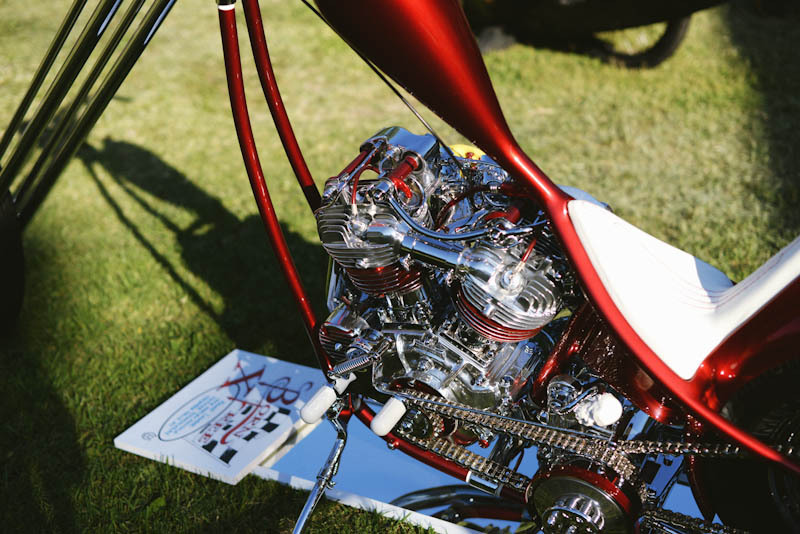 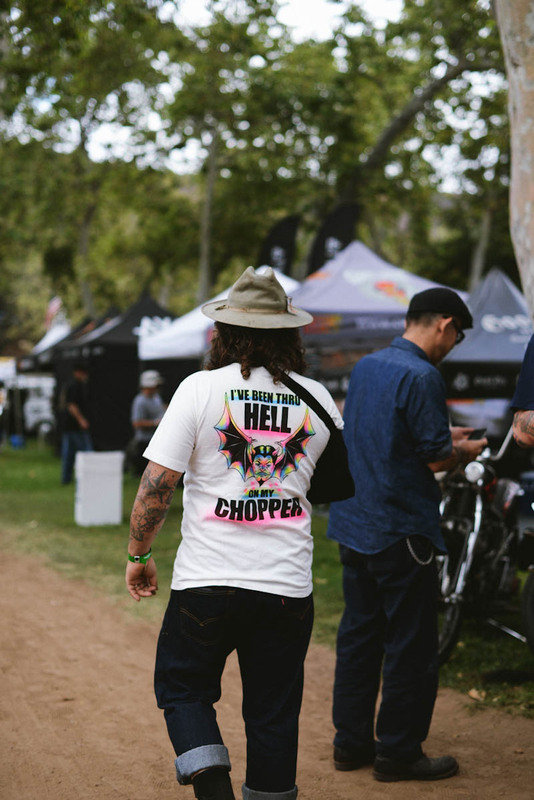 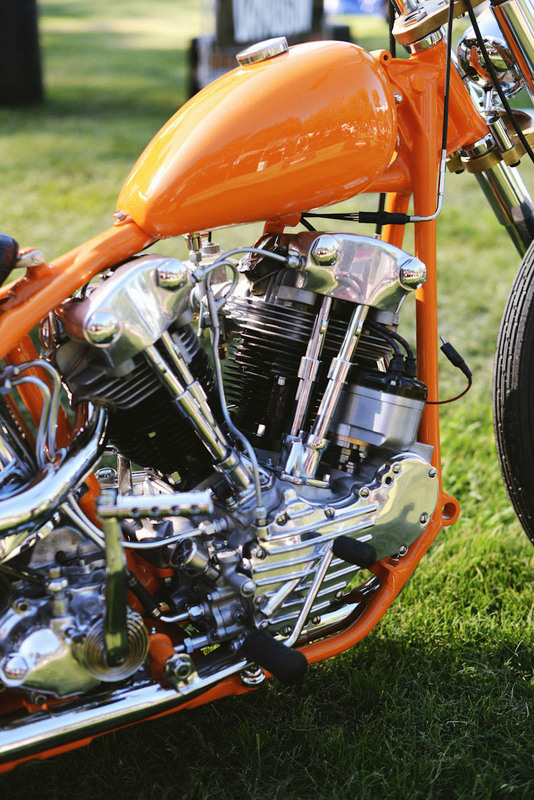 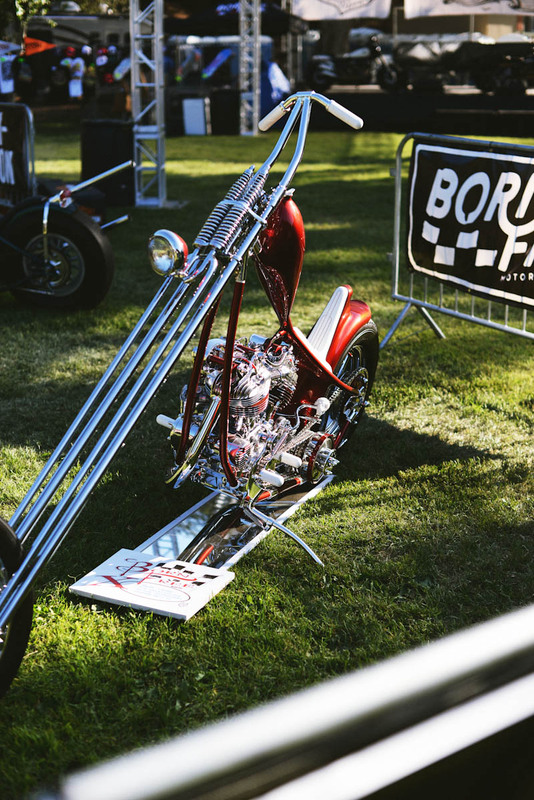 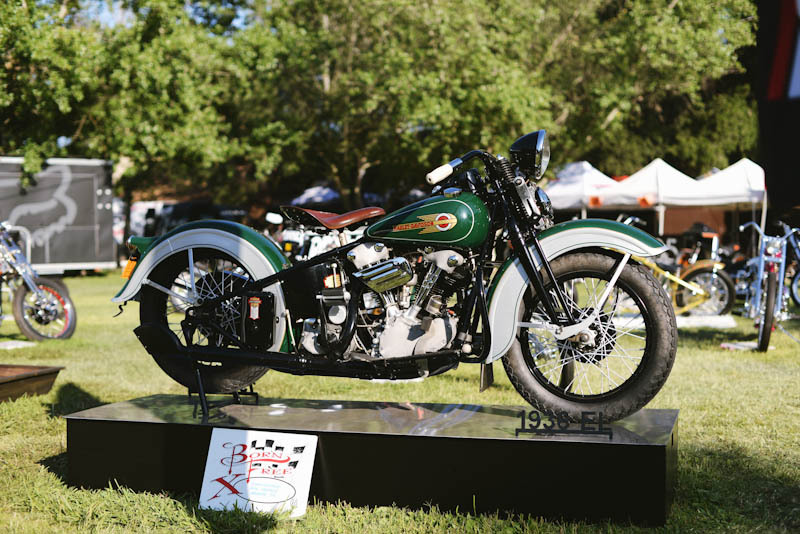 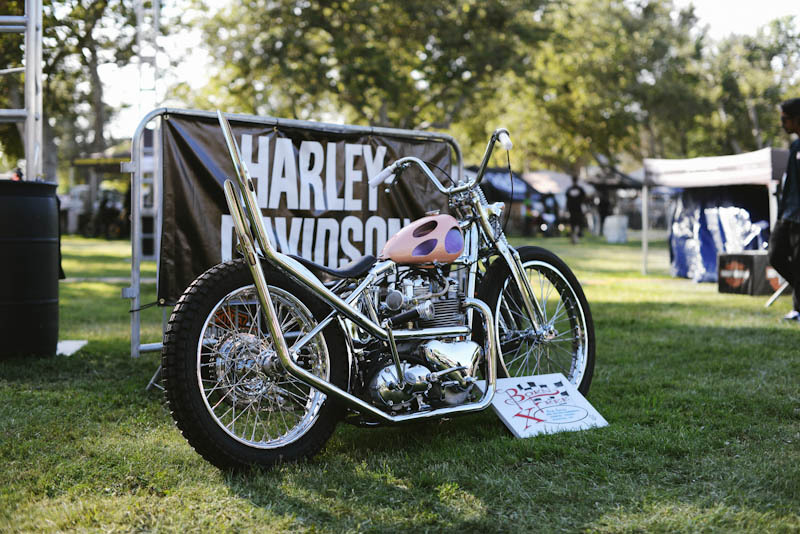 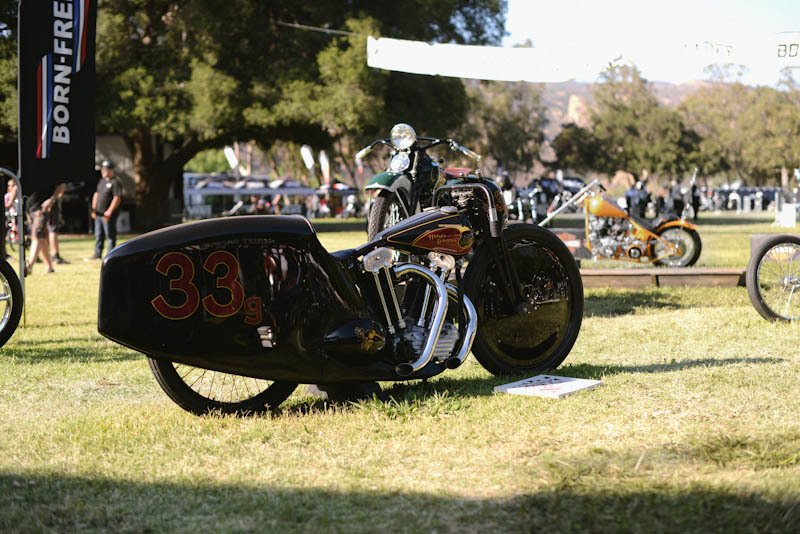 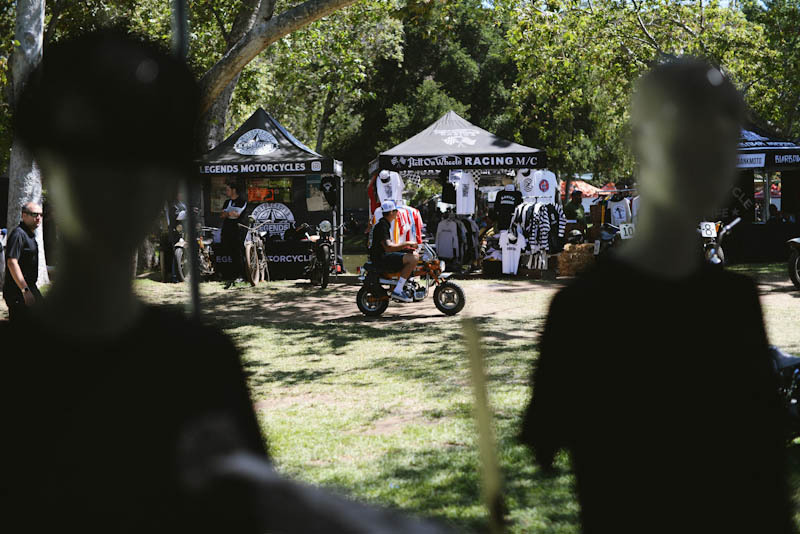 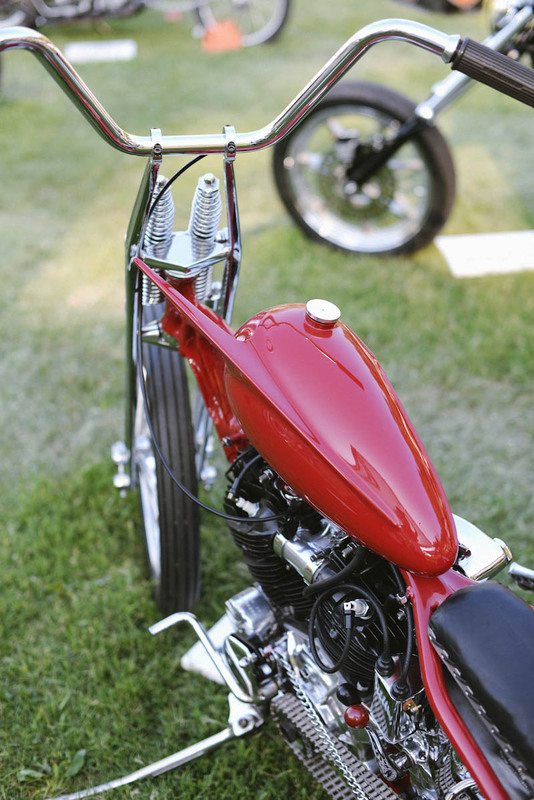 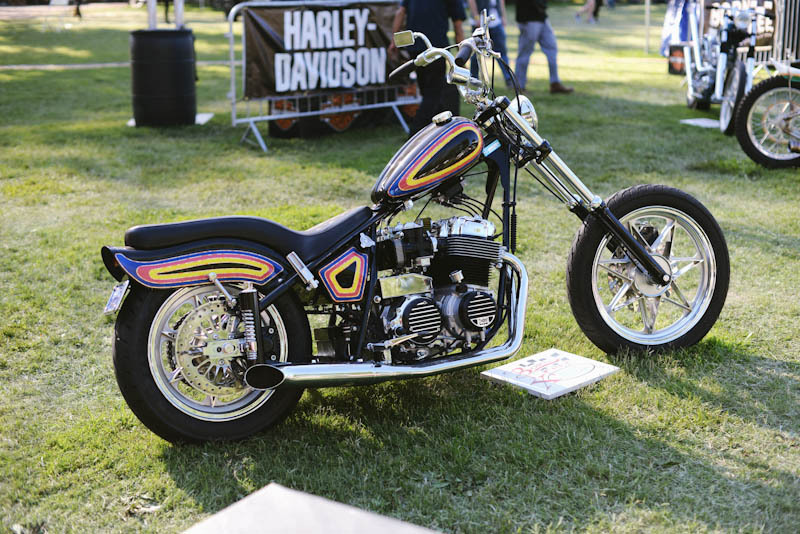 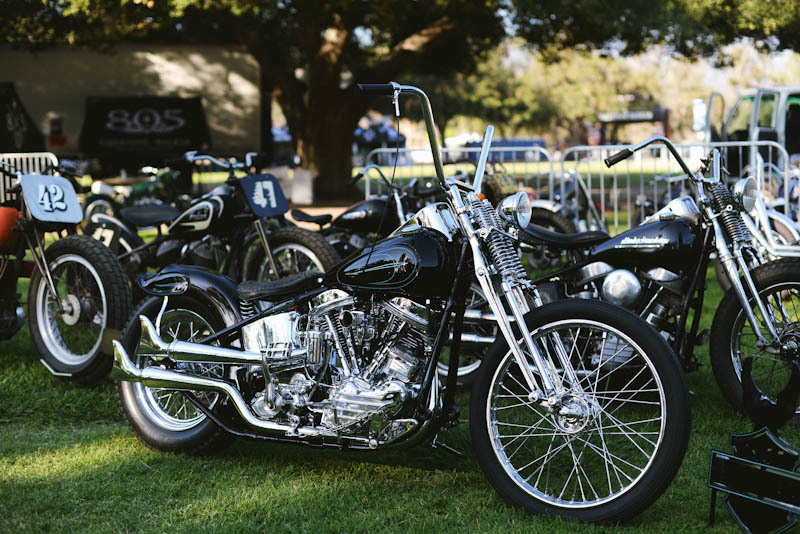 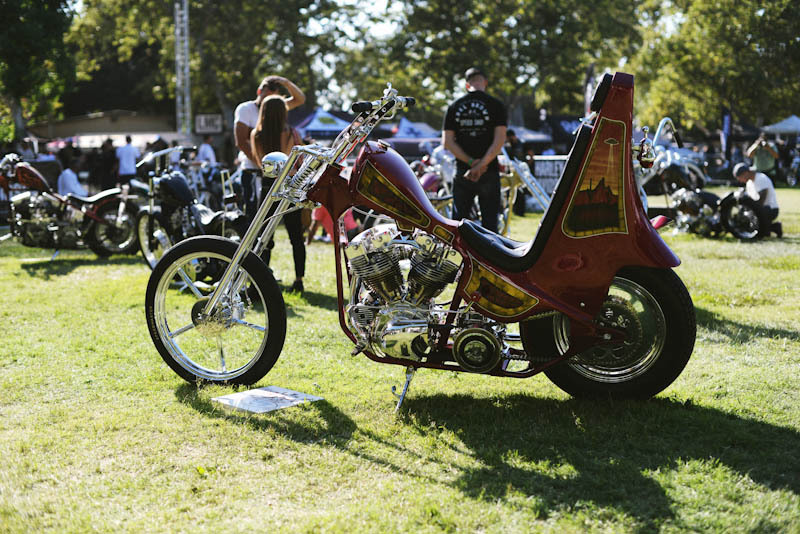 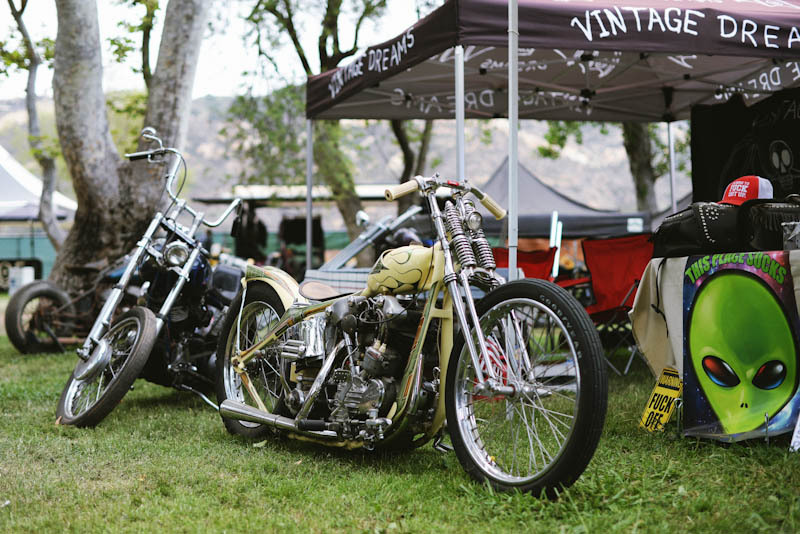 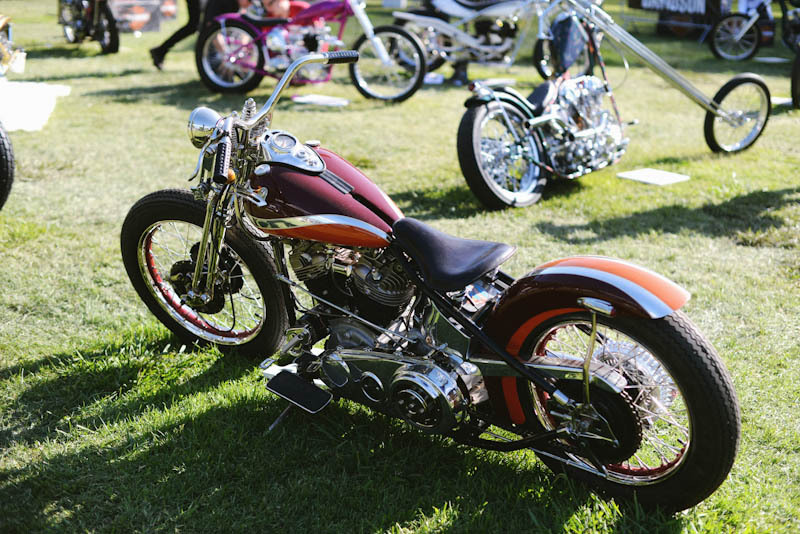 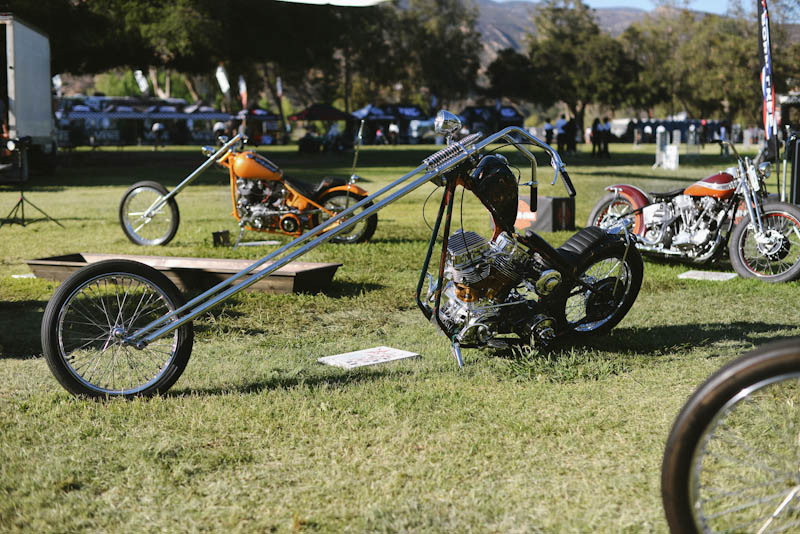 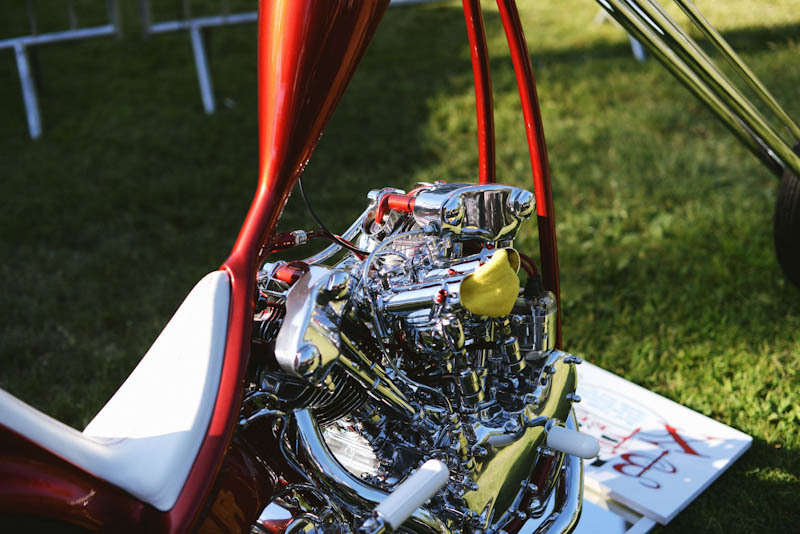 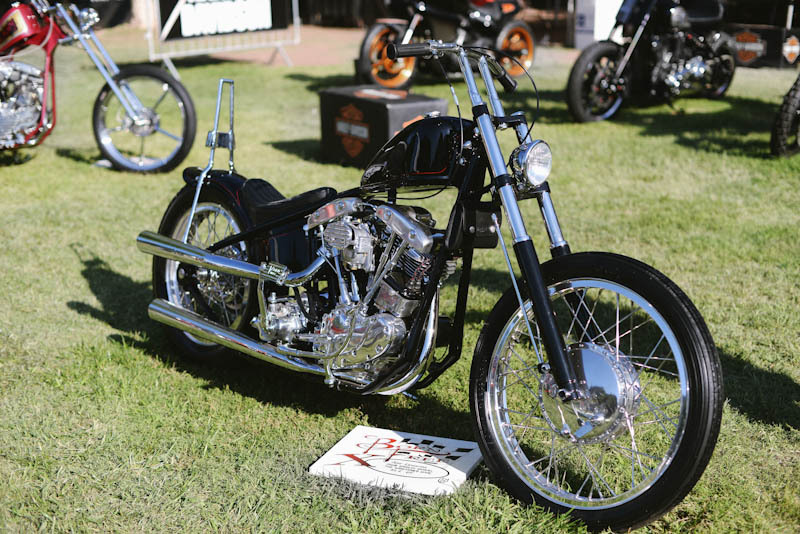 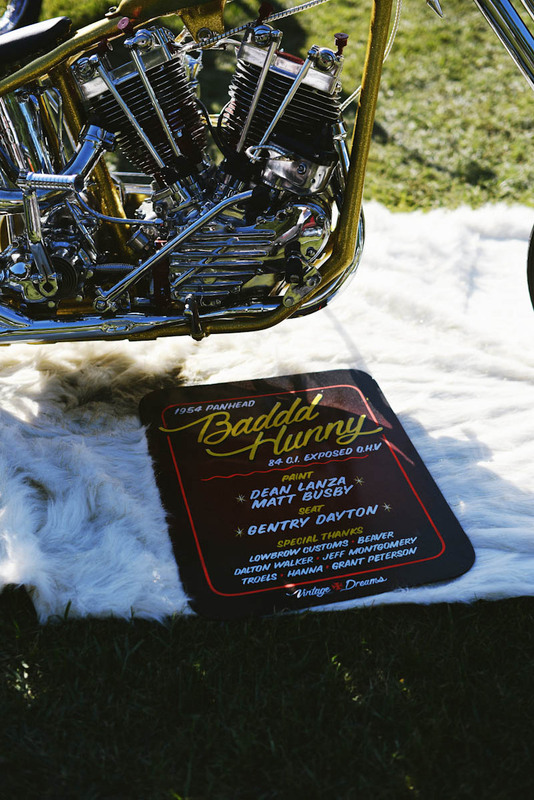 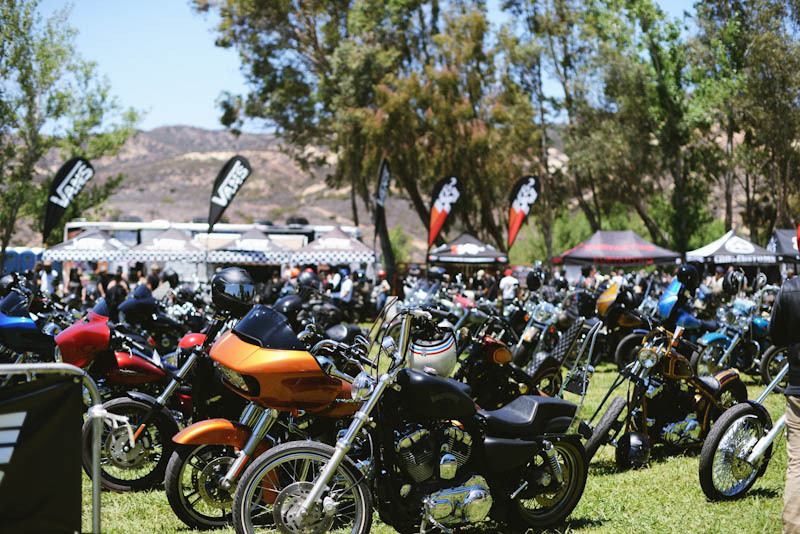 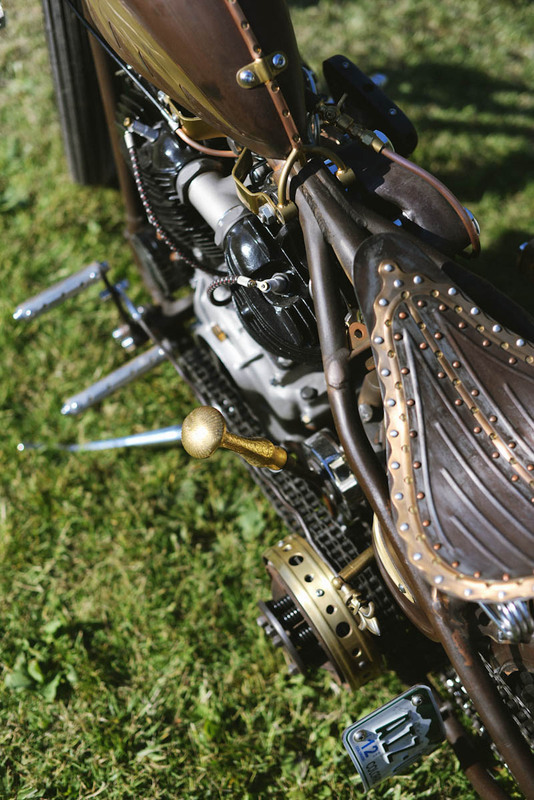 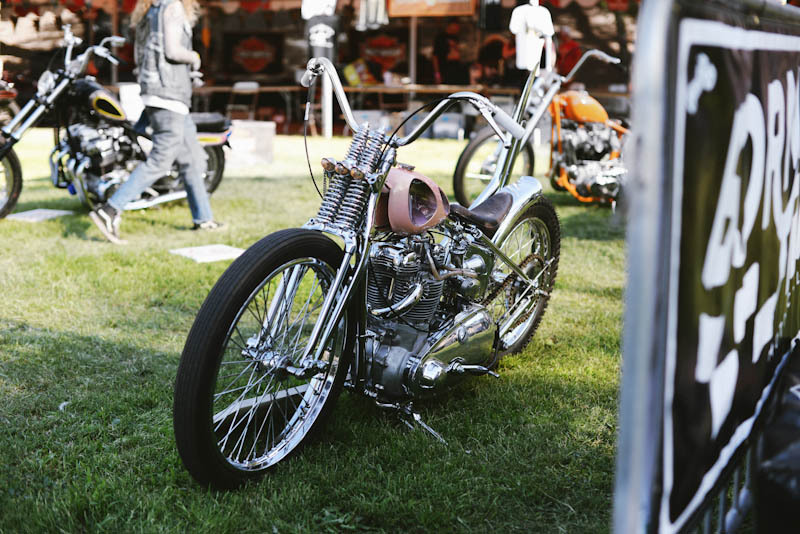 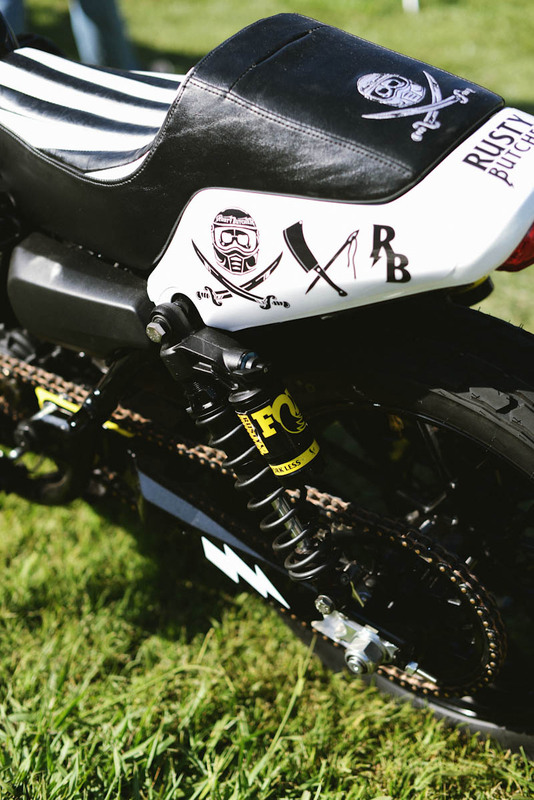 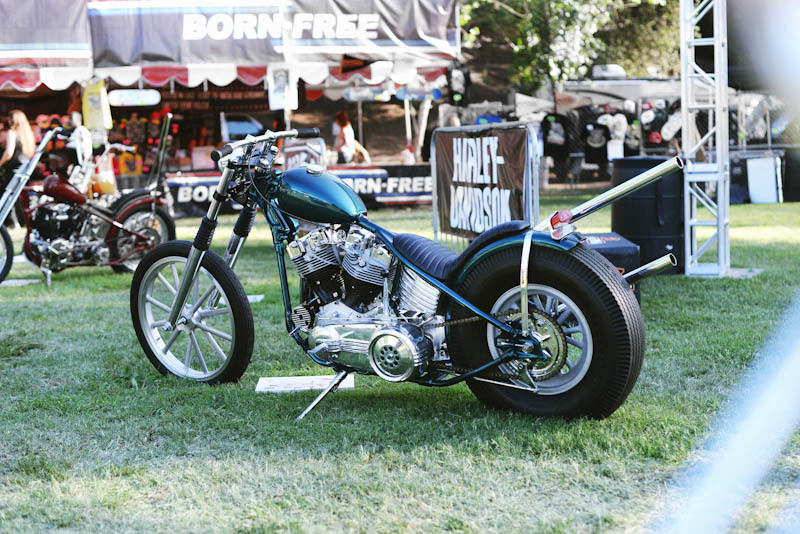 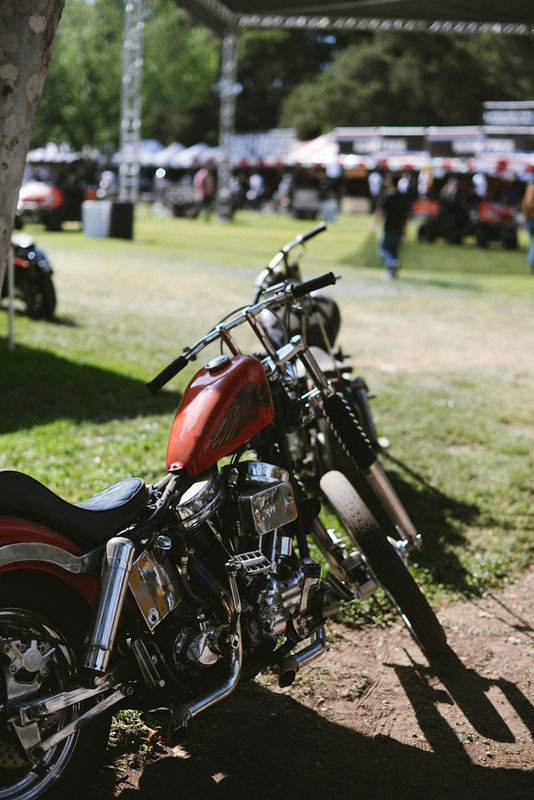 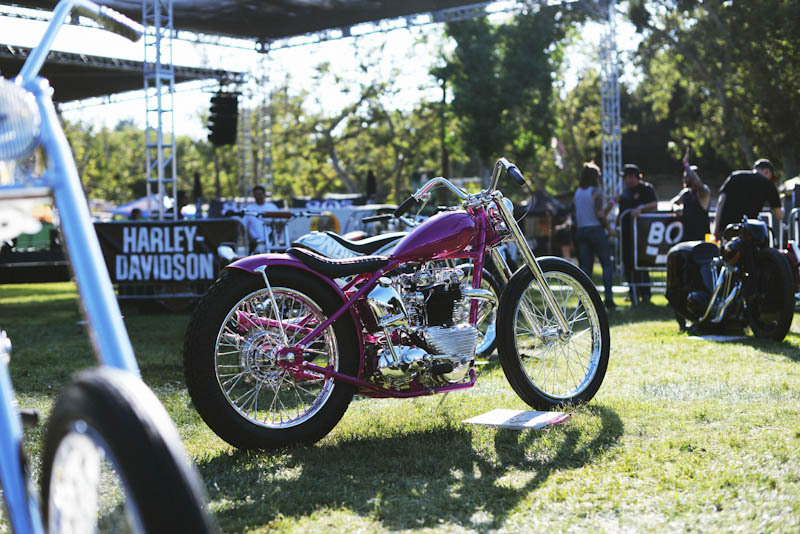 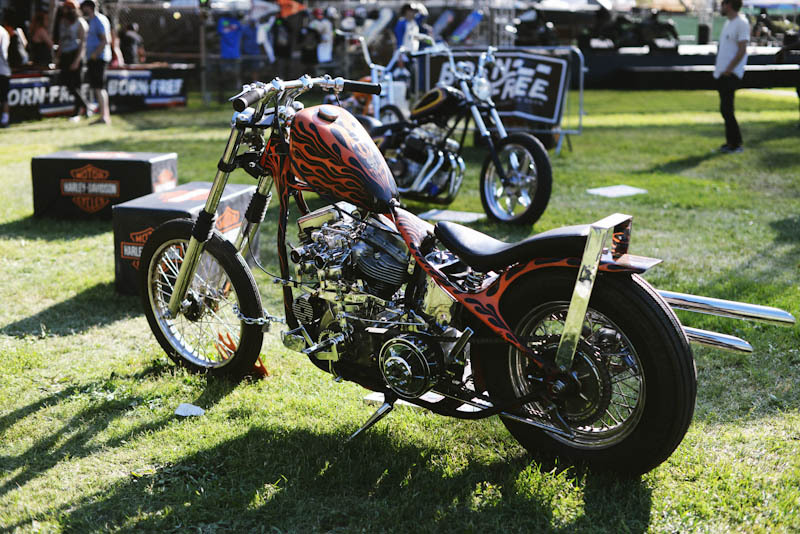 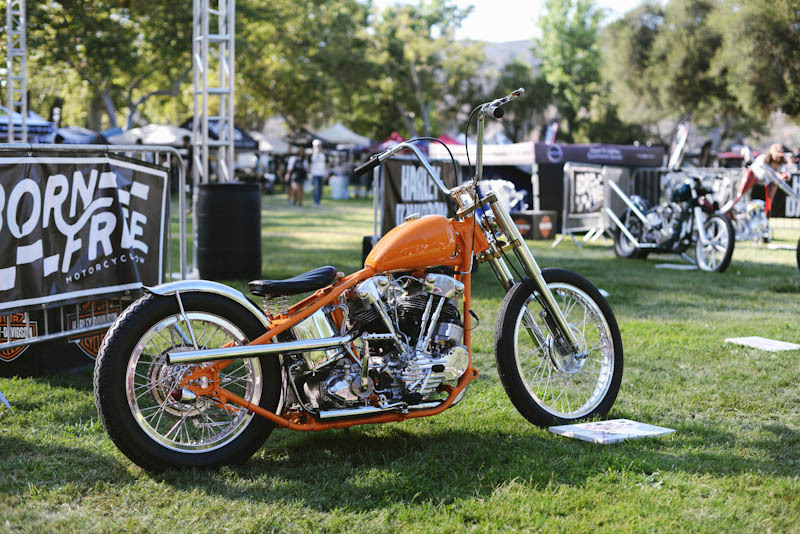 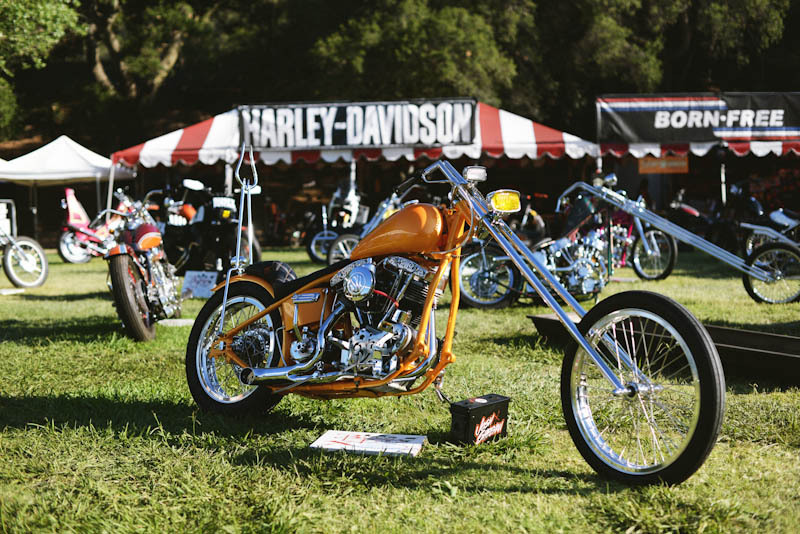 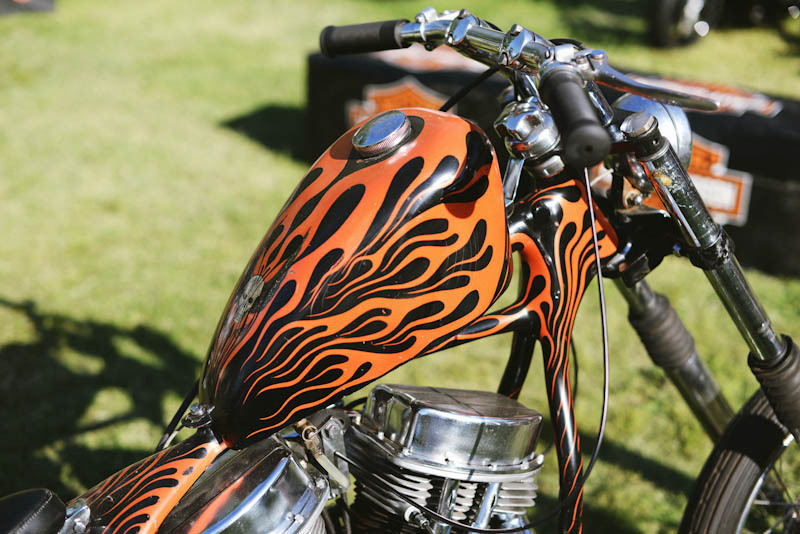 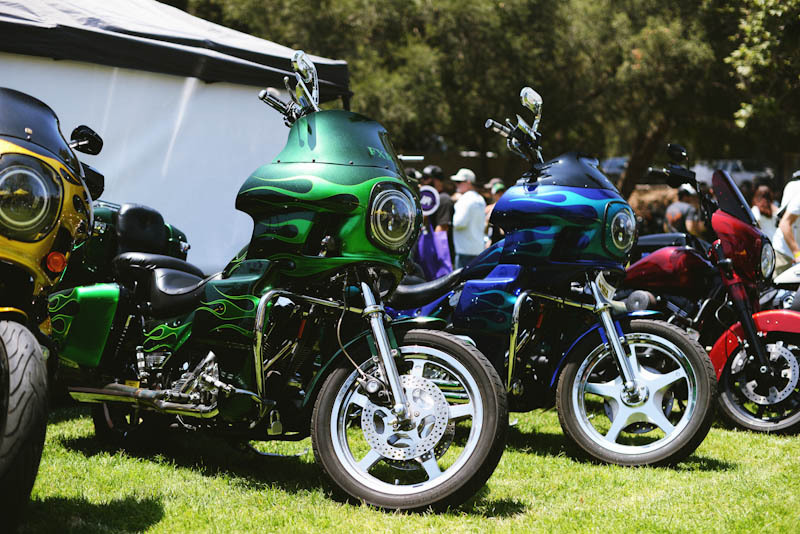 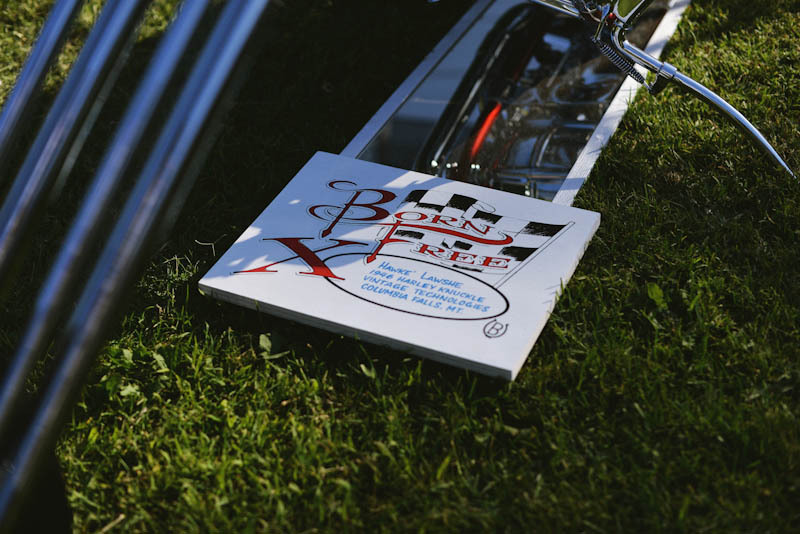 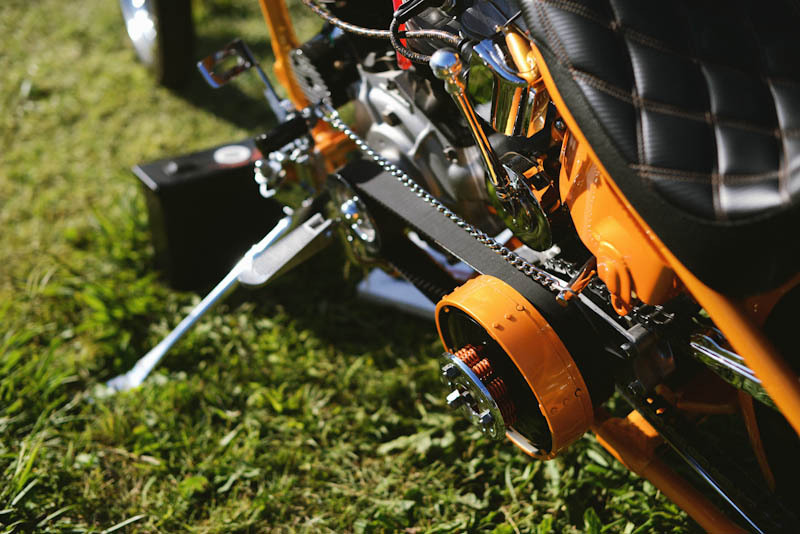 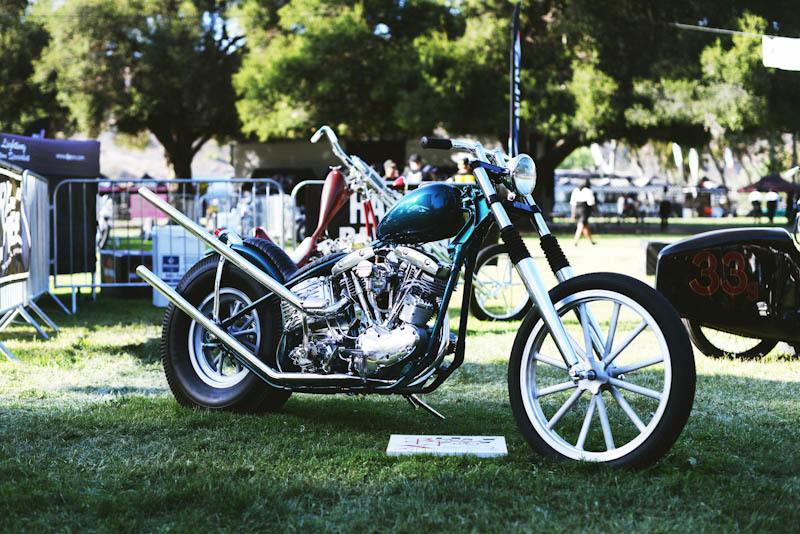 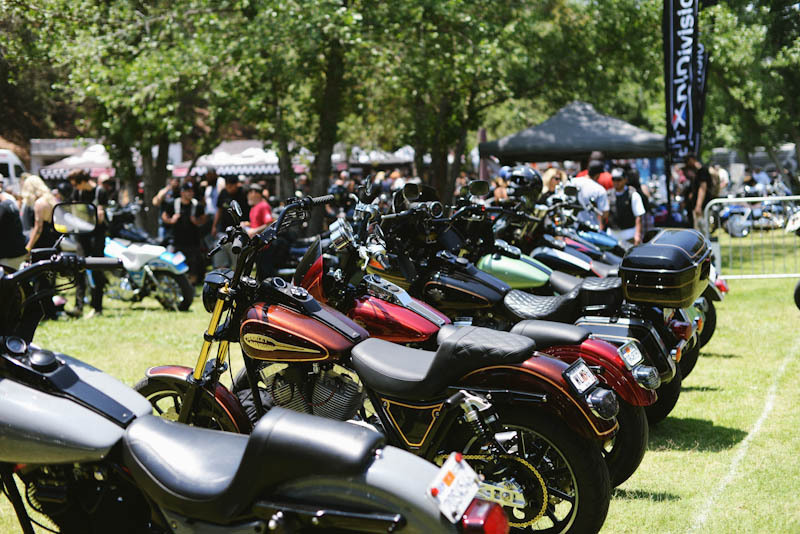 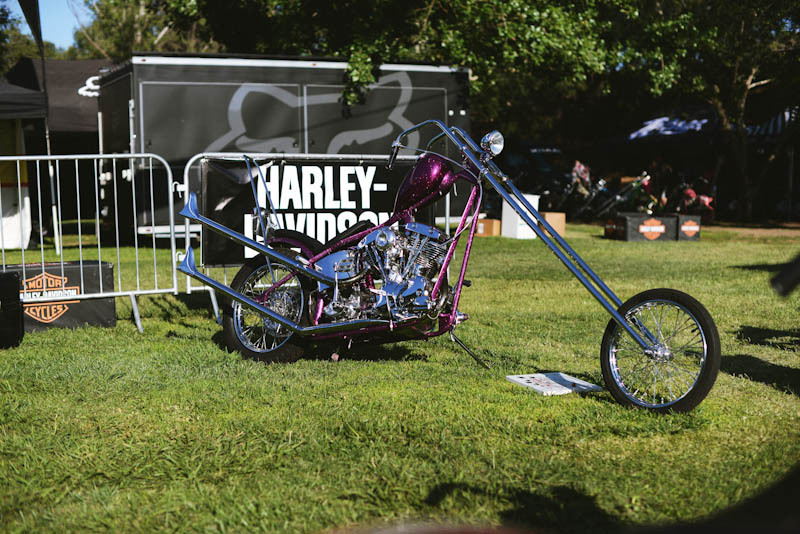 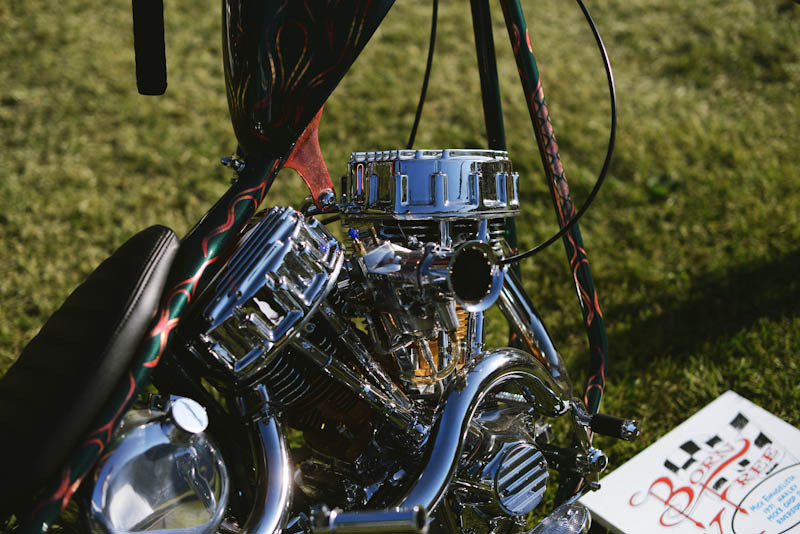 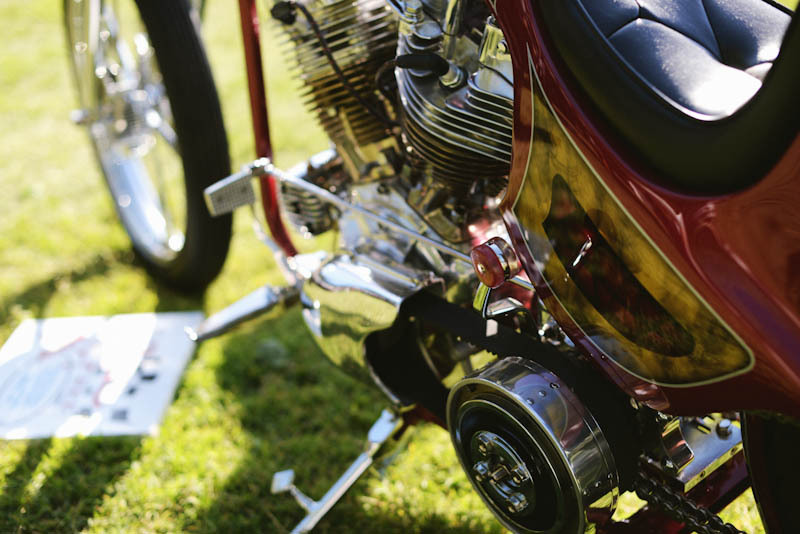 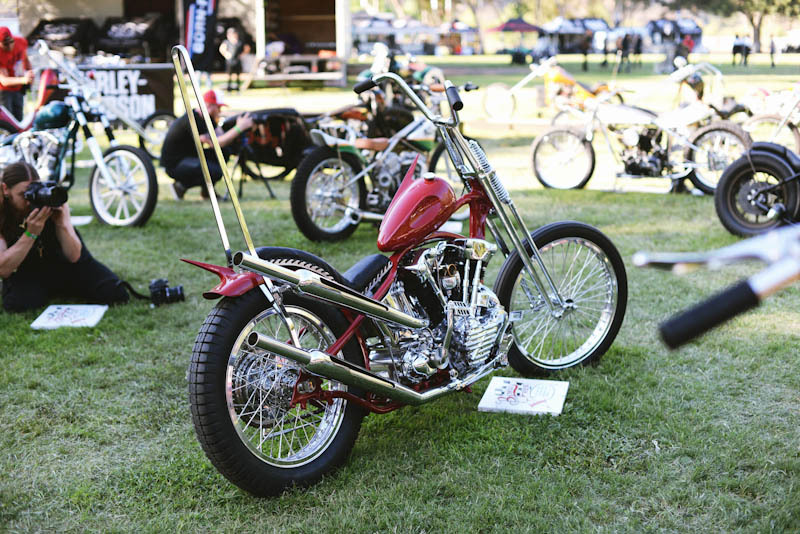 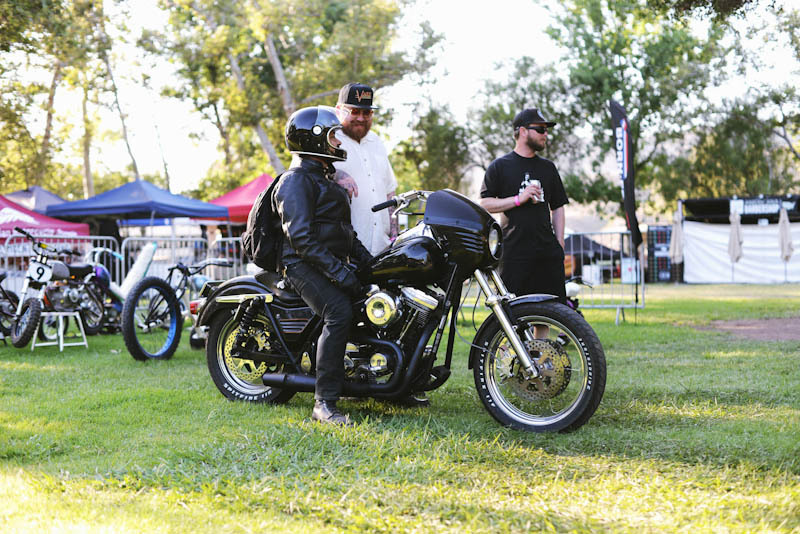 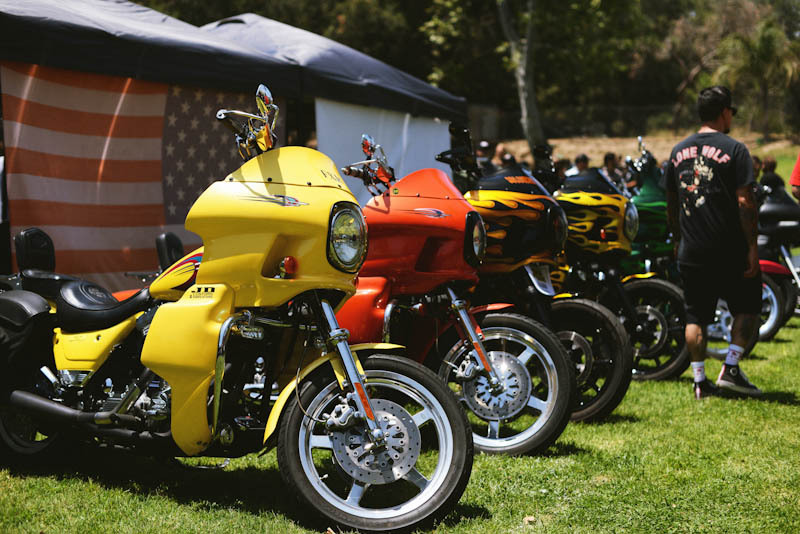 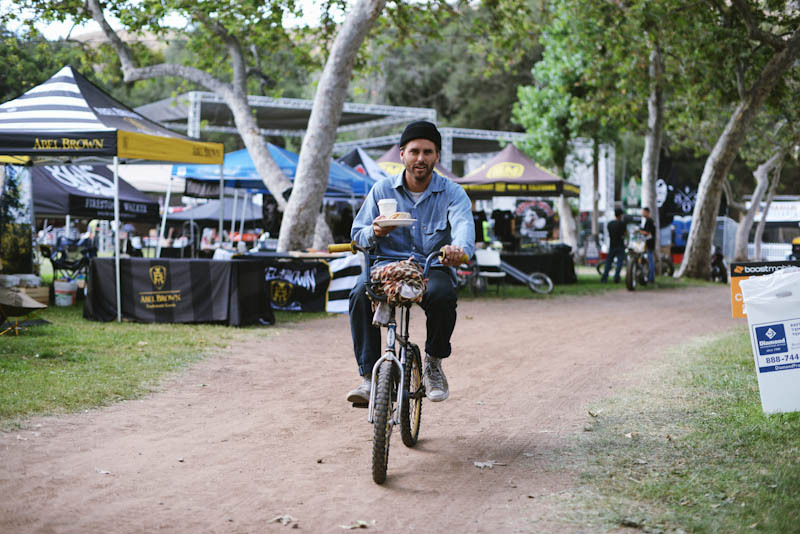 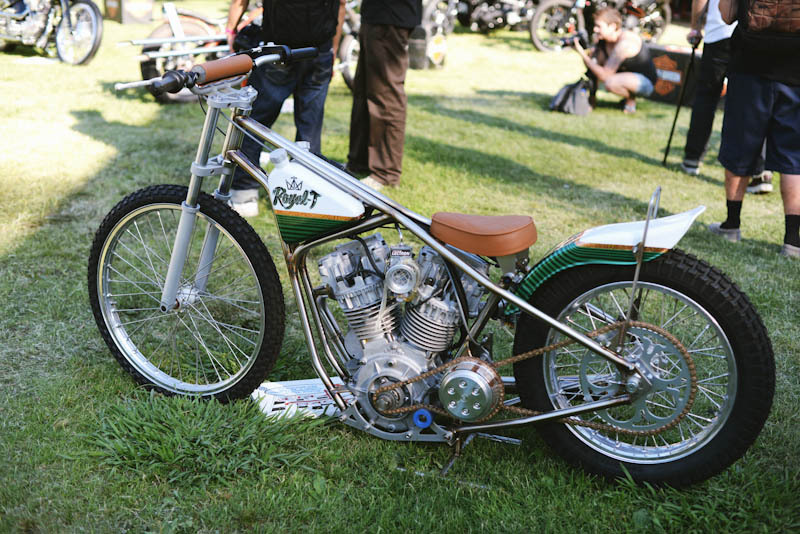 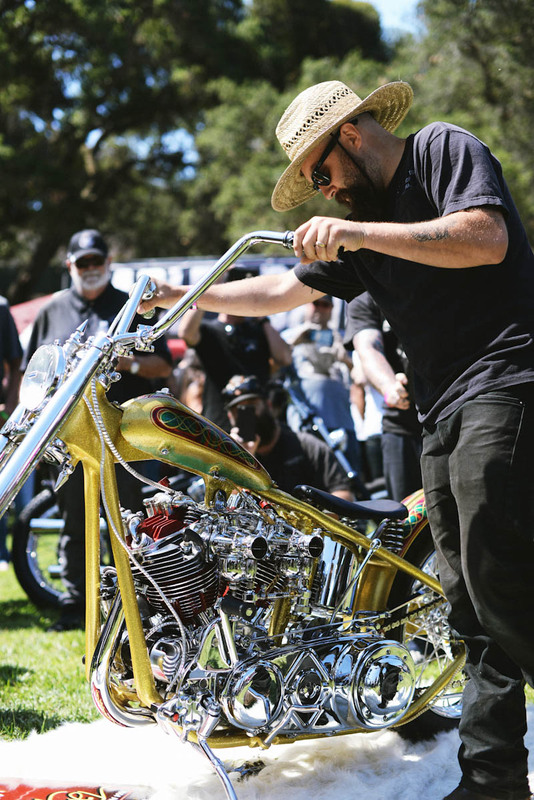 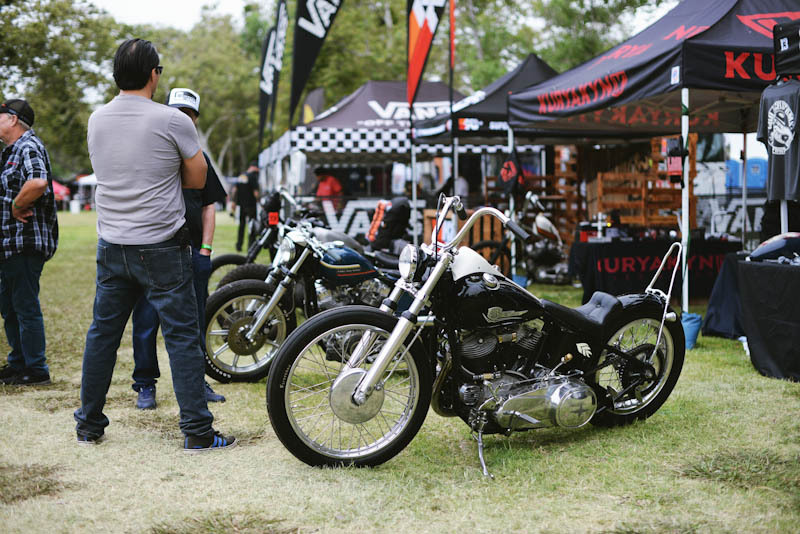 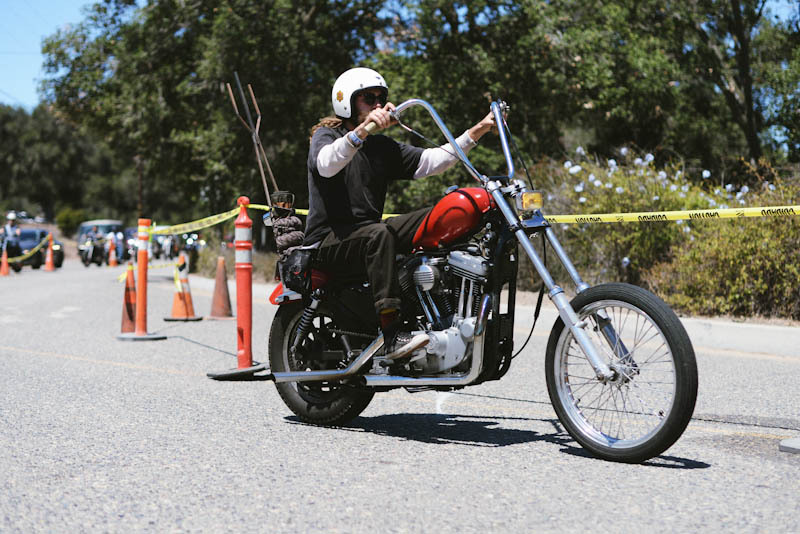 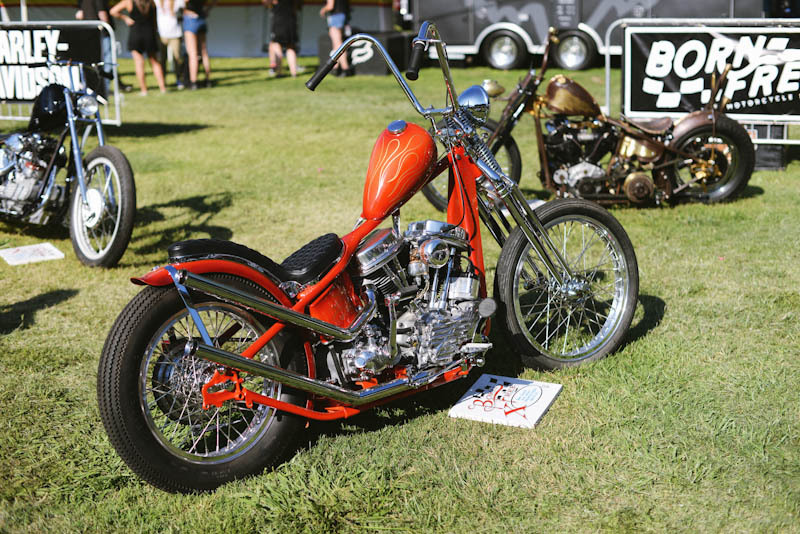 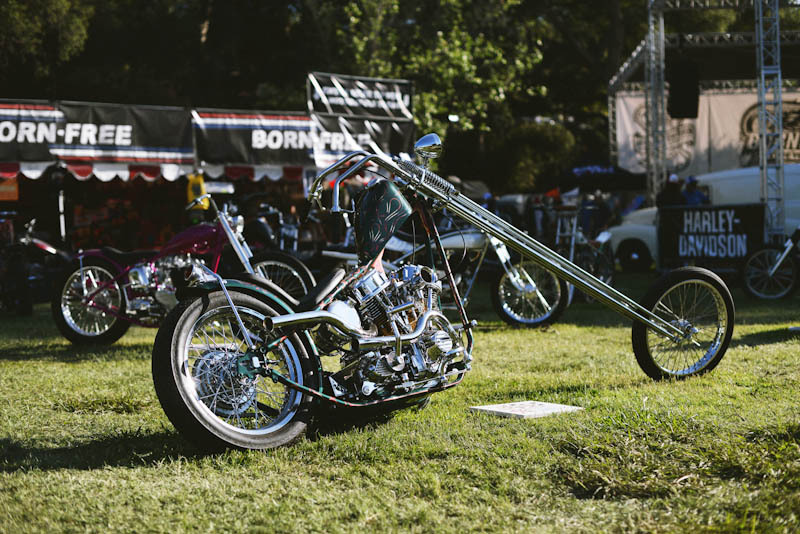 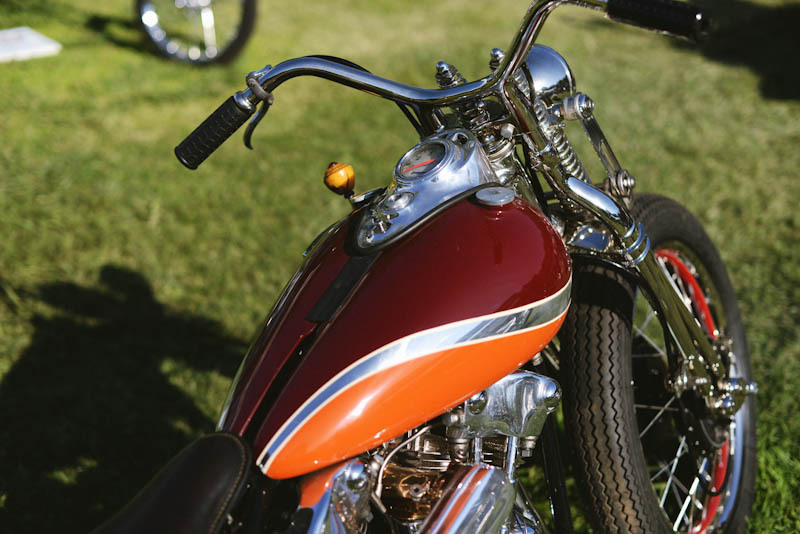 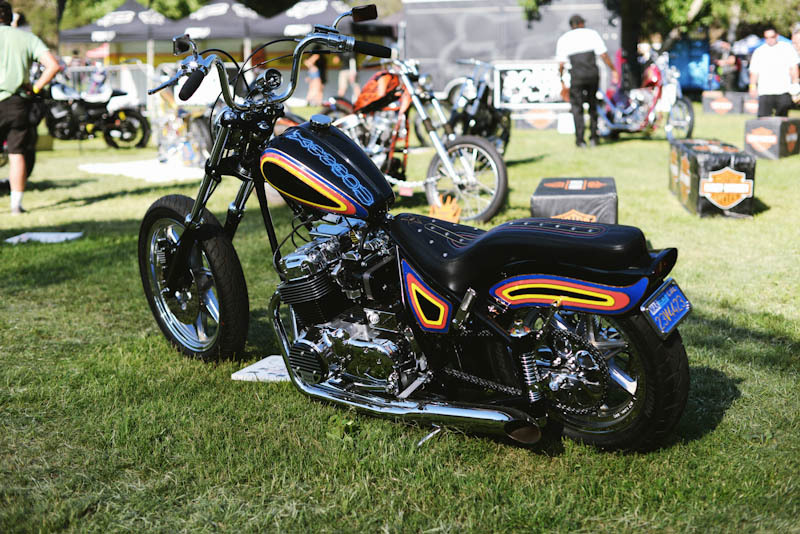 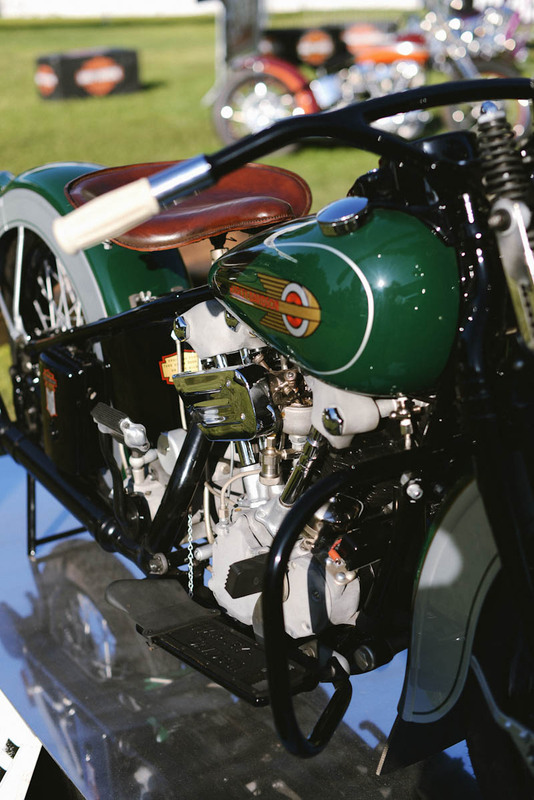 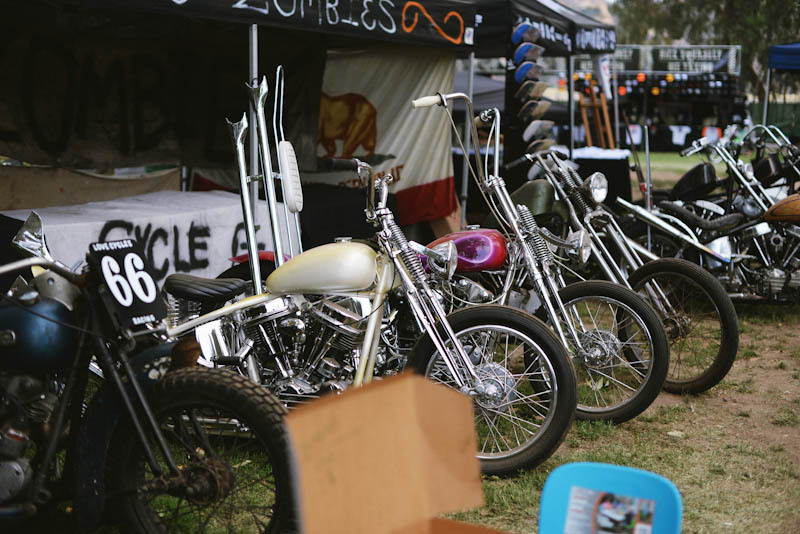 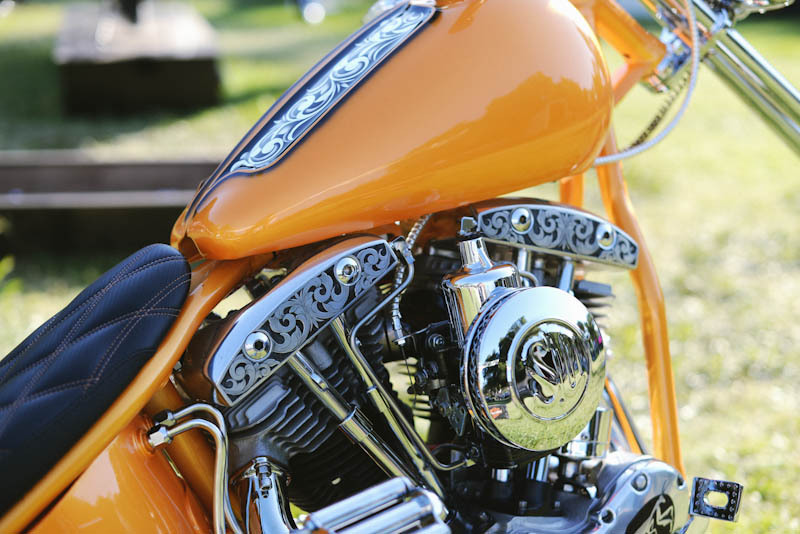 All types and styles of custom bikes were rolling onto the grass! 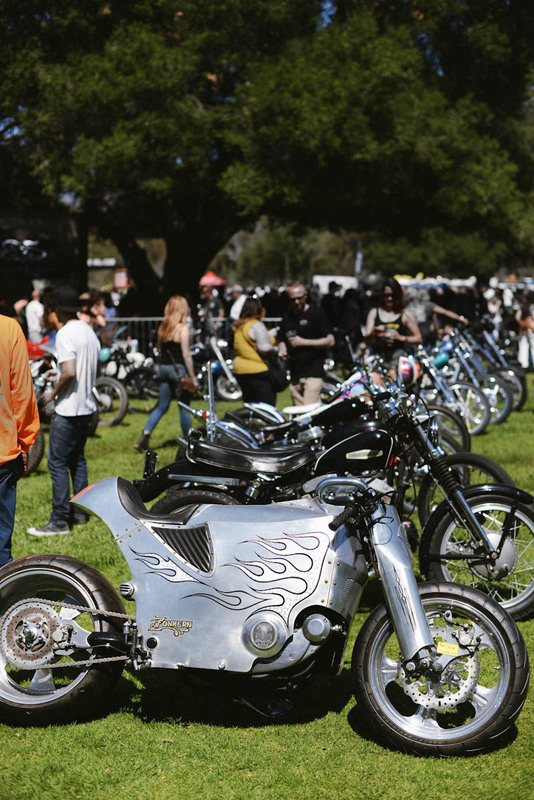 Bikes lined up as far as the eye could see! 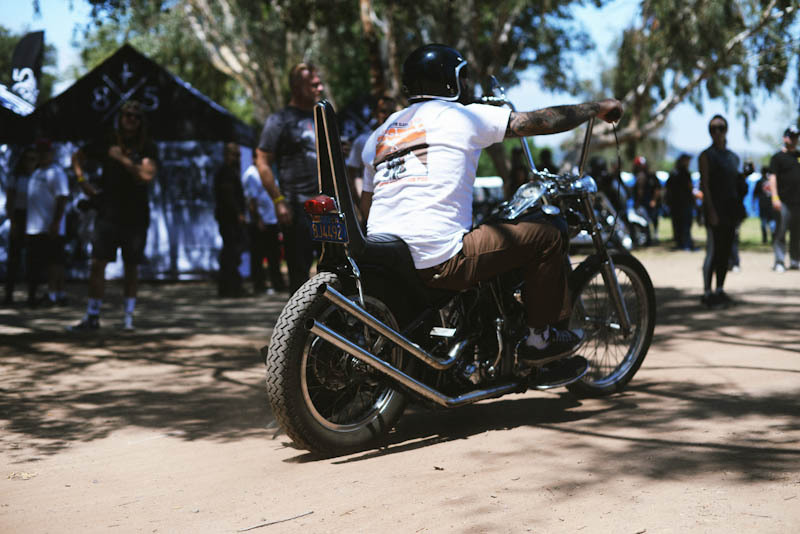 This guy was cruising into the SDC show! 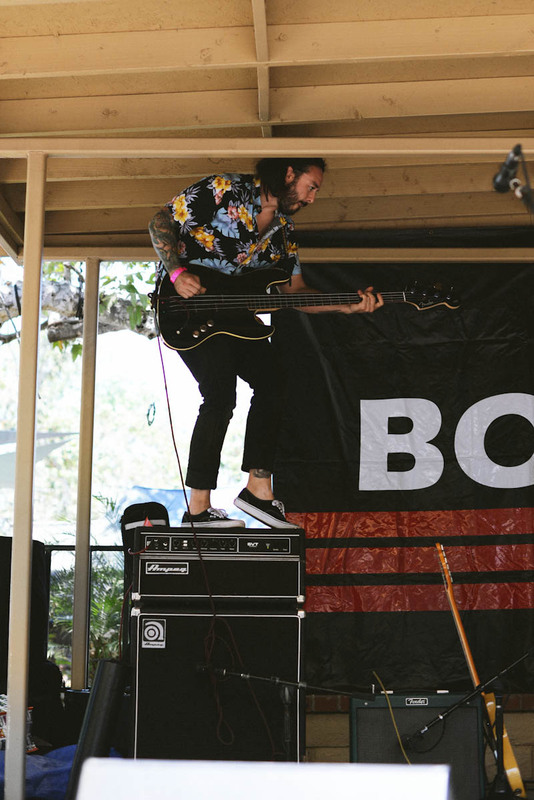 This pair was too rad! 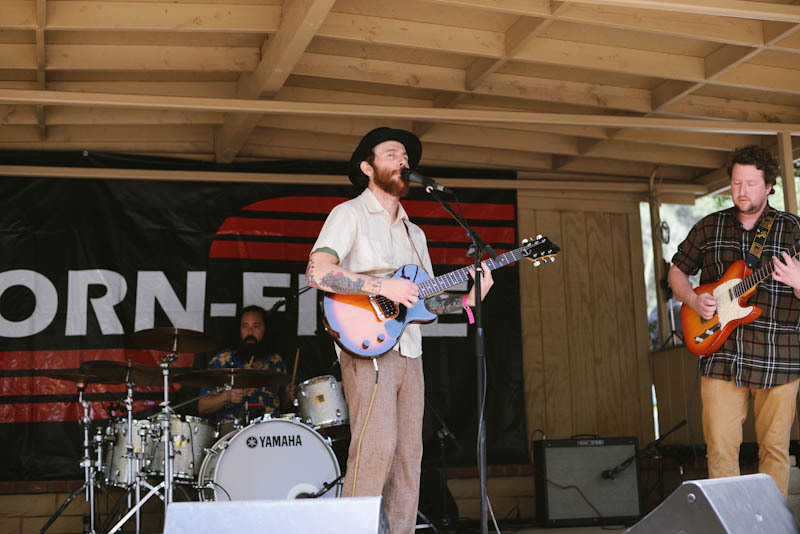 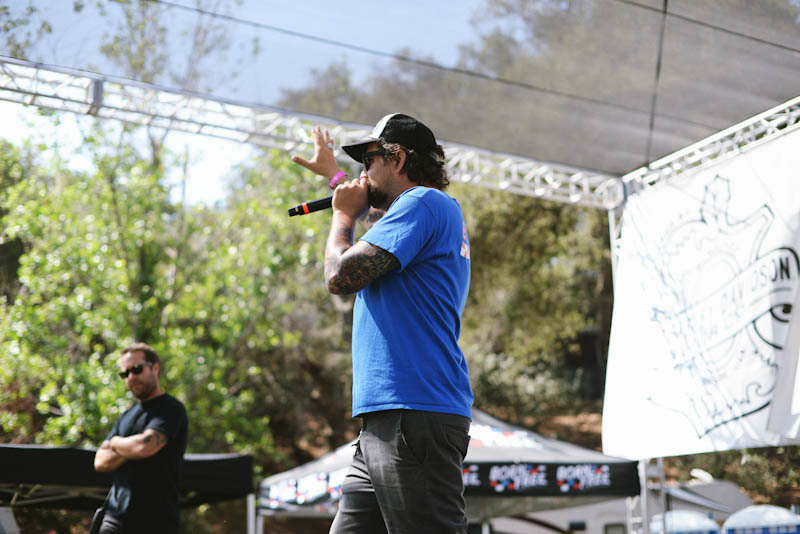 More live music over at the DicE Magazine stage! 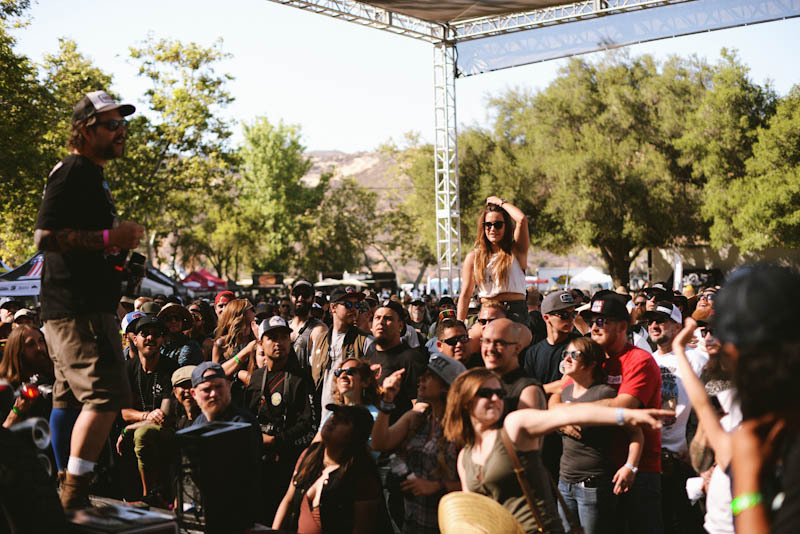 The live music was non-stop! 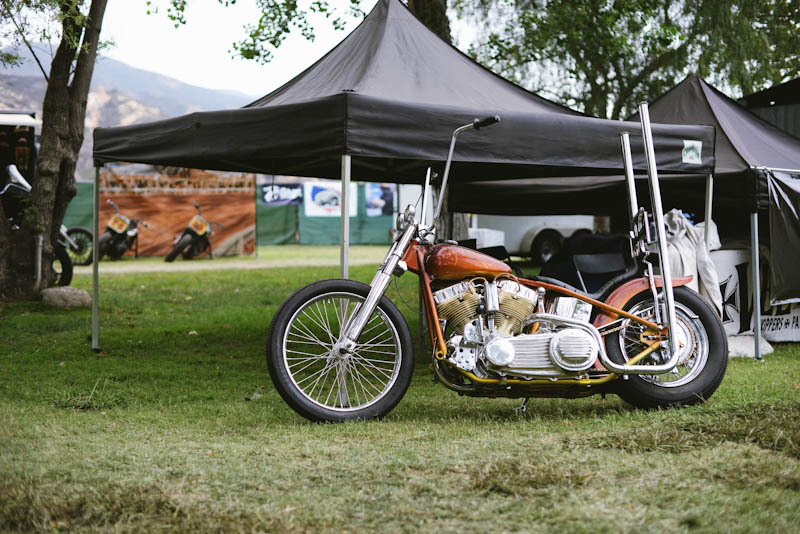 Who doesn't love old race bikes? 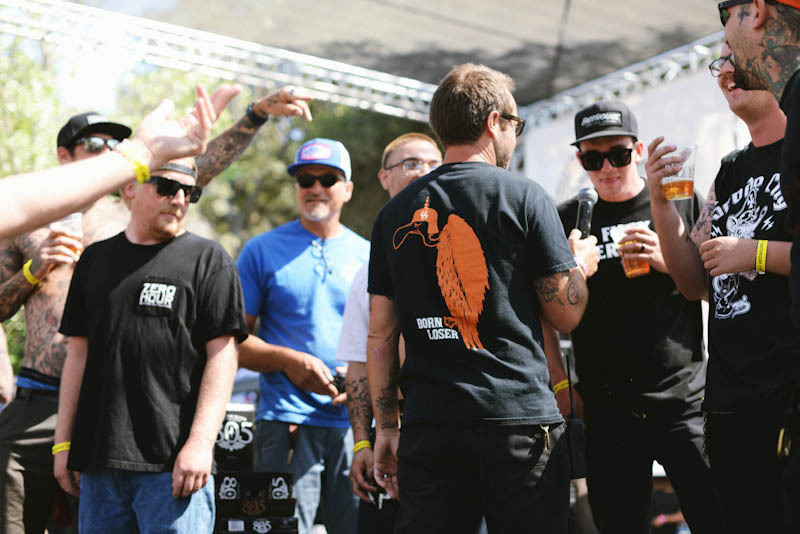 The worst tattoo competition popped off. 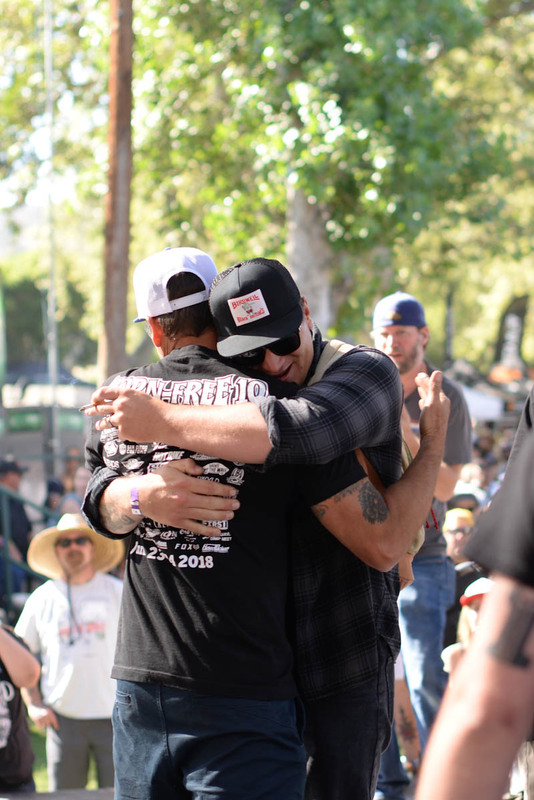 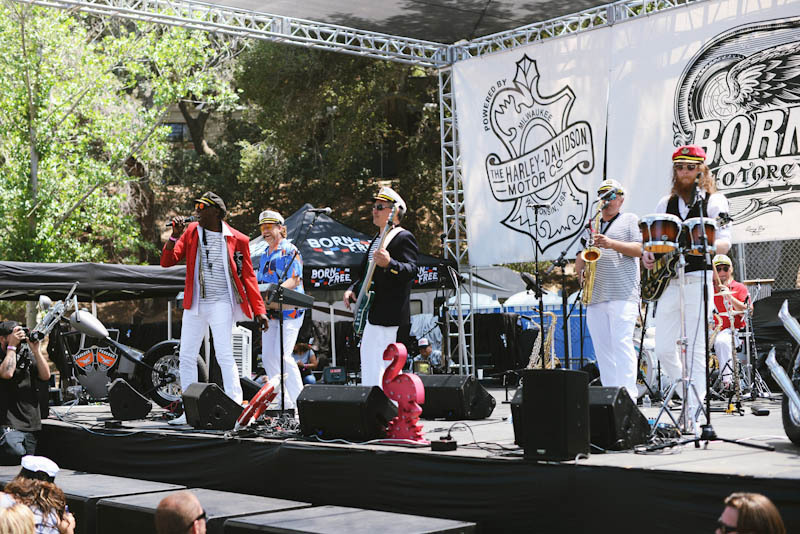 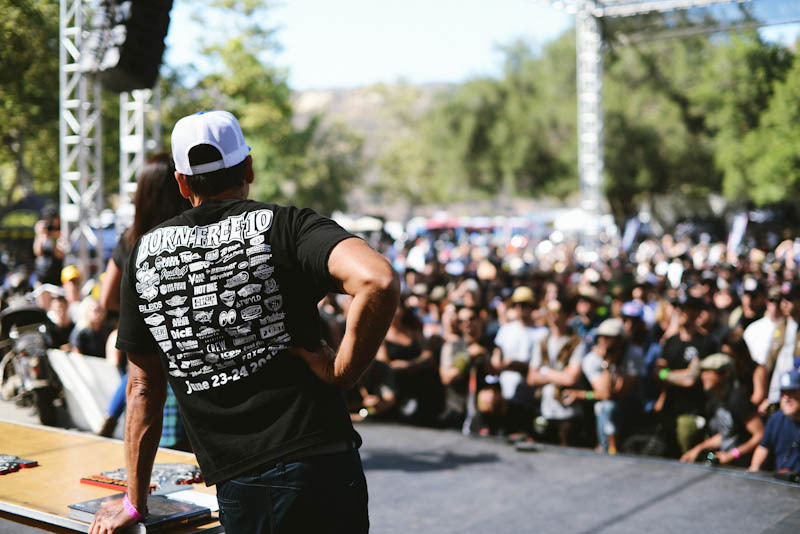 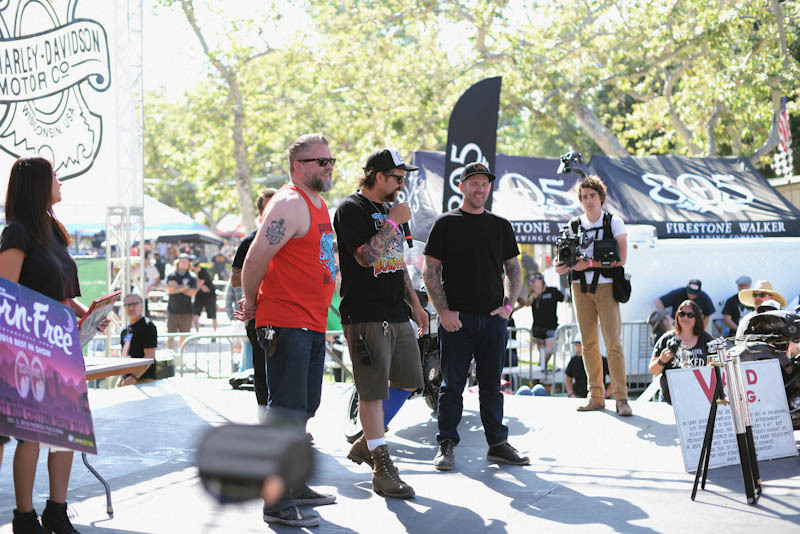 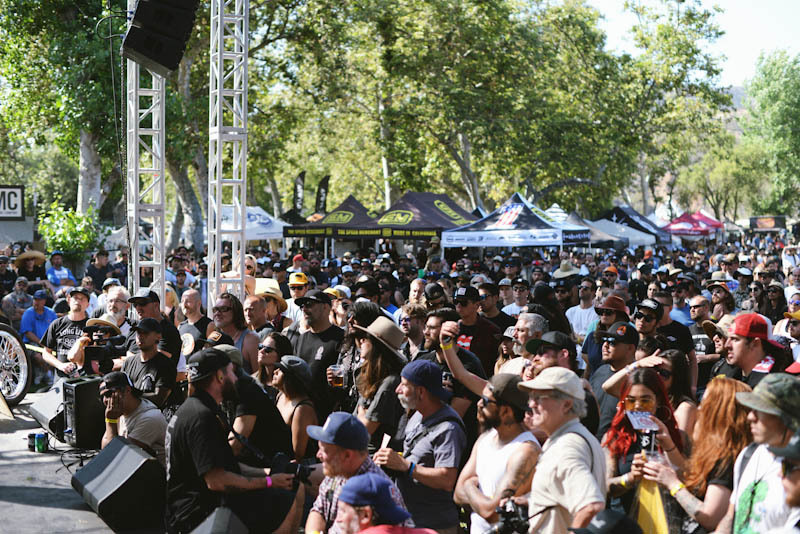 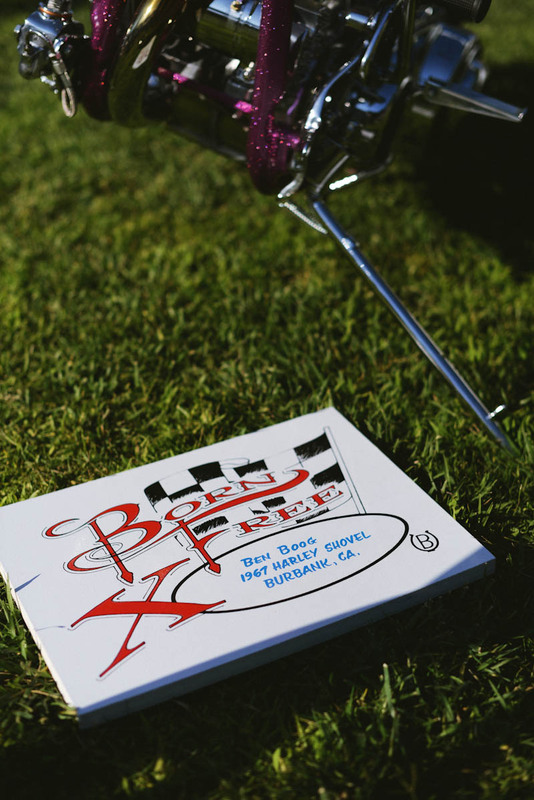 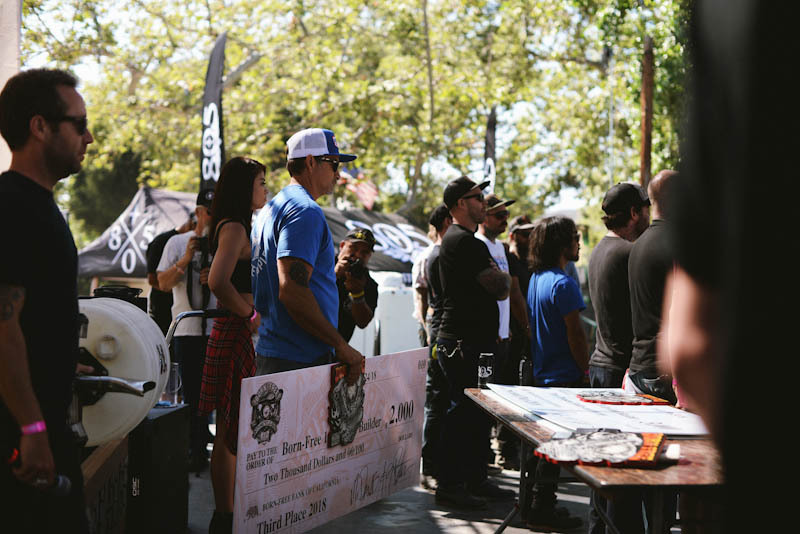 We're thinking the 1 year of 805 Beer prize was more than enough incentive to make the competition tough! 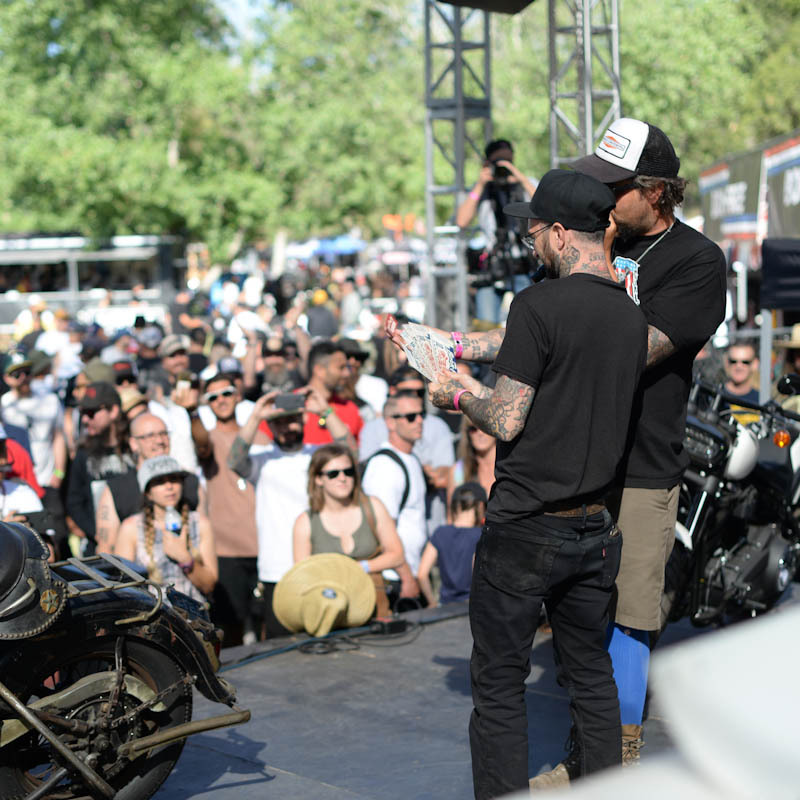 One last look before that winning ticket is pulled! 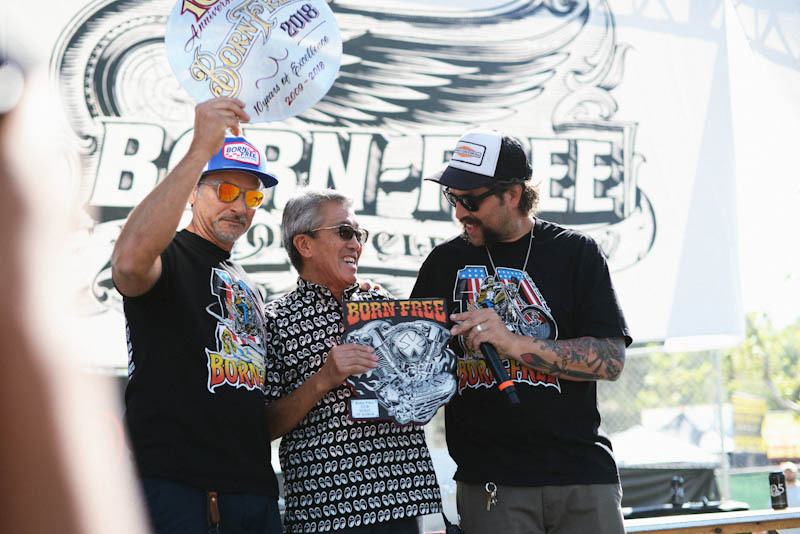 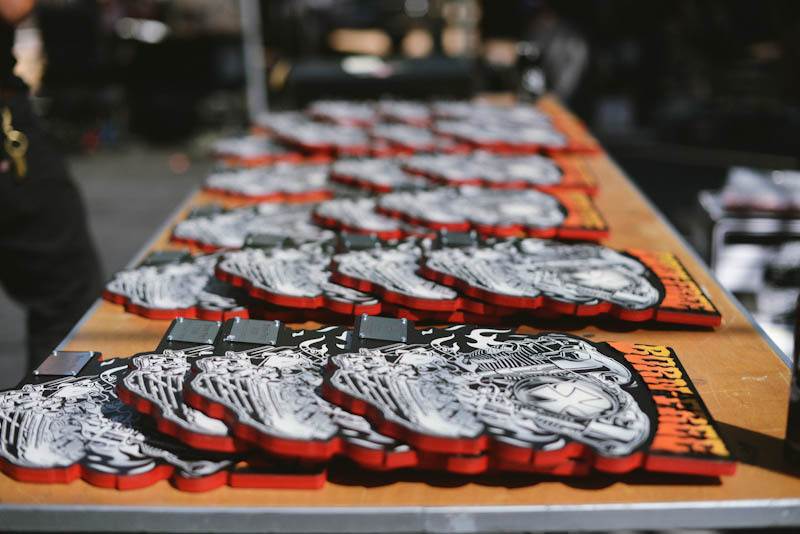 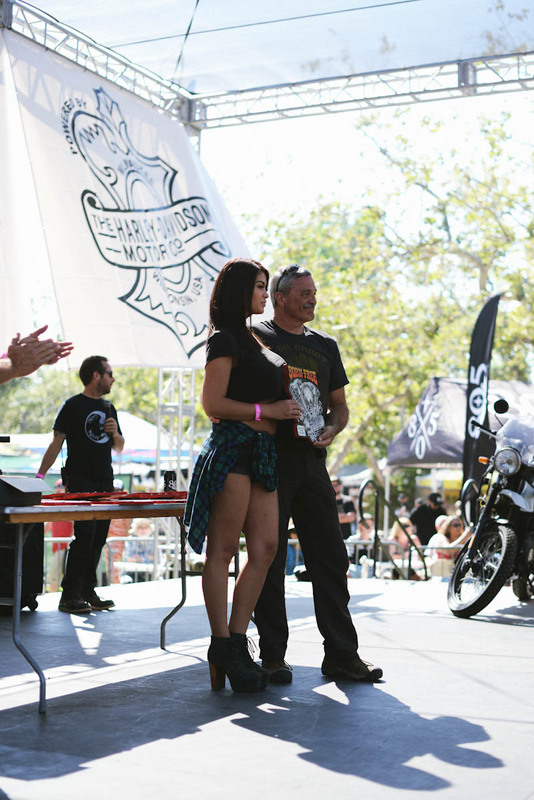 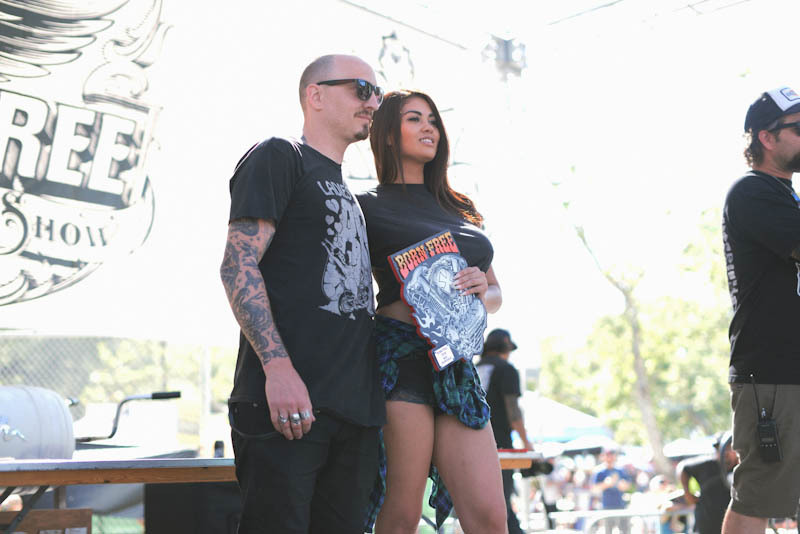 1st Place and the trip to Mooneyes Hot Rod Custom Show in Japan is Hawke Lawshe' of Vintage Technologies, congrats! 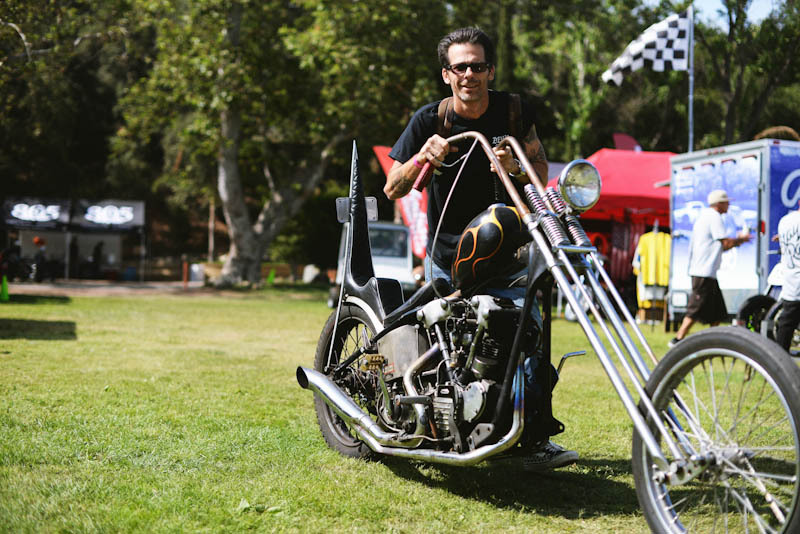 Congratulations to Paul Kuvelis for taking home the incredible '68! 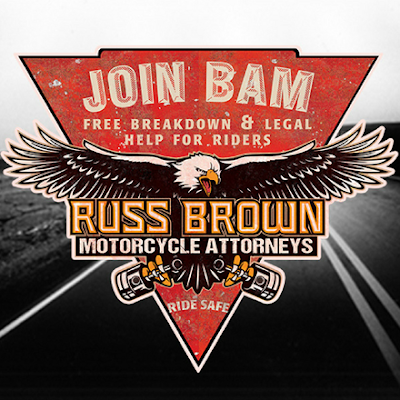 Visit http://bit.ly/join-bam to get your membership card, it's quick and easy.